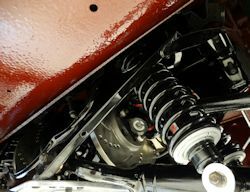 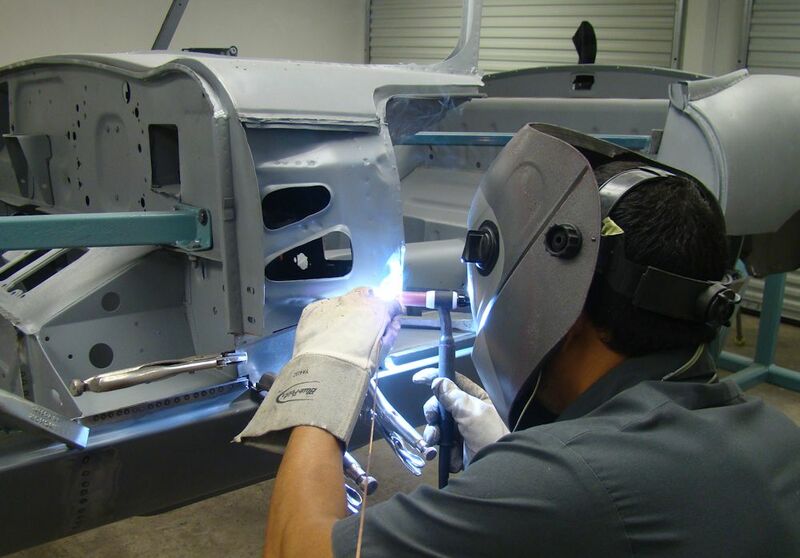 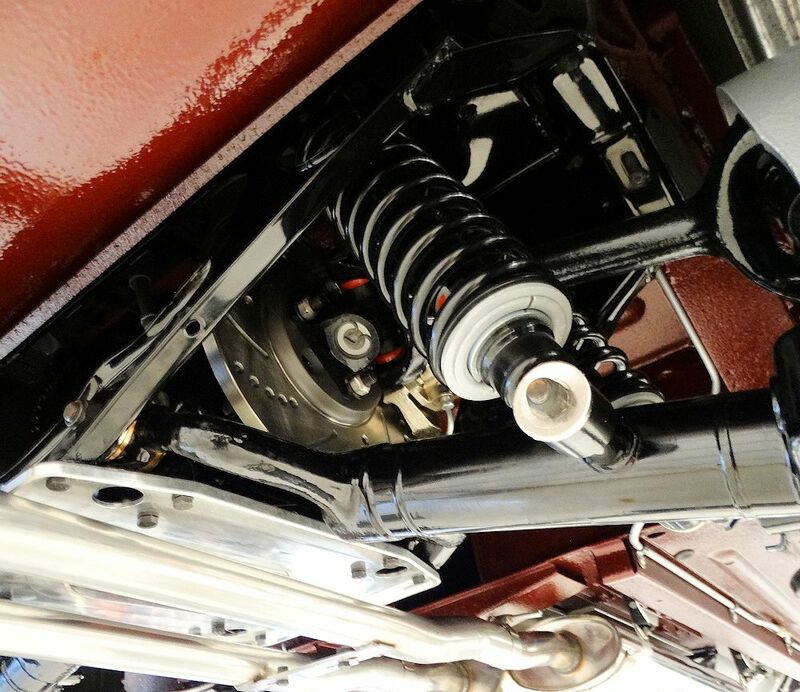 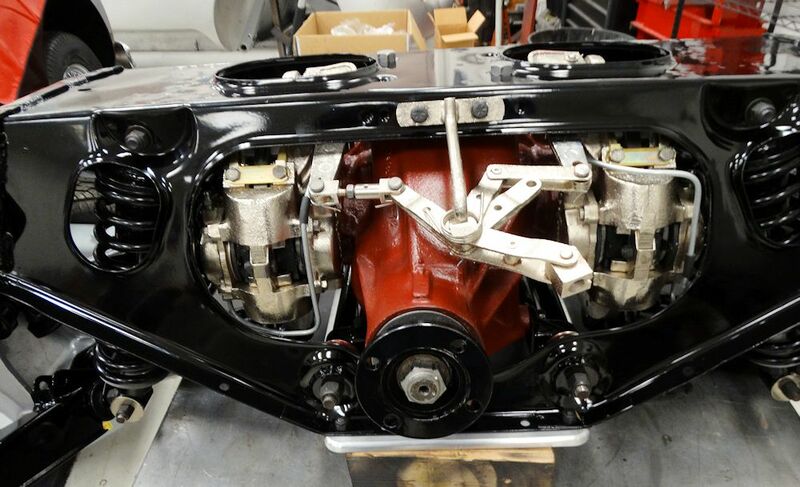 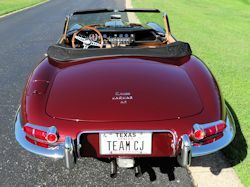 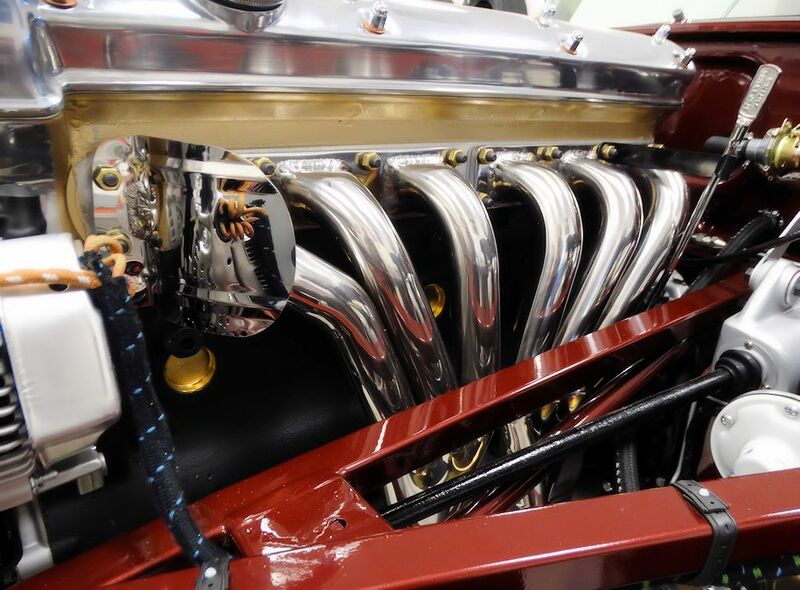 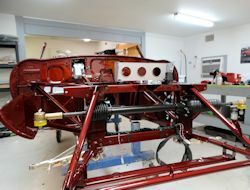 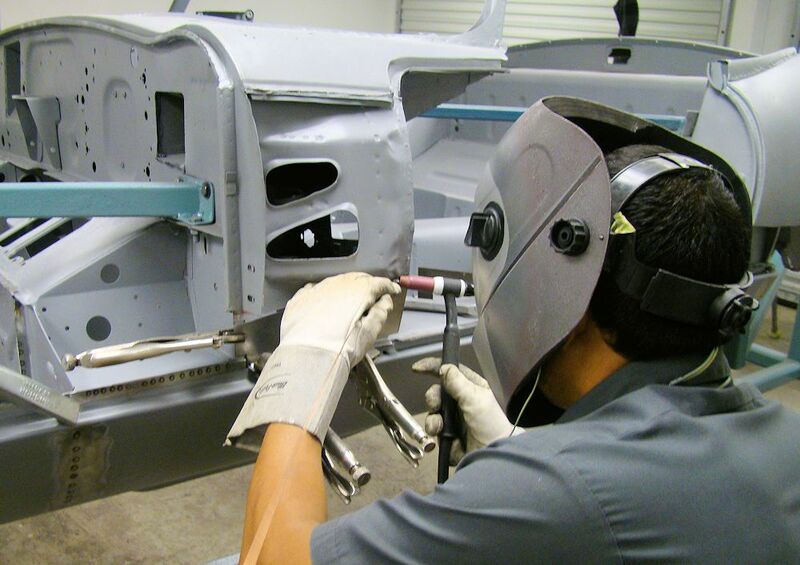 Total Team CJ restoration featuring several performance, comfort and reliability upgrades. 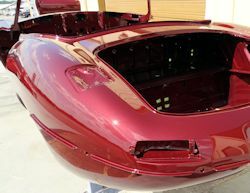 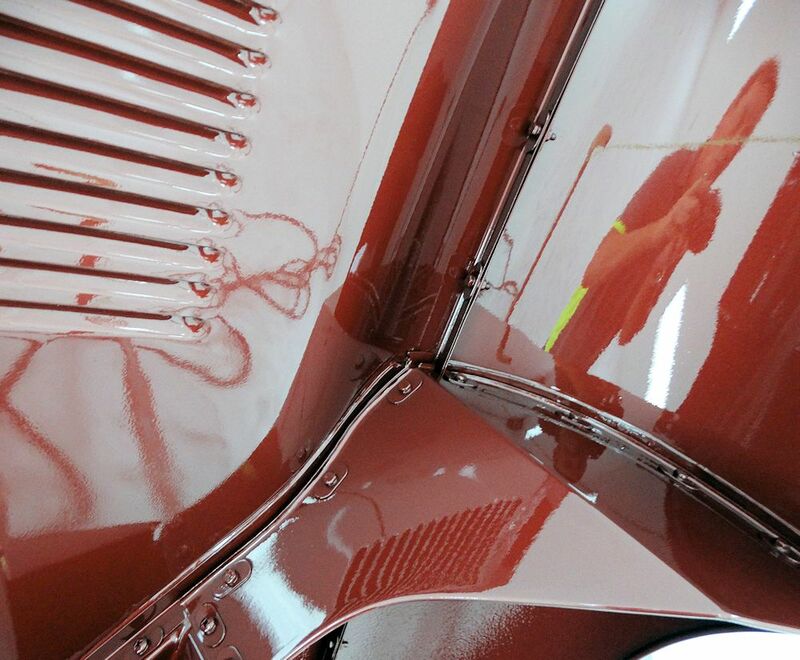 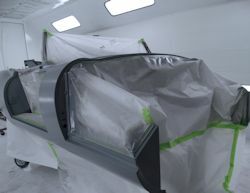 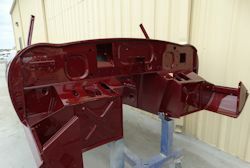 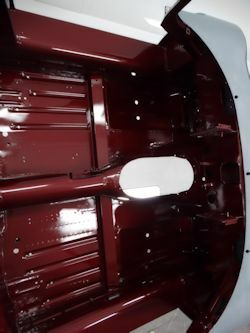 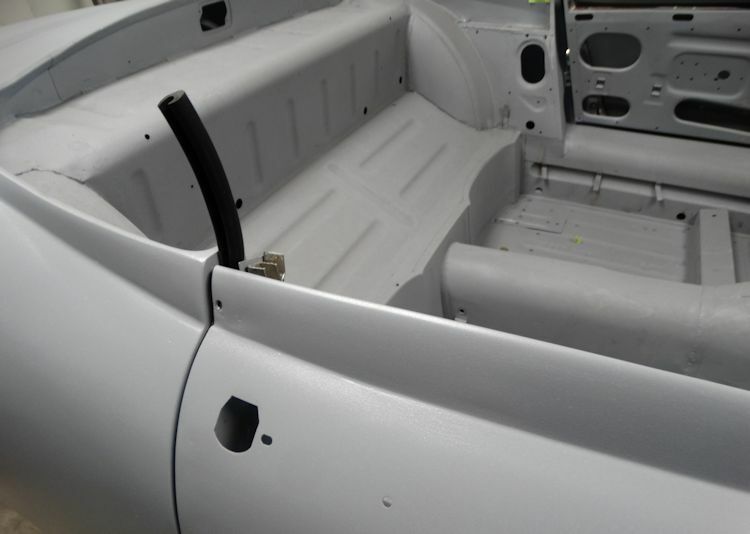 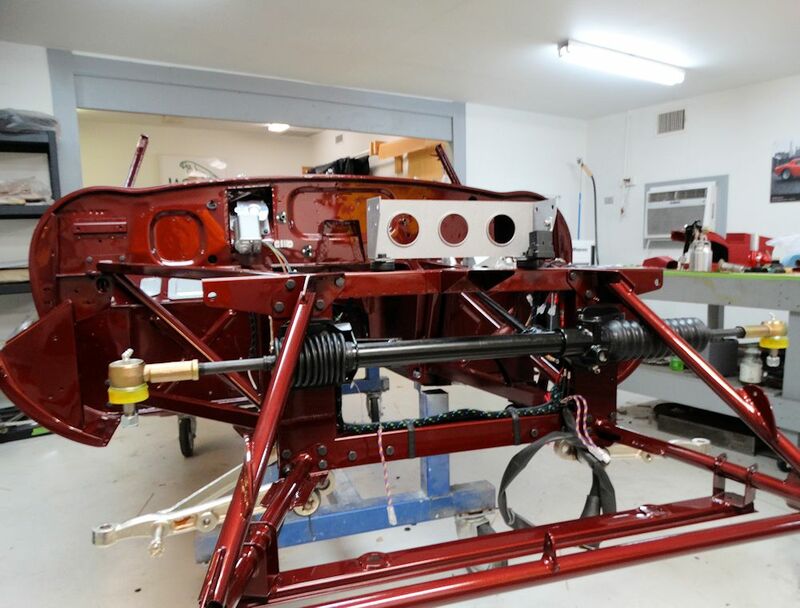 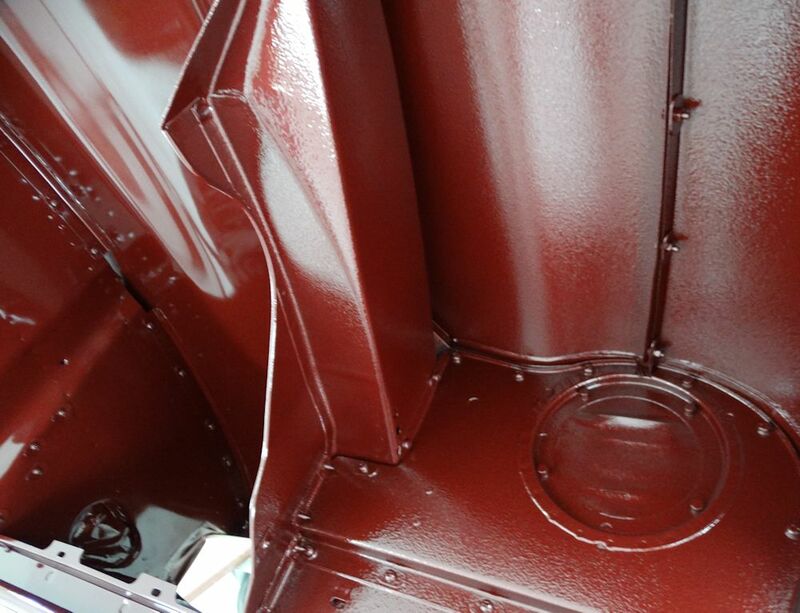 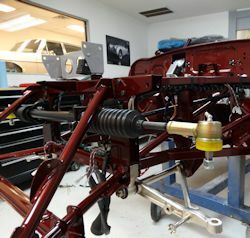 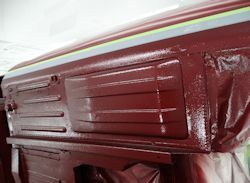 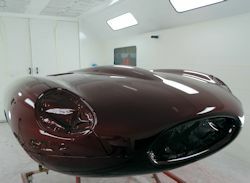 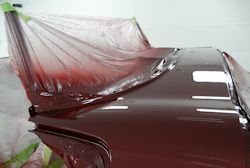 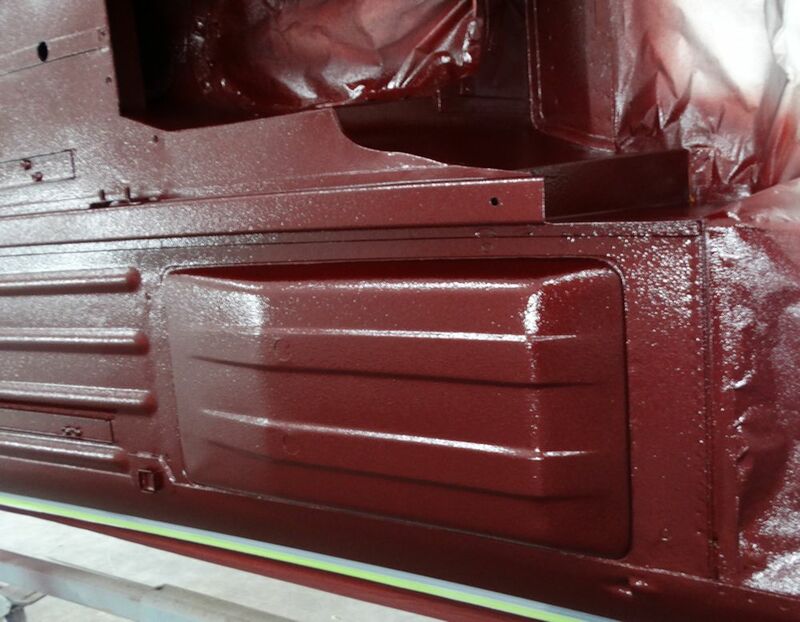 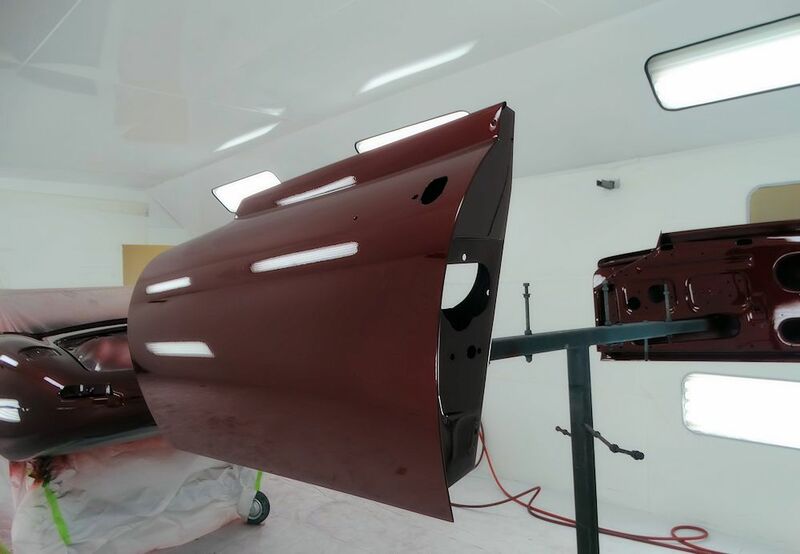 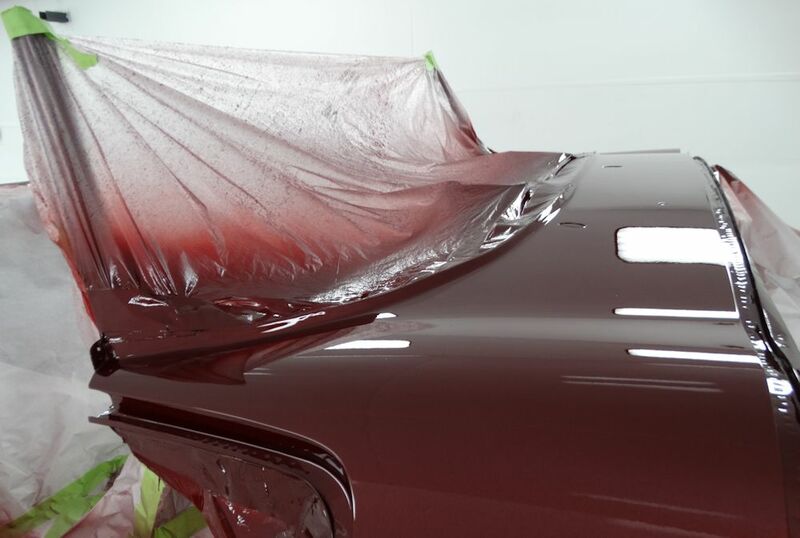 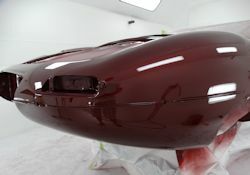 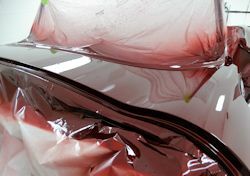 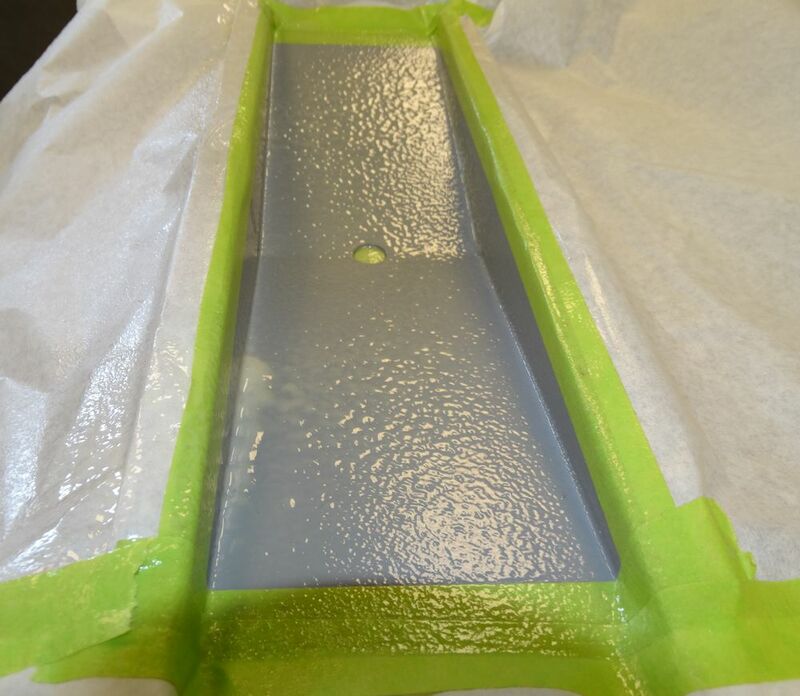 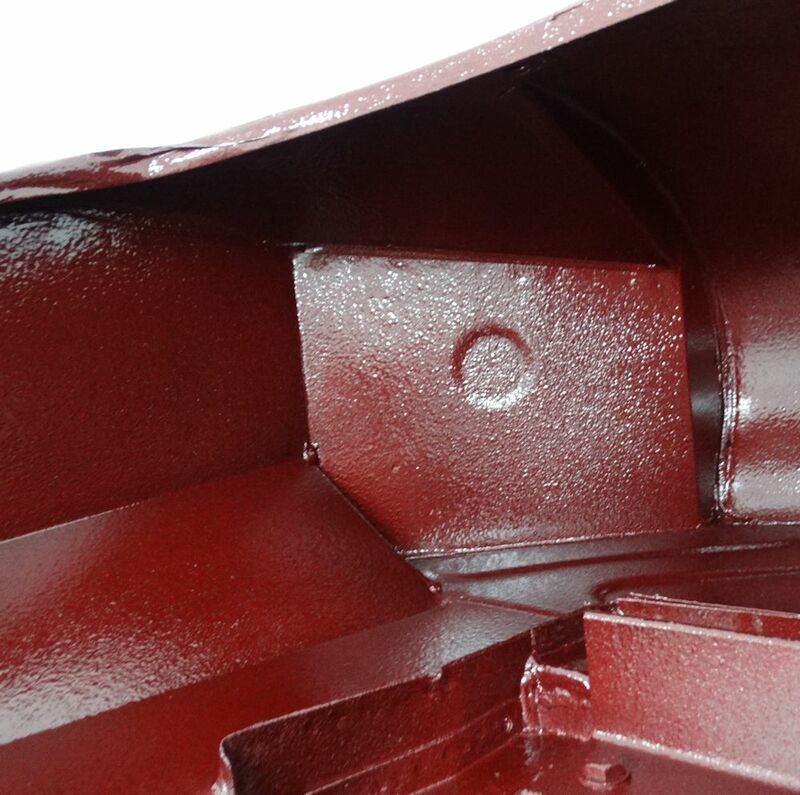 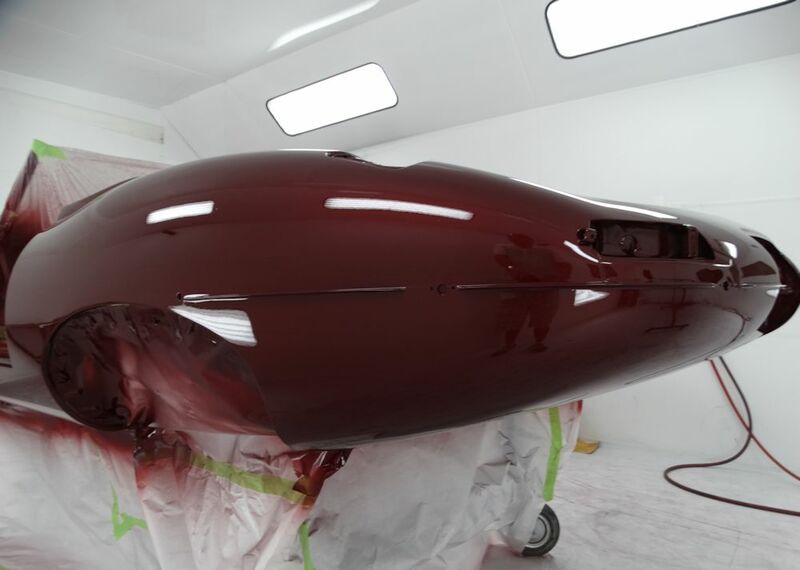 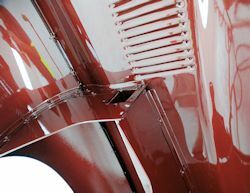 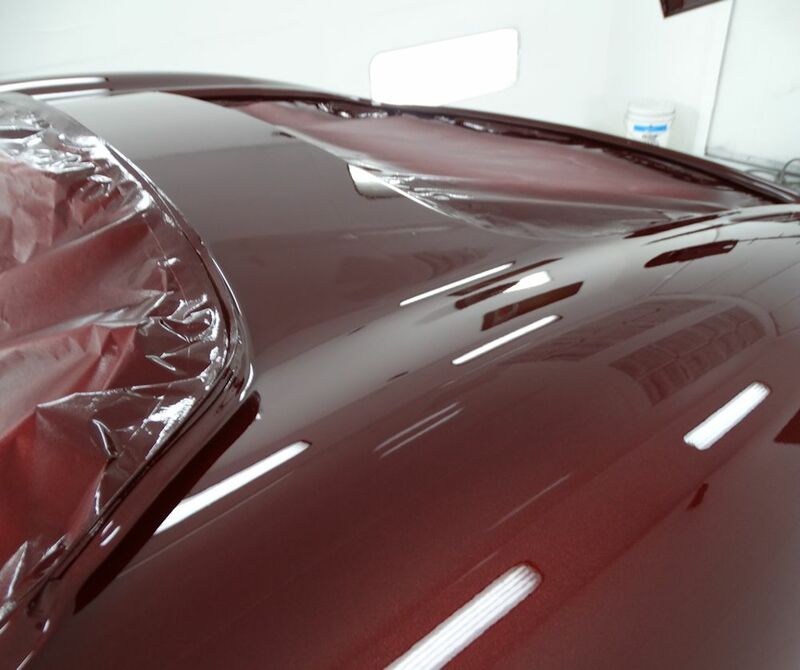 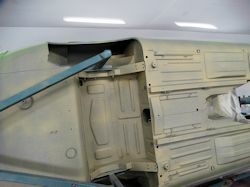 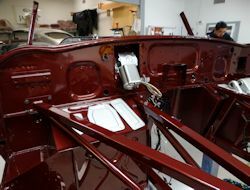 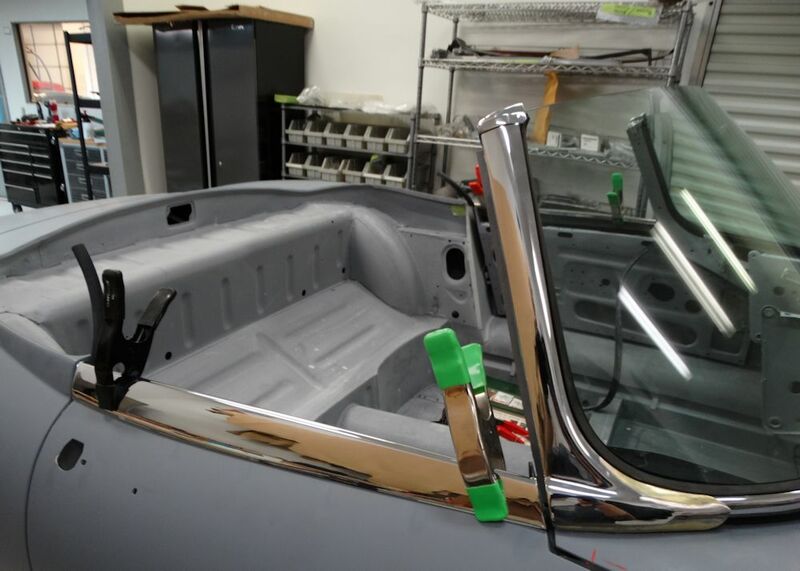 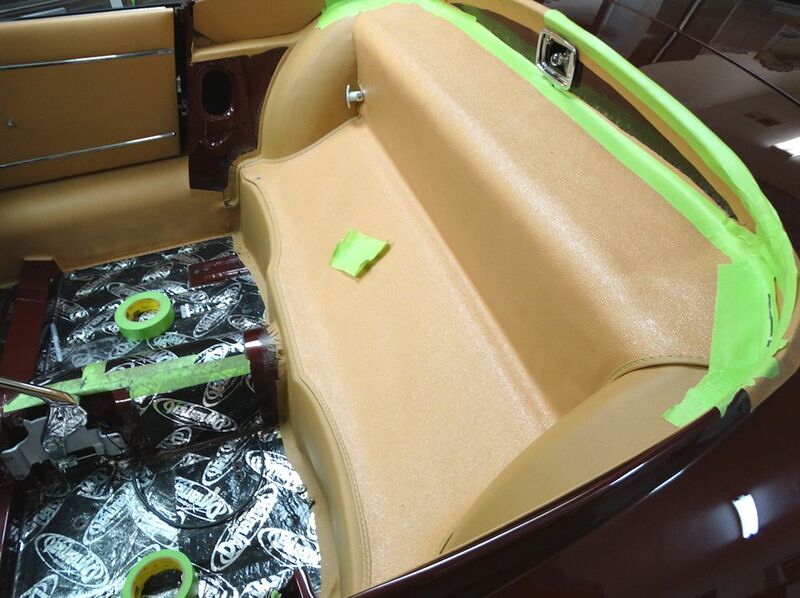 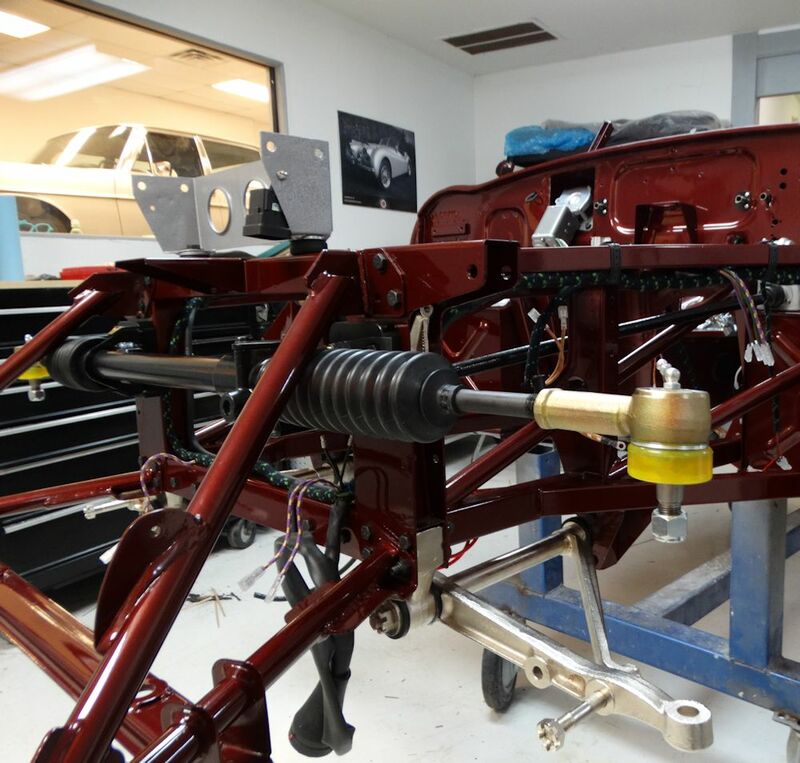 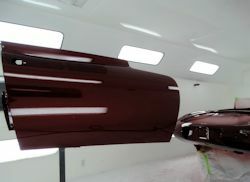 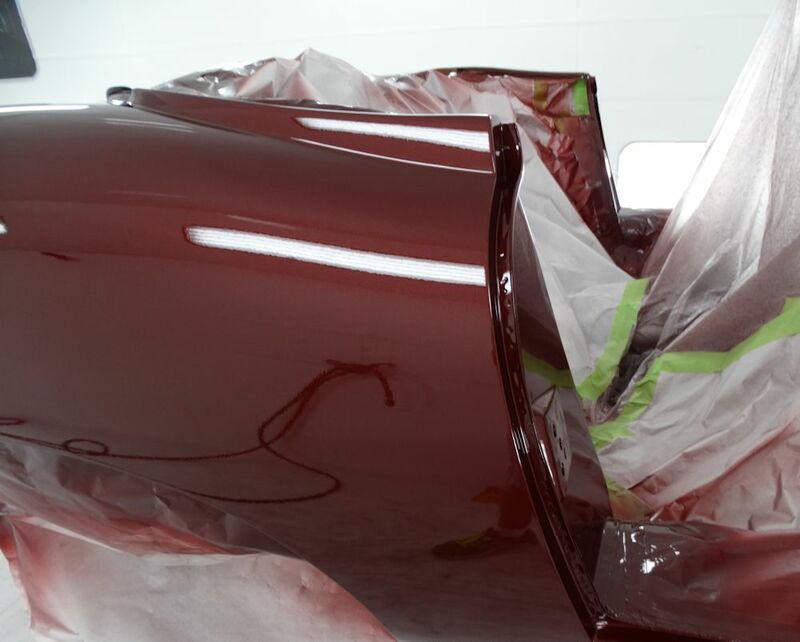 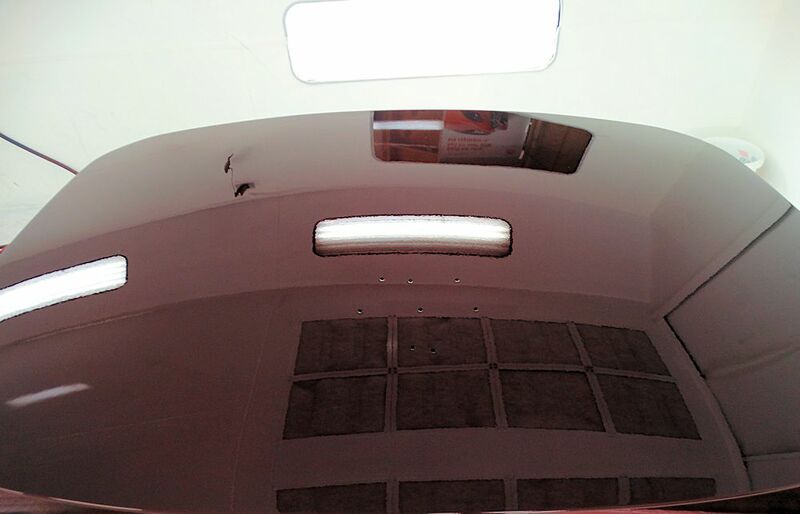 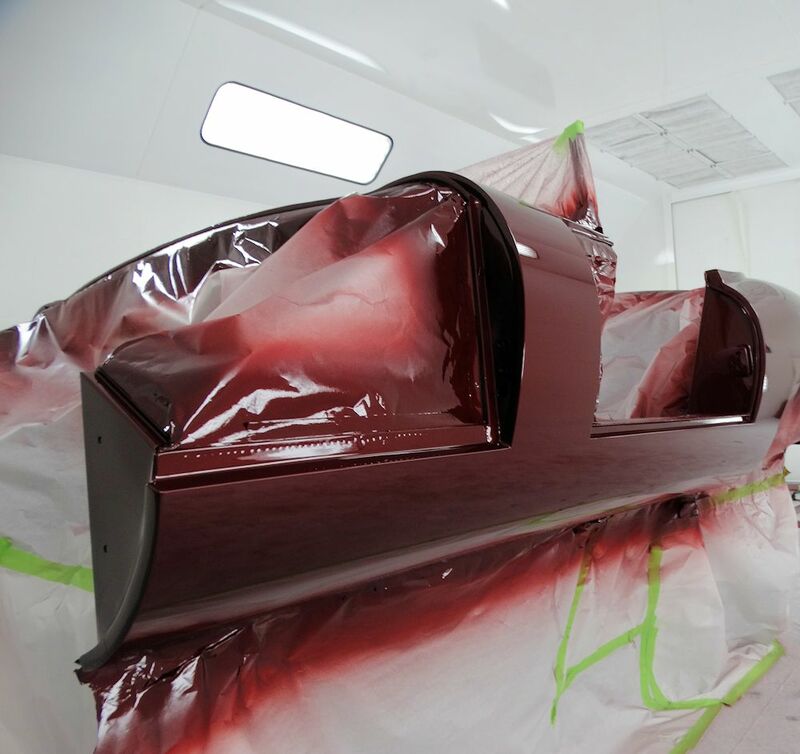 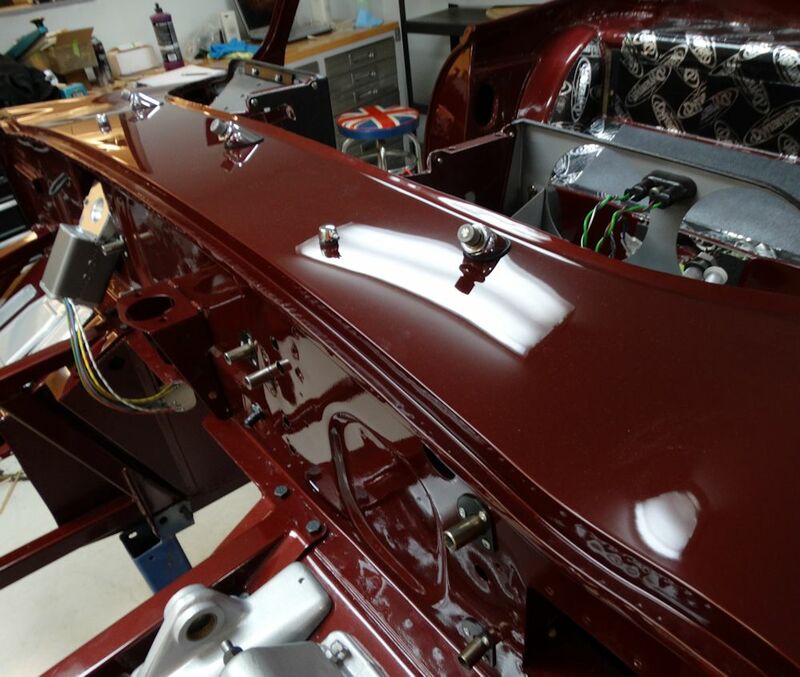 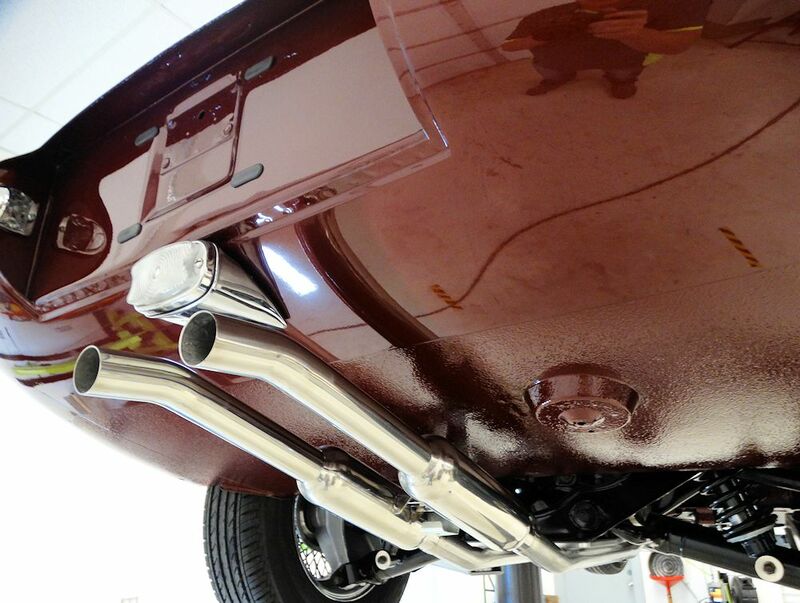 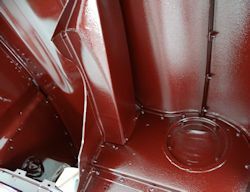 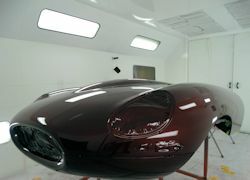 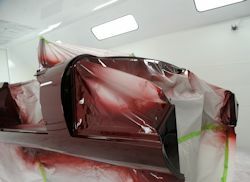 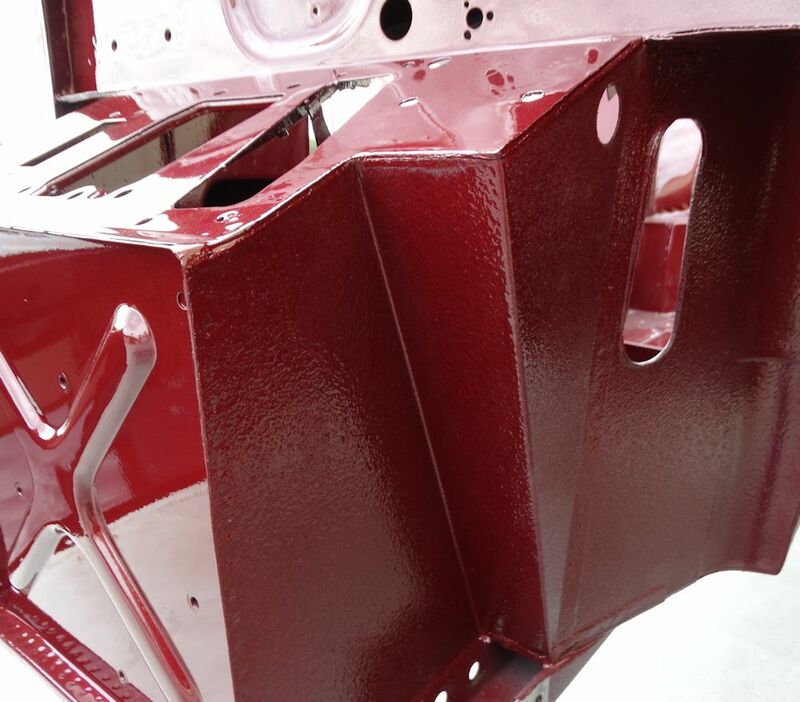 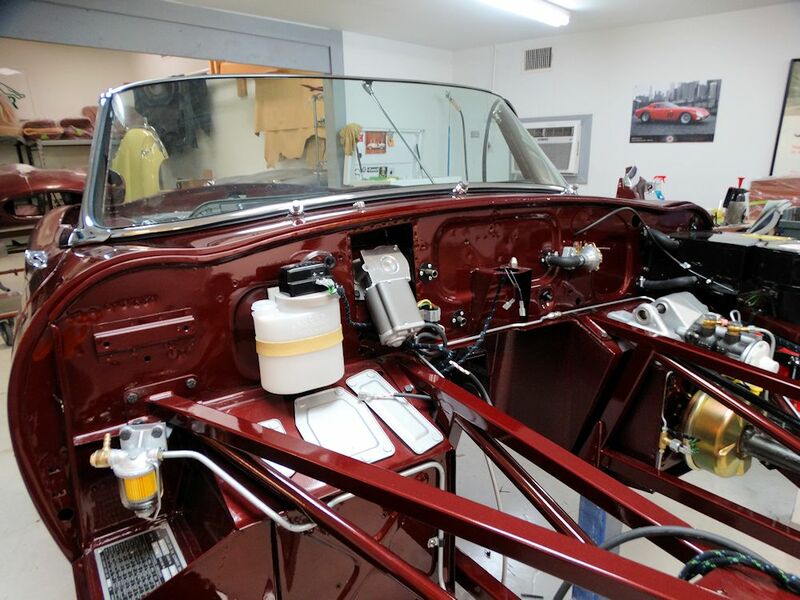 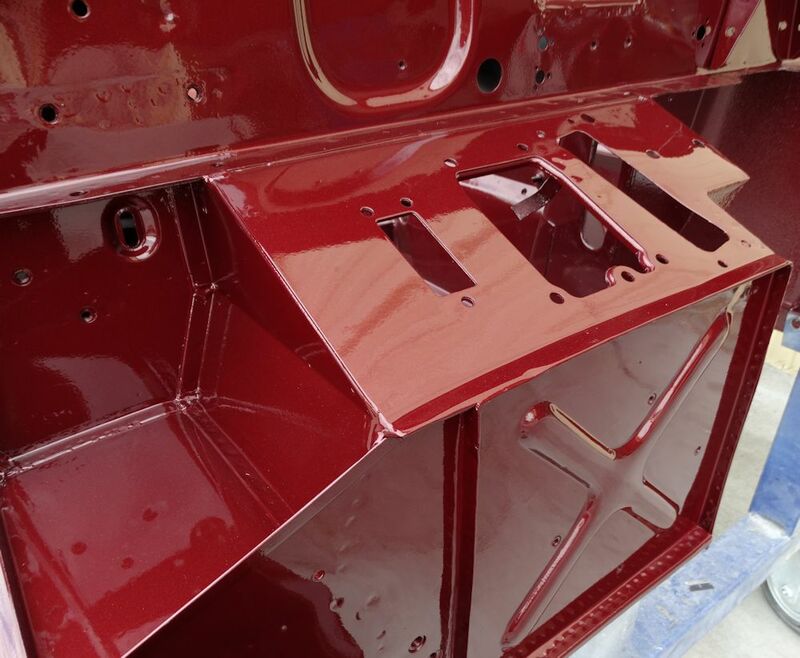 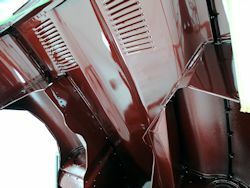 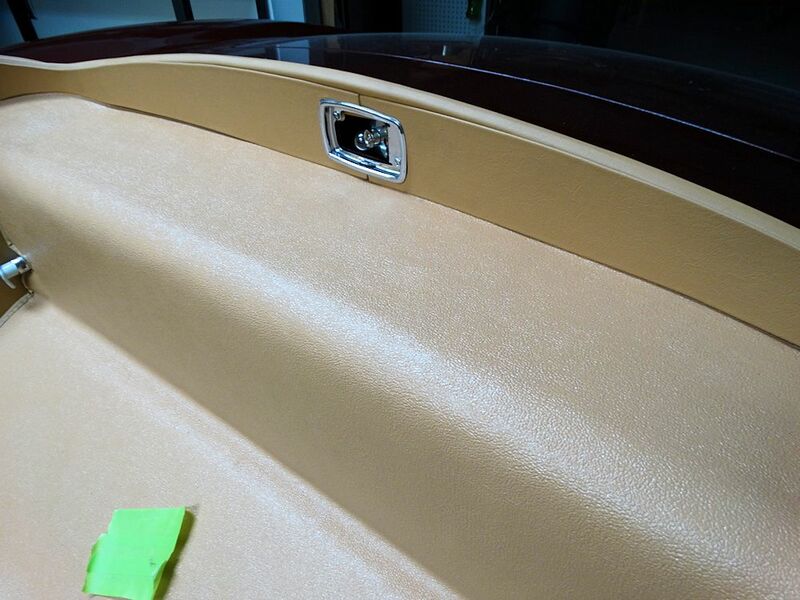 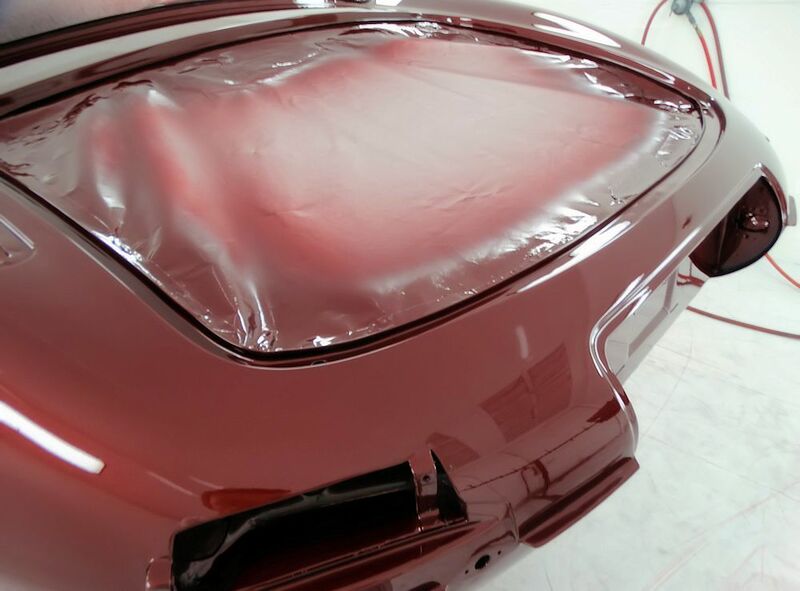 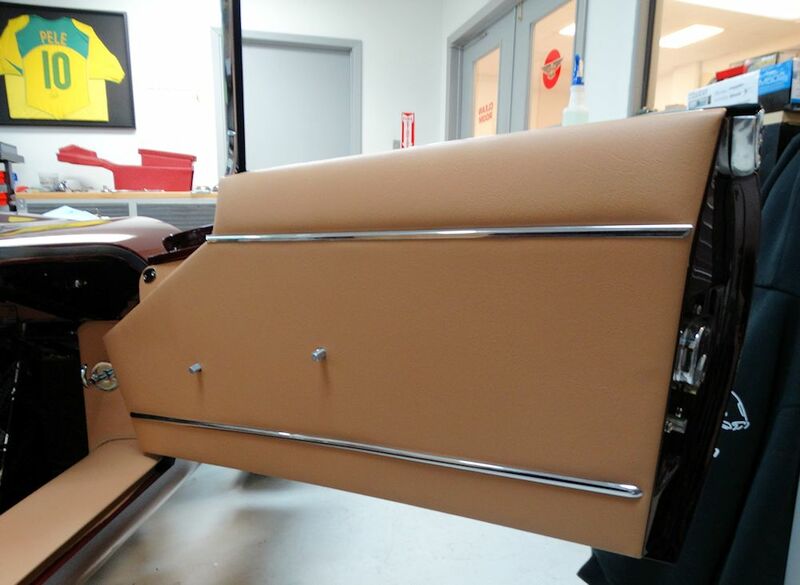 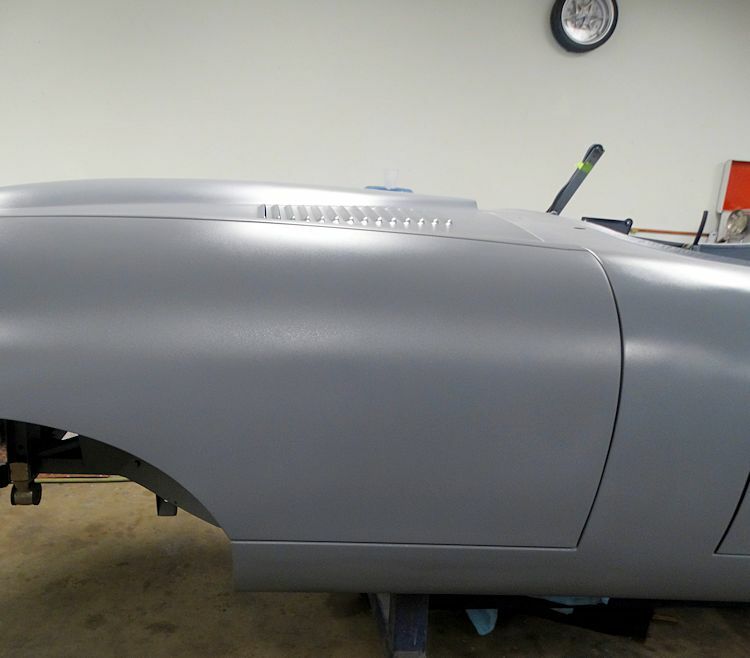 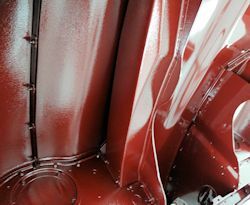 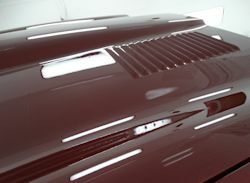 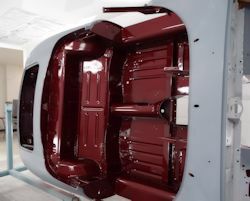 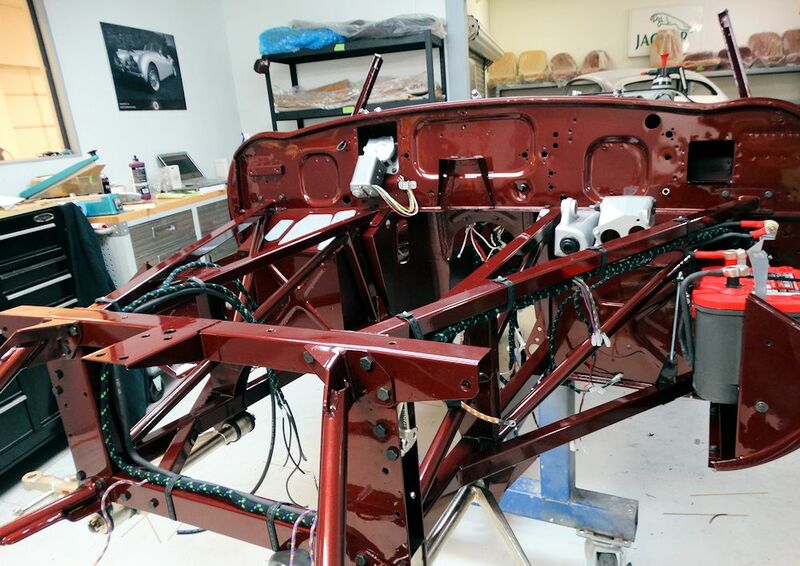 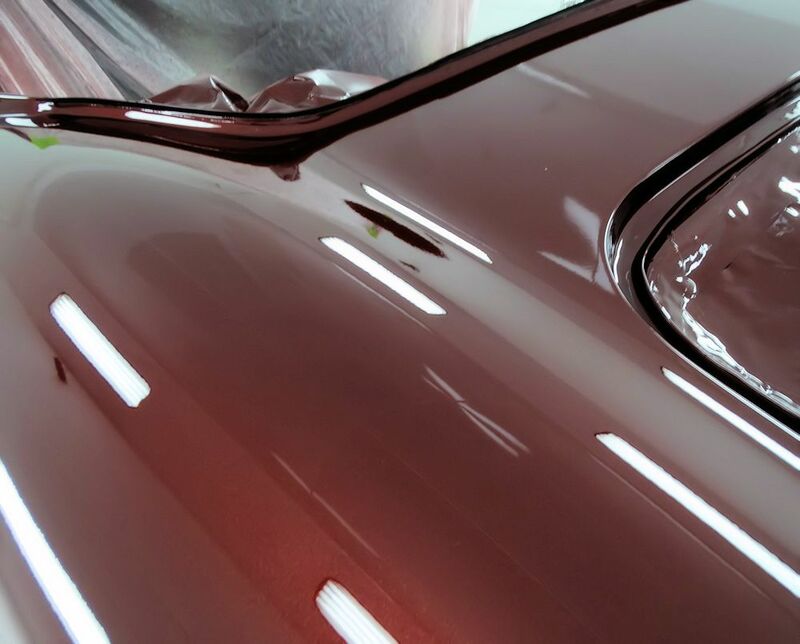 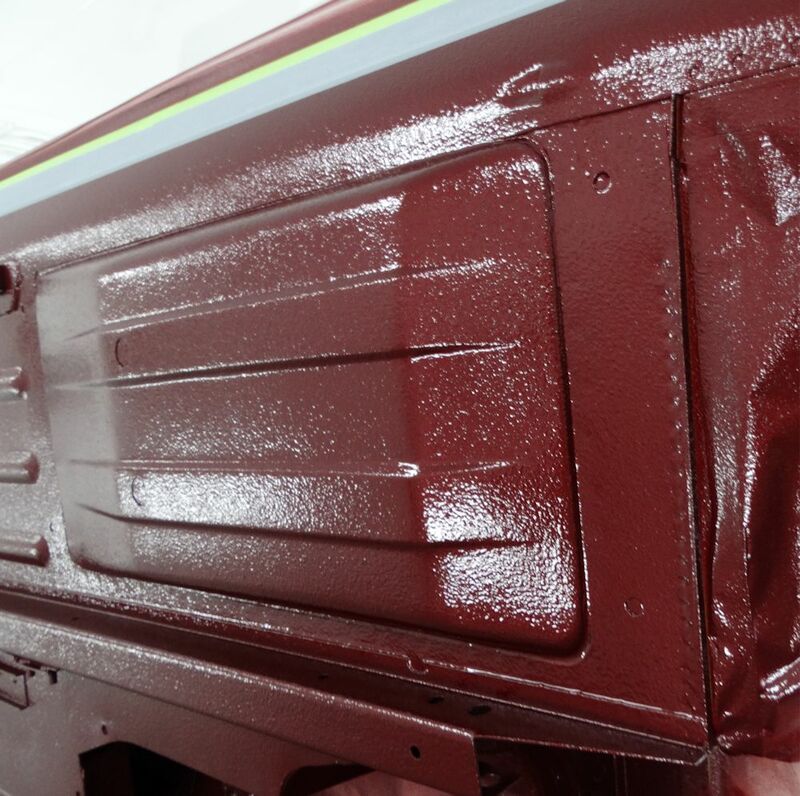 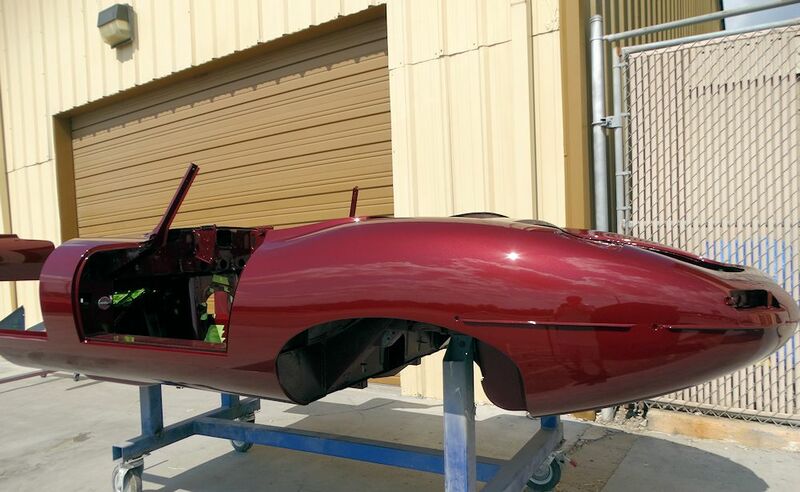 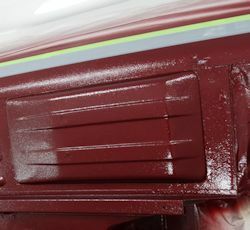 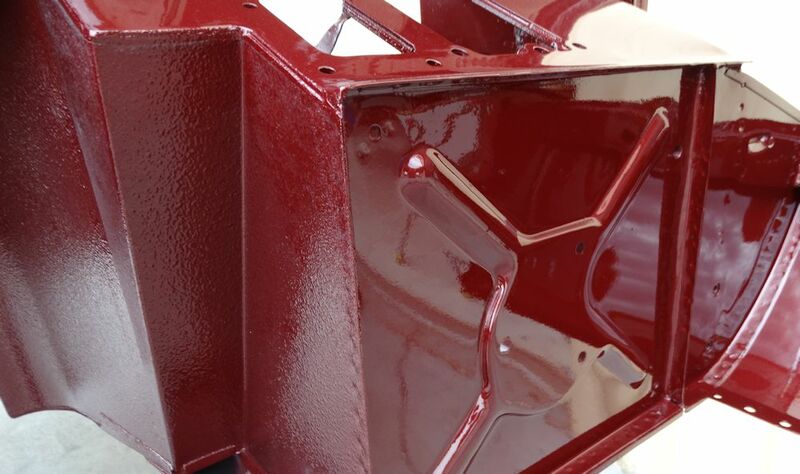 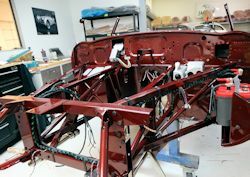 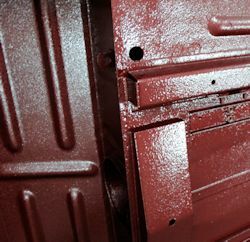 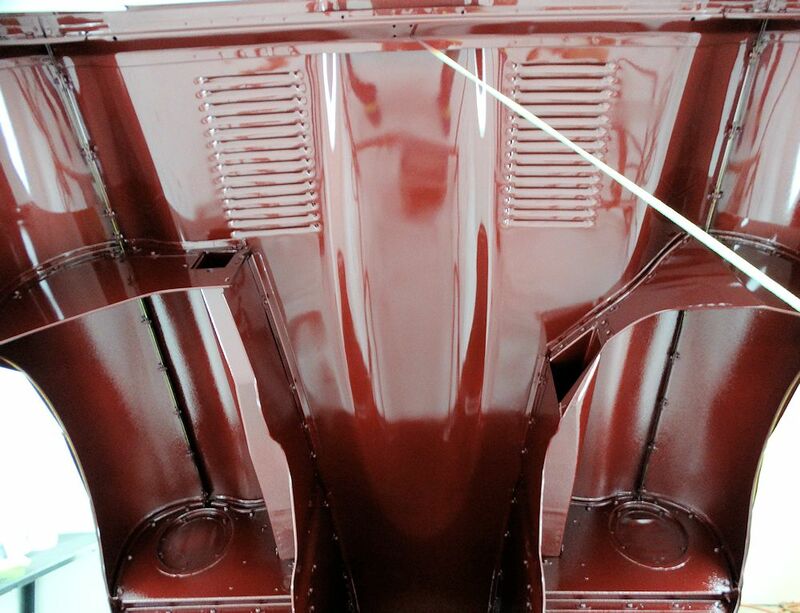 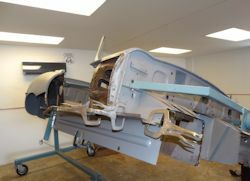 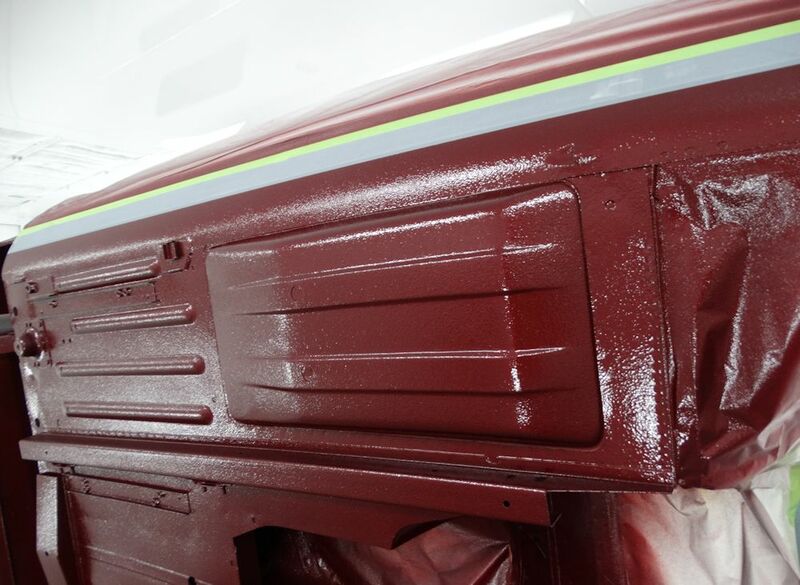 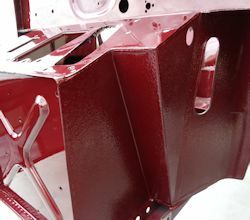 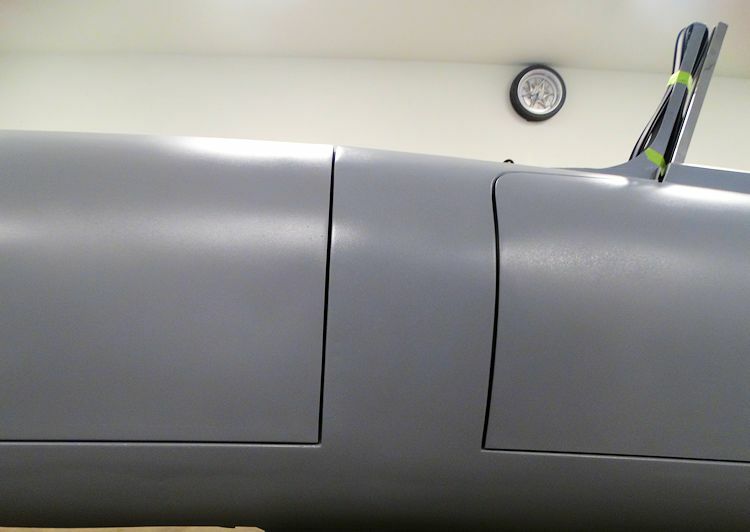 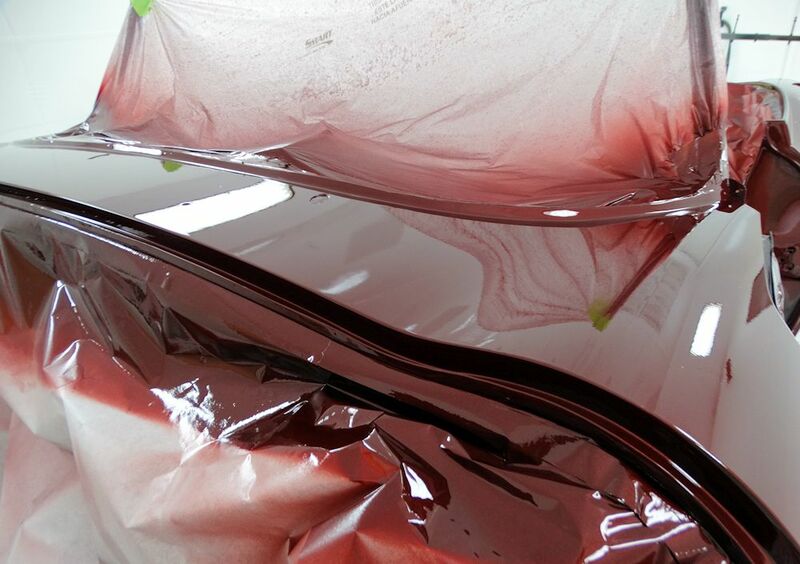 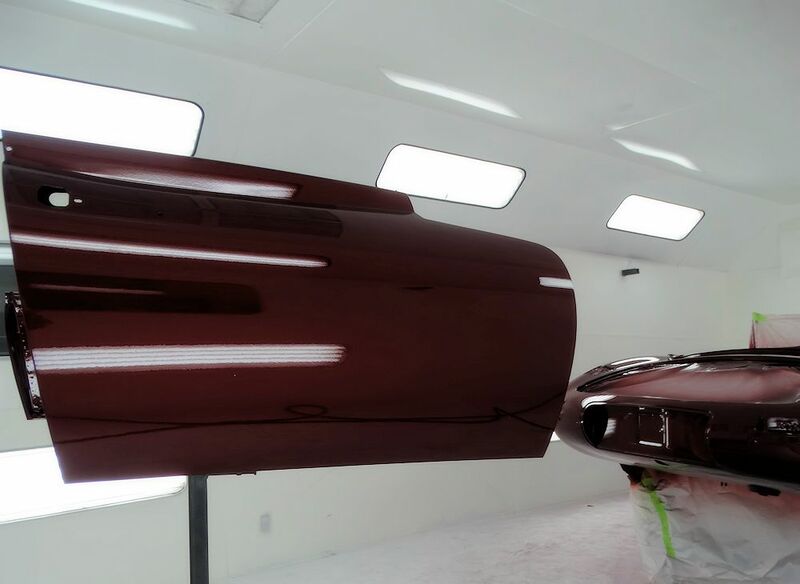 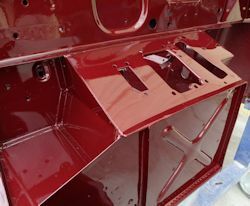 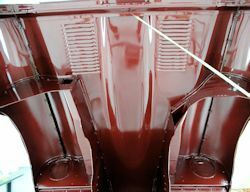 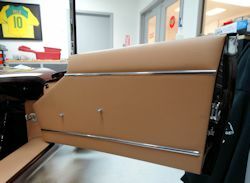 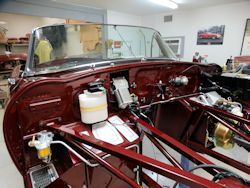 The car will be finished in Opalescent Maroon coachwork with Biscuit Suffolk & Turley hides. 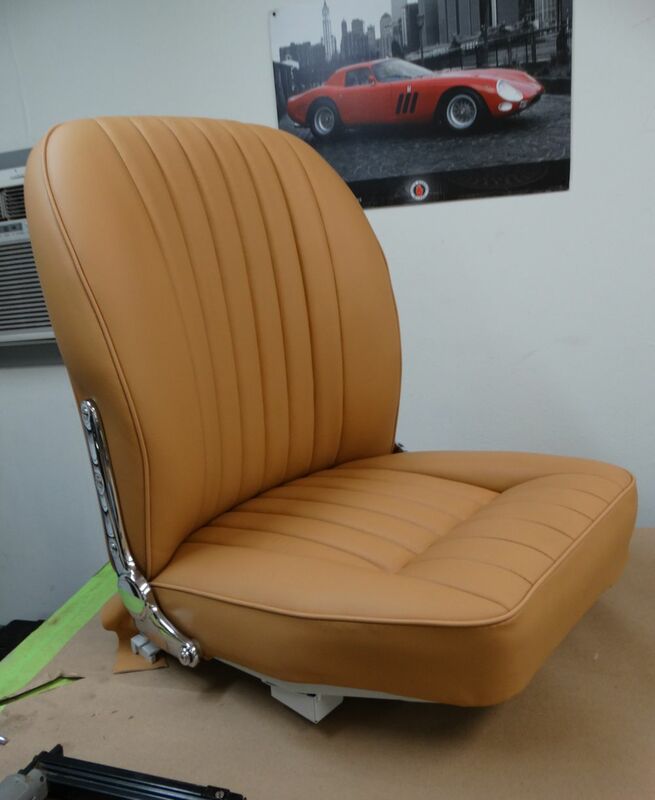 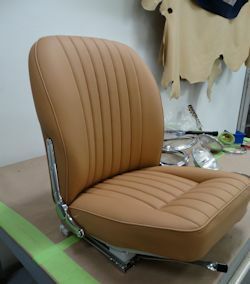 Another Team CJ restoration completed and ready to return home! 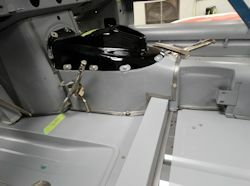 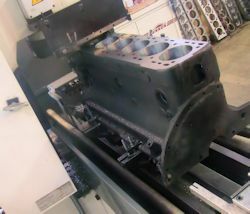 Click on the image above for a video clip of your car being run on the chassis dyno earlier today! 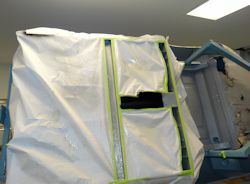 Lots of great progress in the trim room this week. 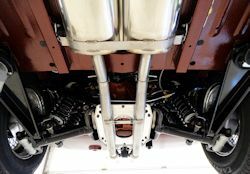 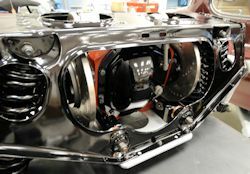 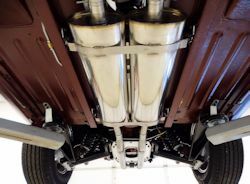 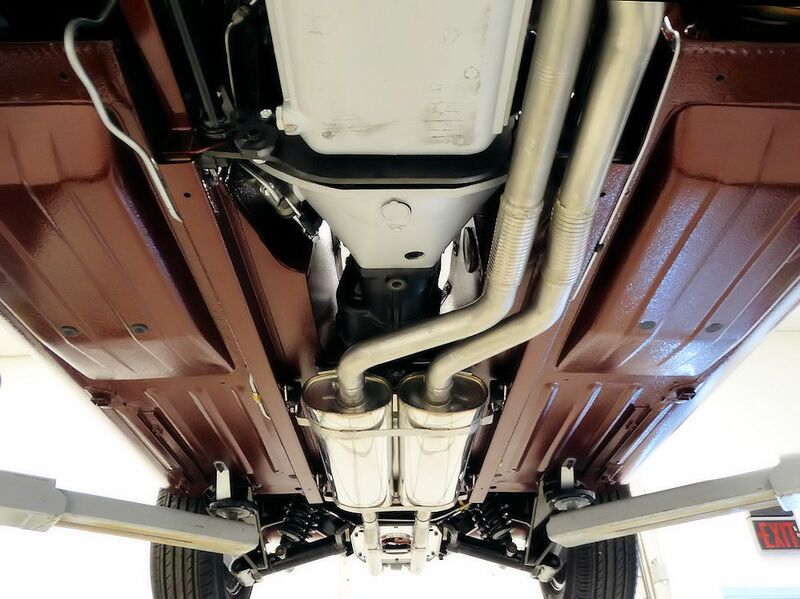 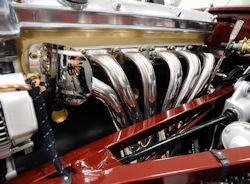 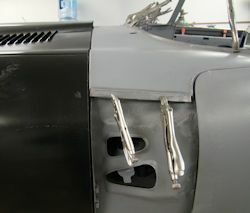 Installing CJ headers and stainless steel exhaust system.. 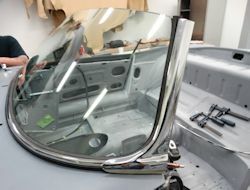 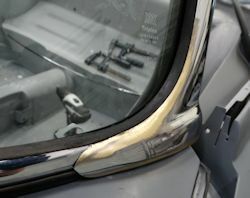 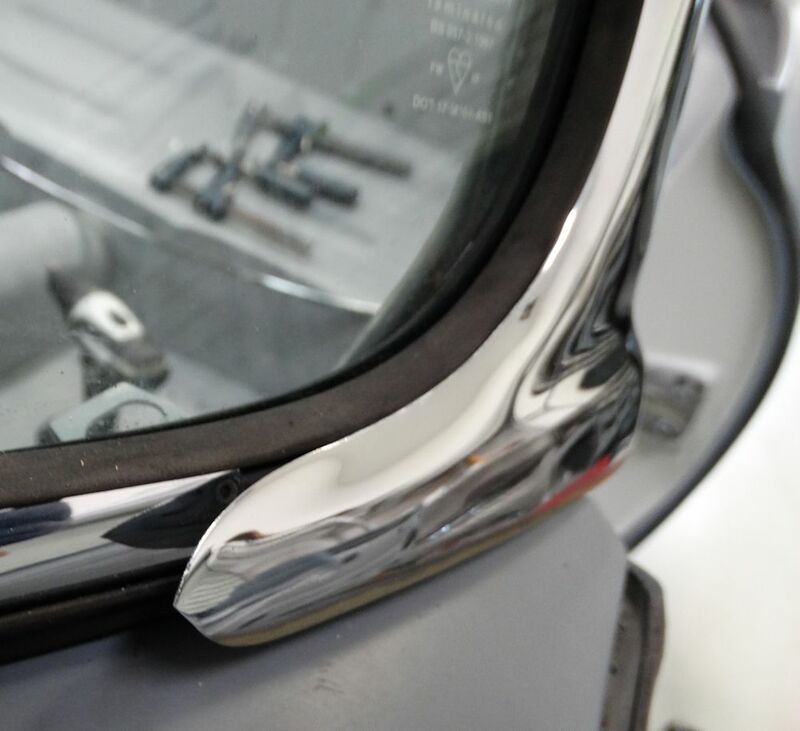 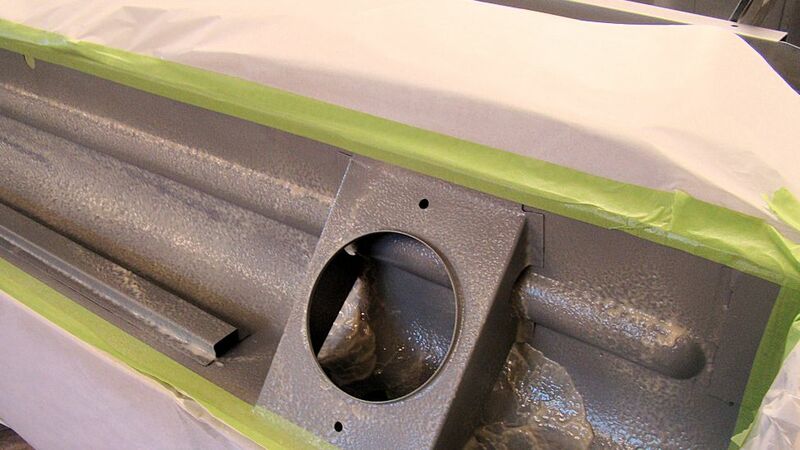 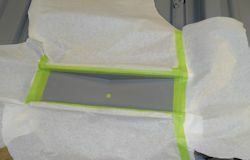 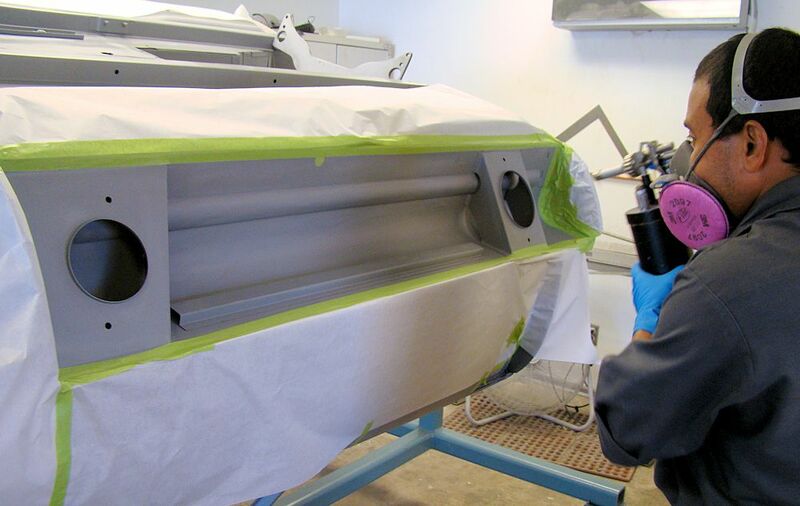 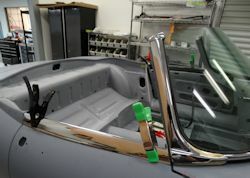 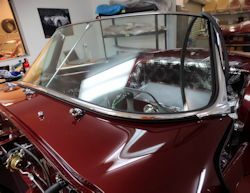 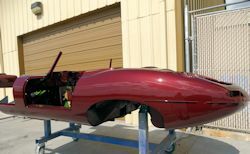 Installing your new Triplex windscreen and chrome trim. 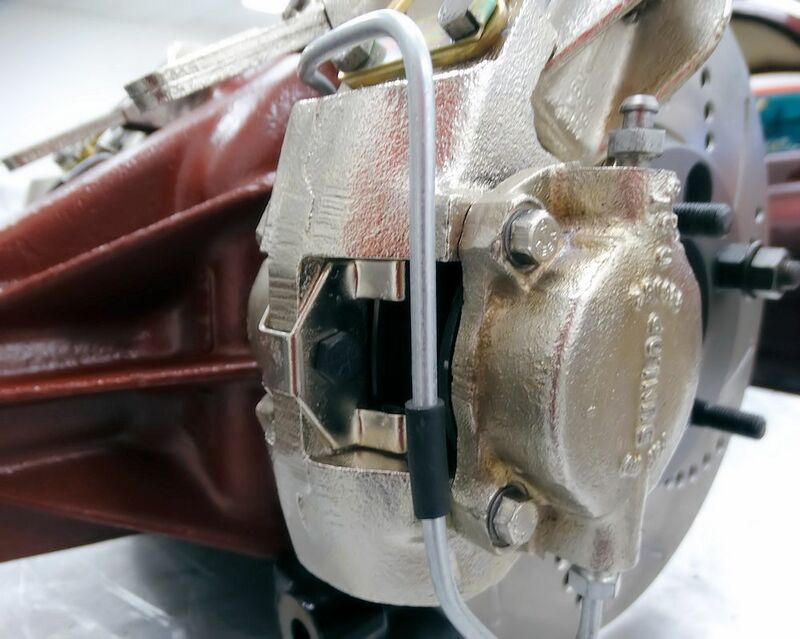 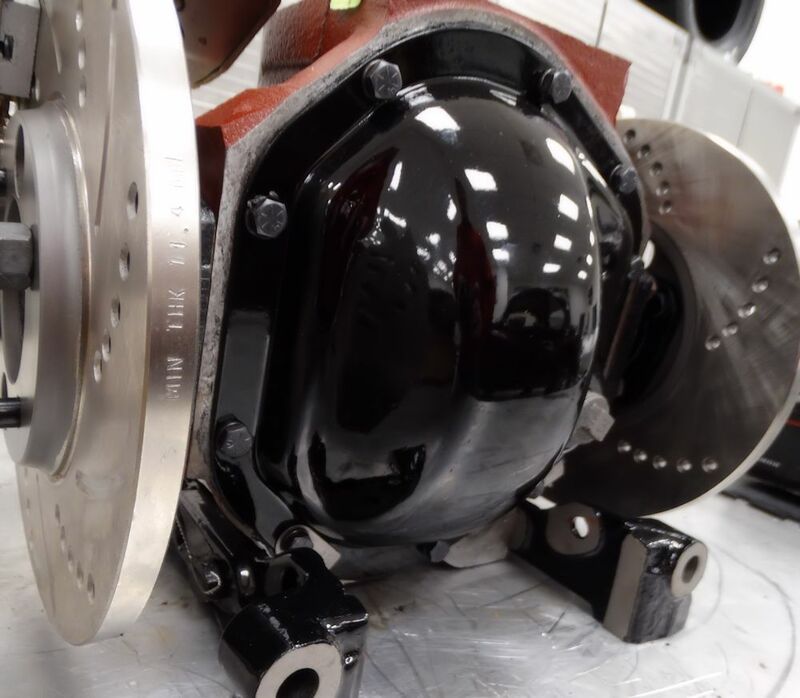 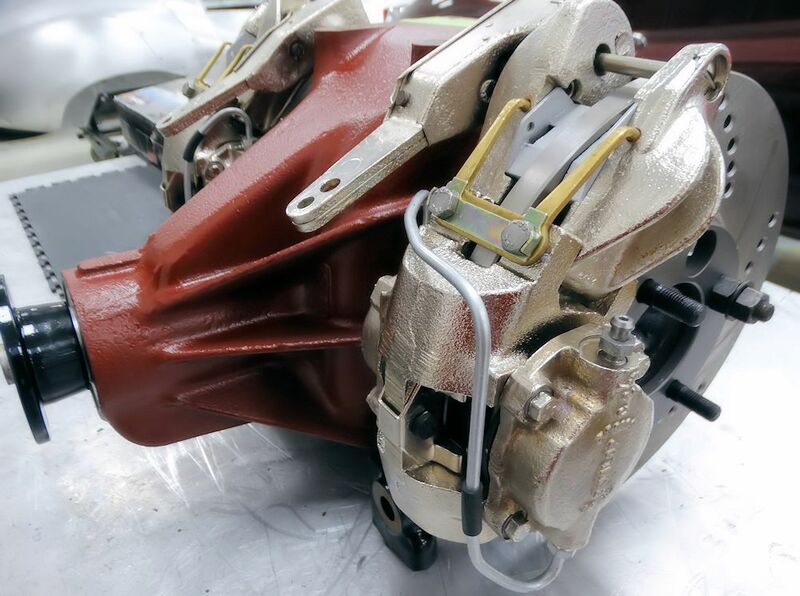 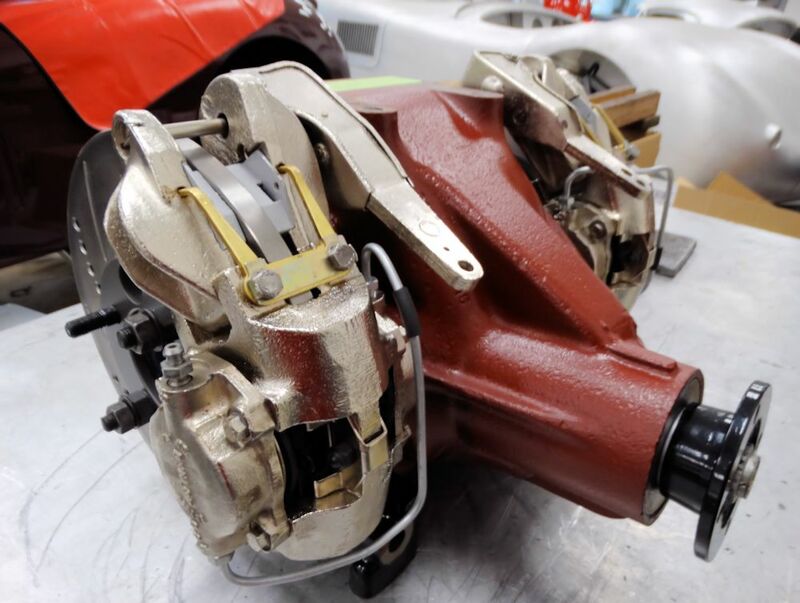 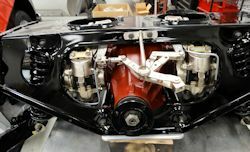 Assembling your rebuilt differential and brakes. 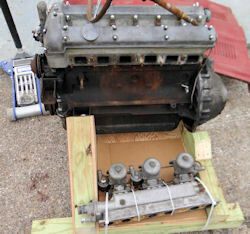 Time to put this thing back together! 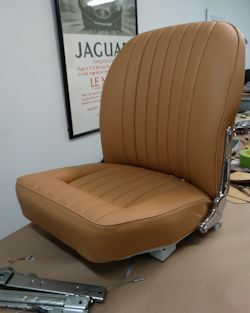 Your seats have now been restored and trimmed in beautiful Suffolk & Turley hides. 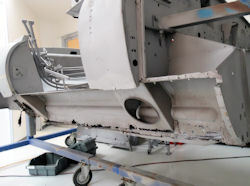 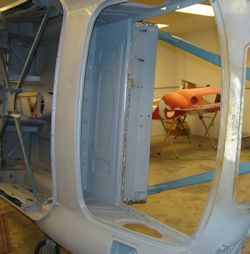 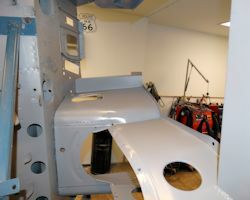 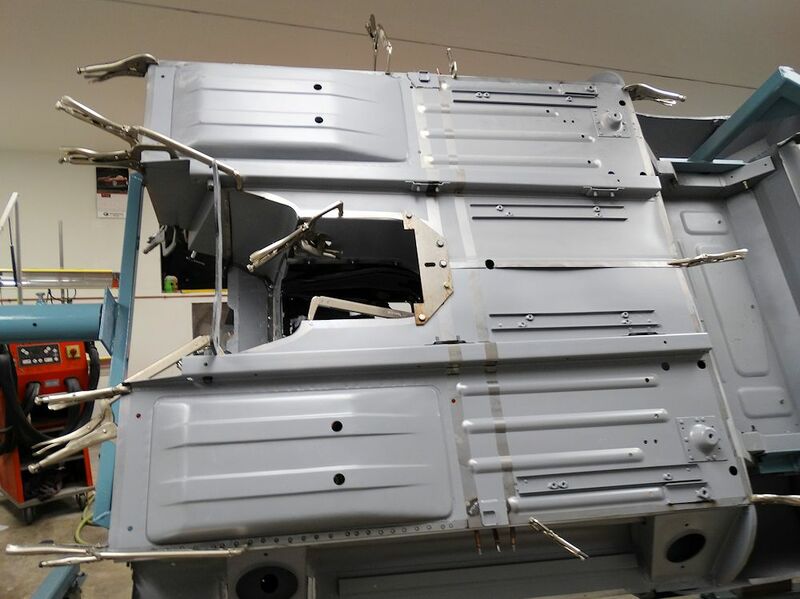 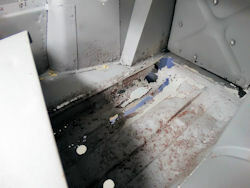 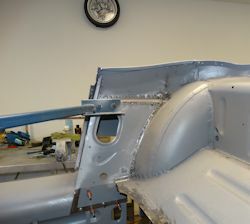 The firewall has now been painted - only the engine frames remain.. Paint looks wonderful in the Texas sunshine! 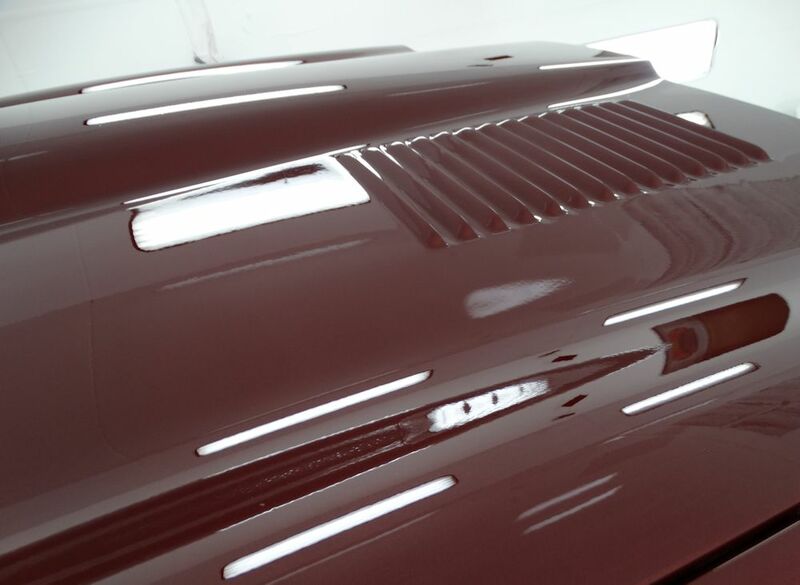 This afternoon we painted the underside of the bonnet. 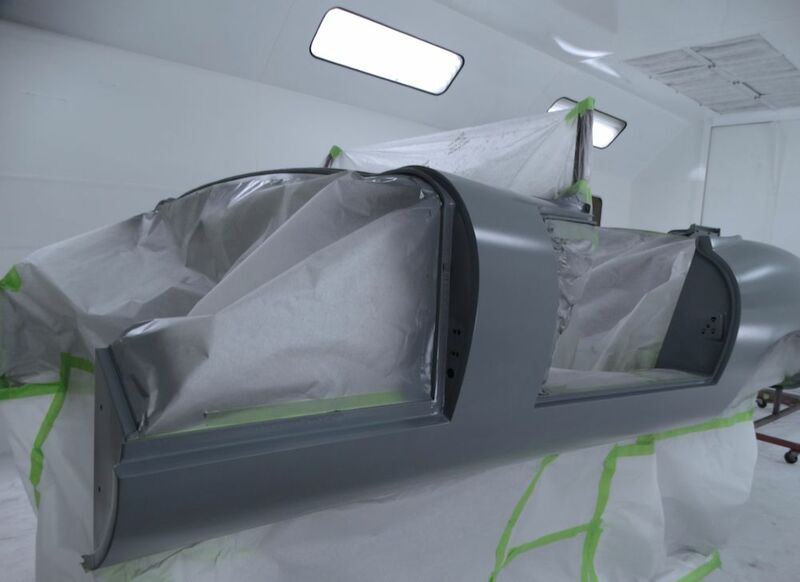 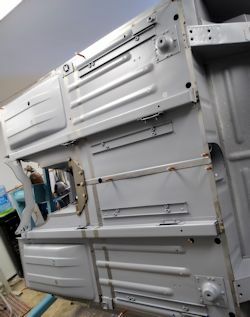 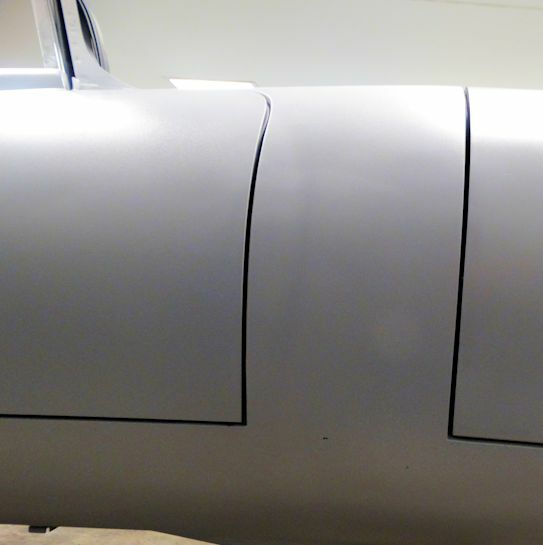 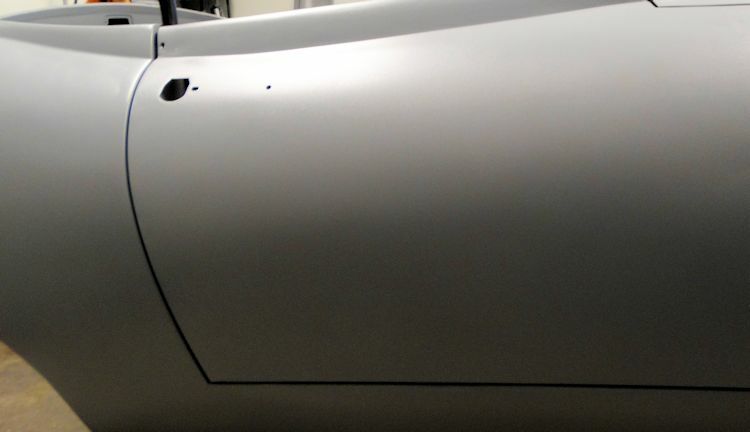 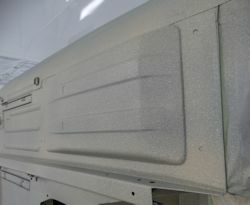 Tomorrow morning we will begin painting all the outer panels! 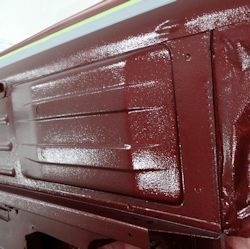 Applying the first of the Opalescent Maroon paintwork! 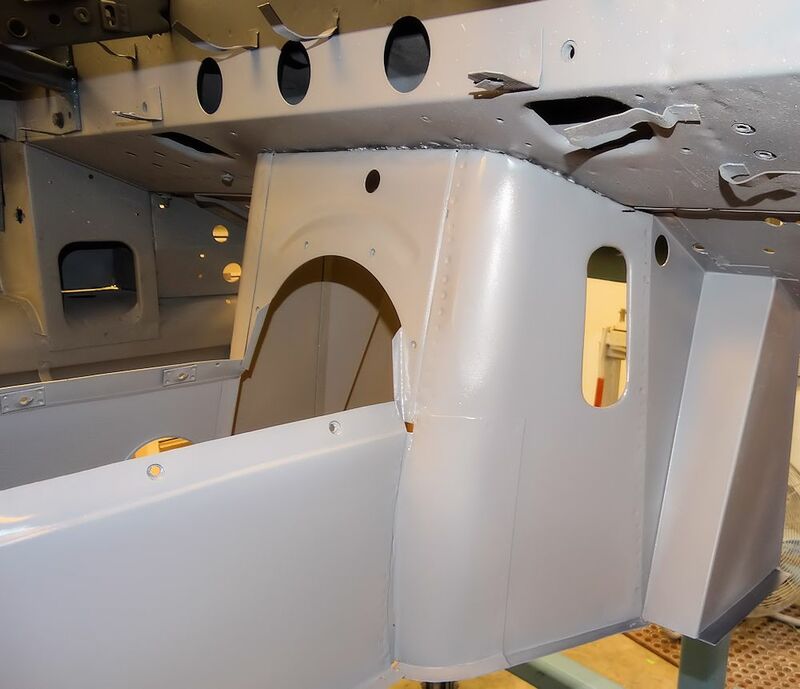 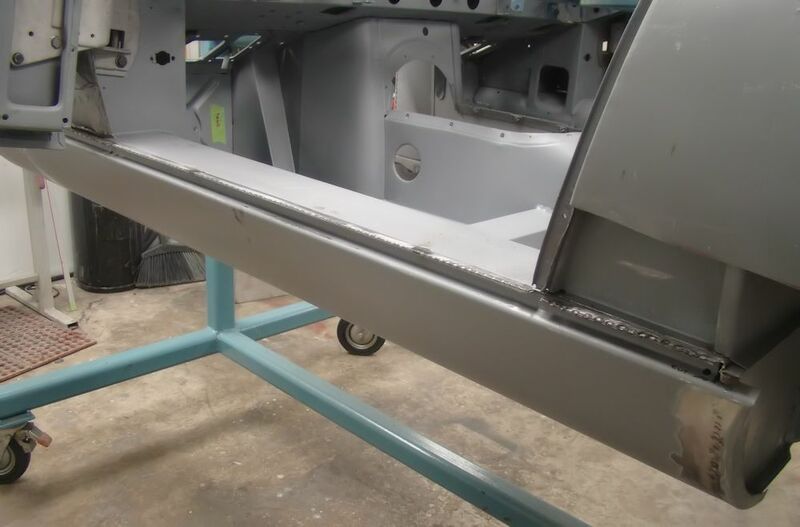 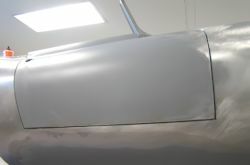 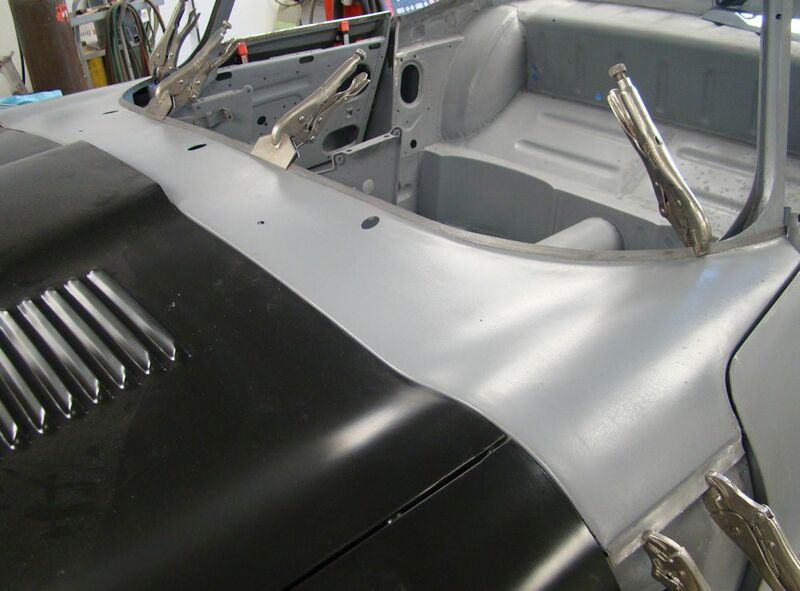 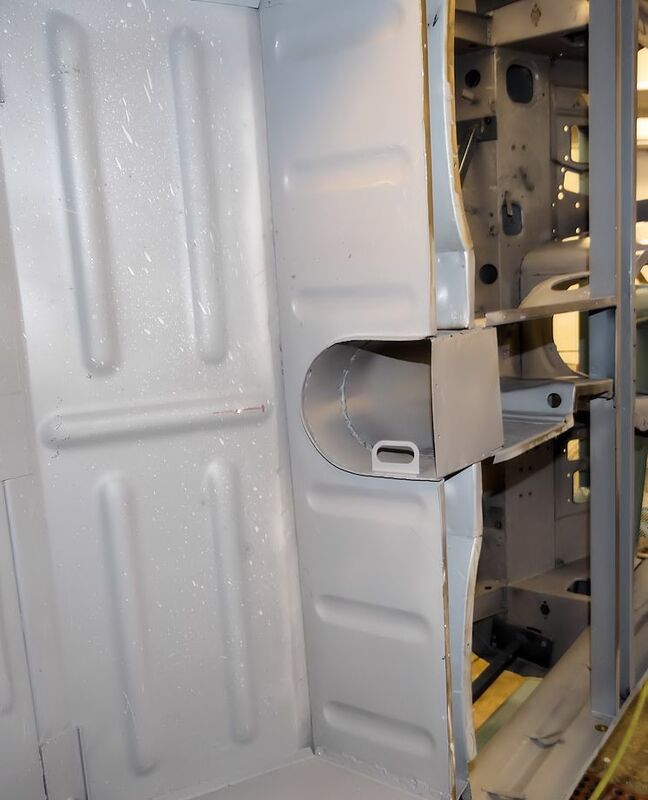 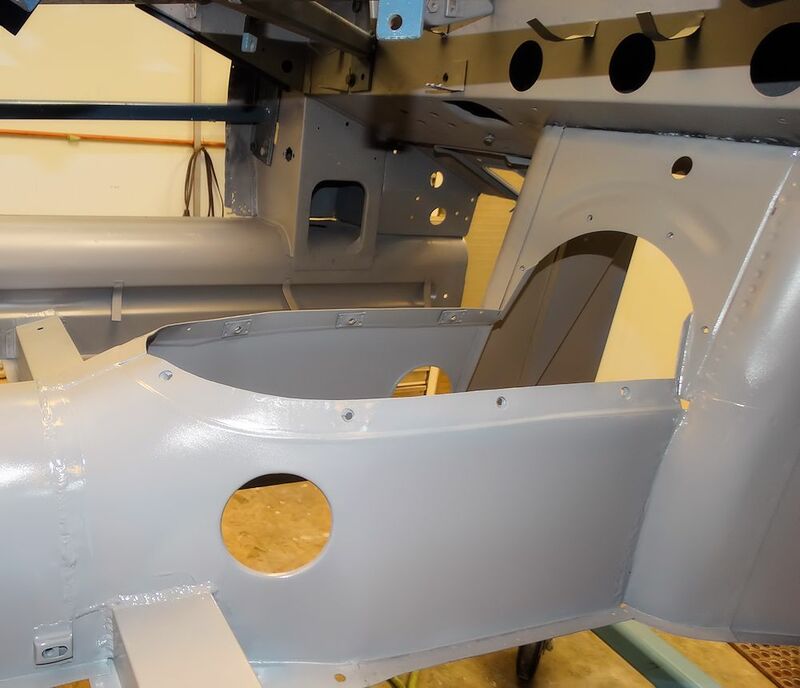 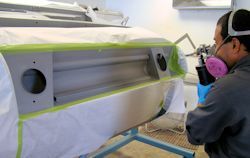 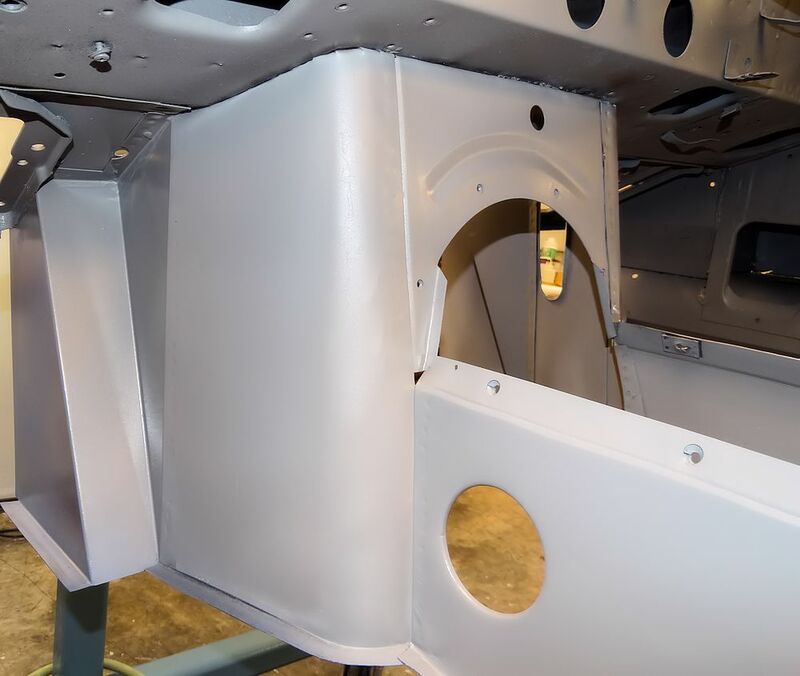 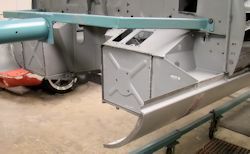 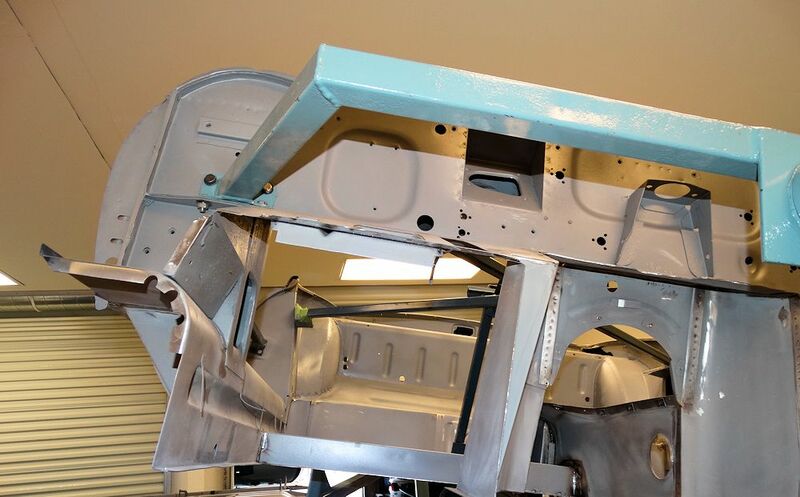 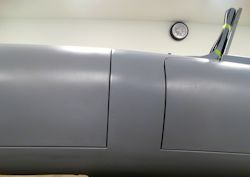 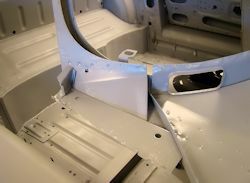 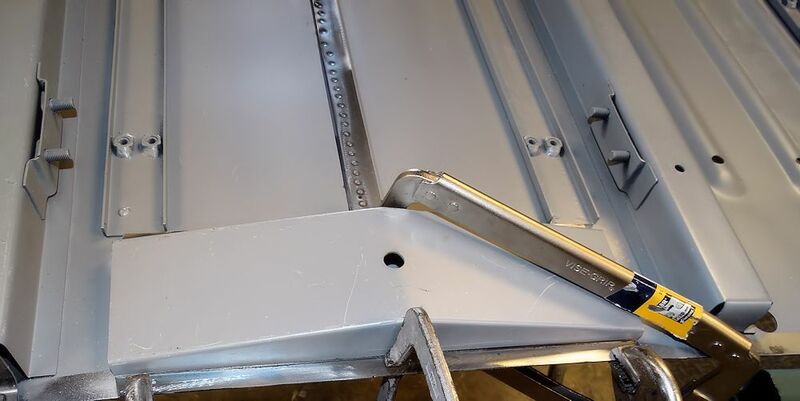 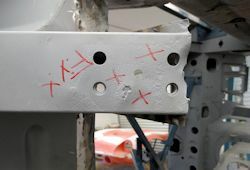 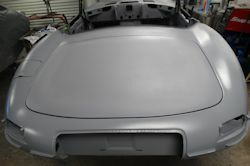 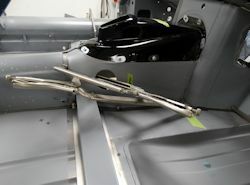 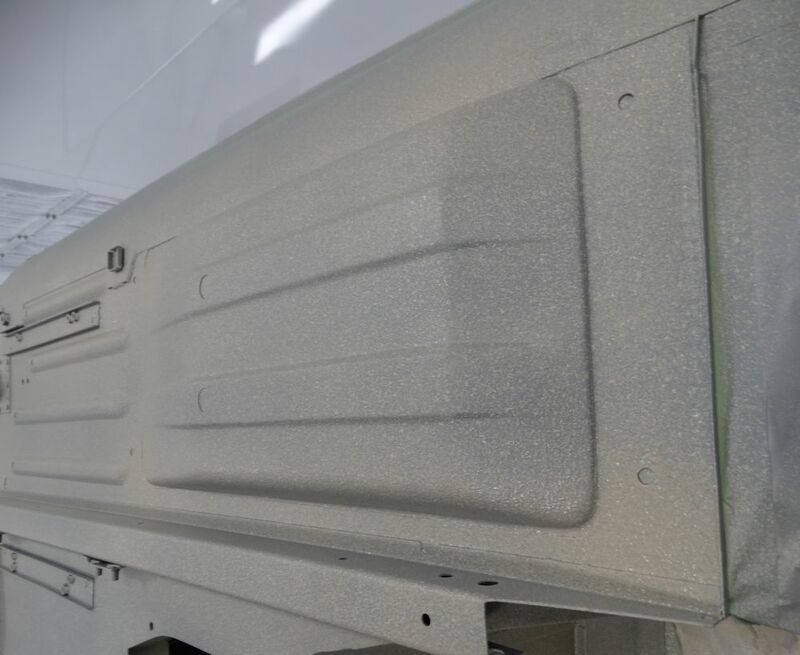 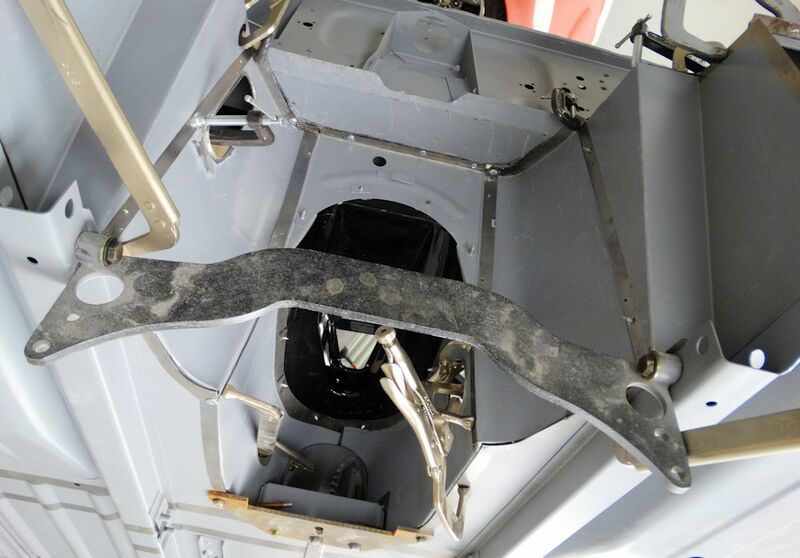 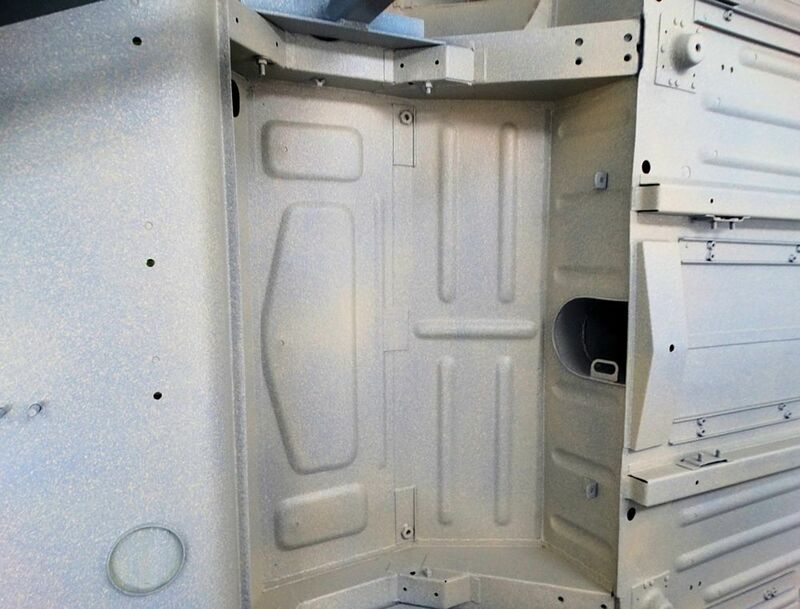 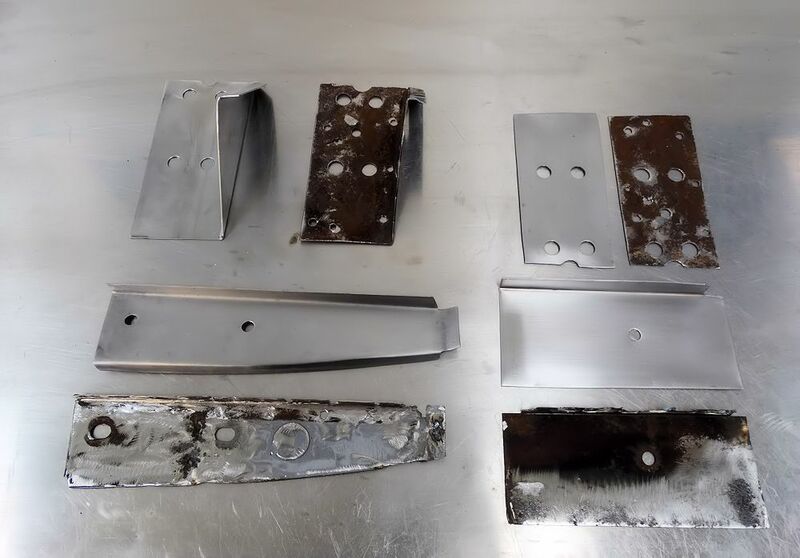 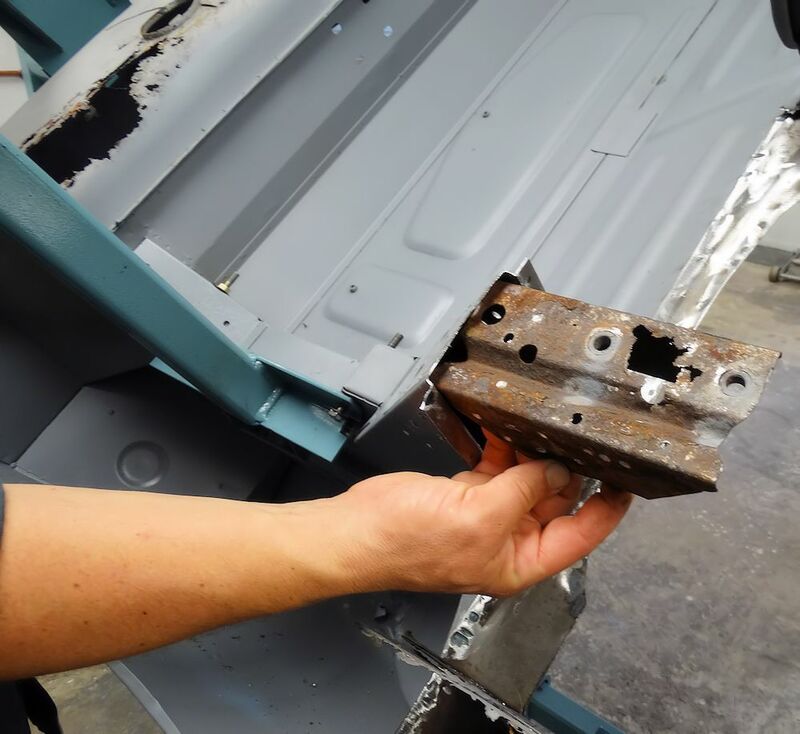 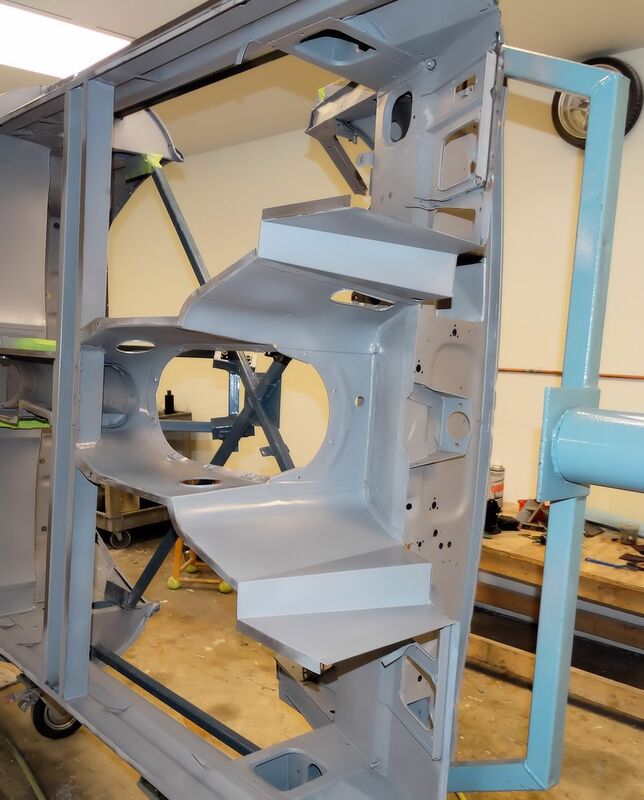 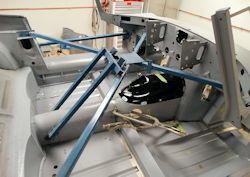 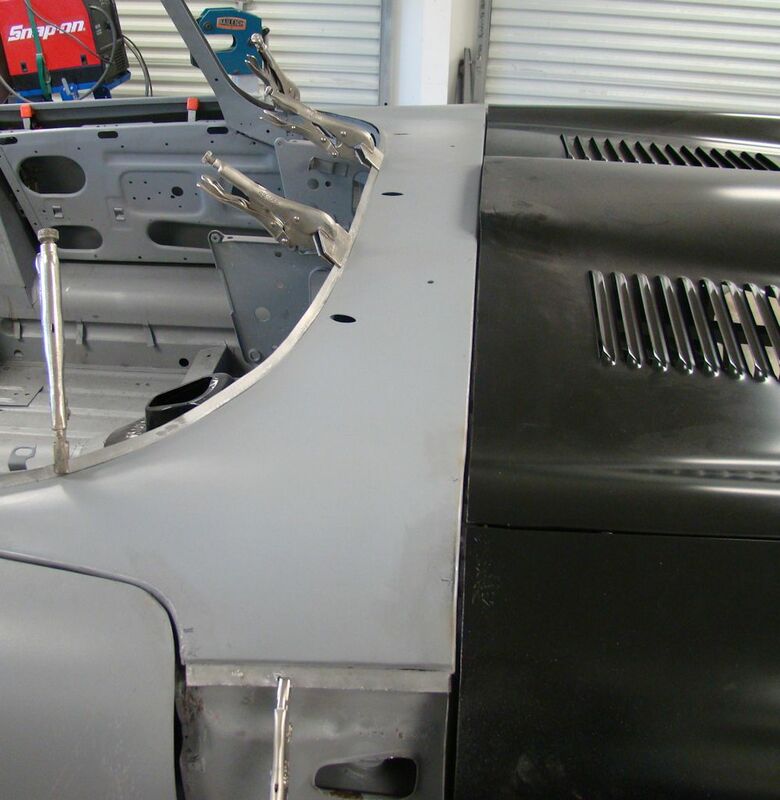 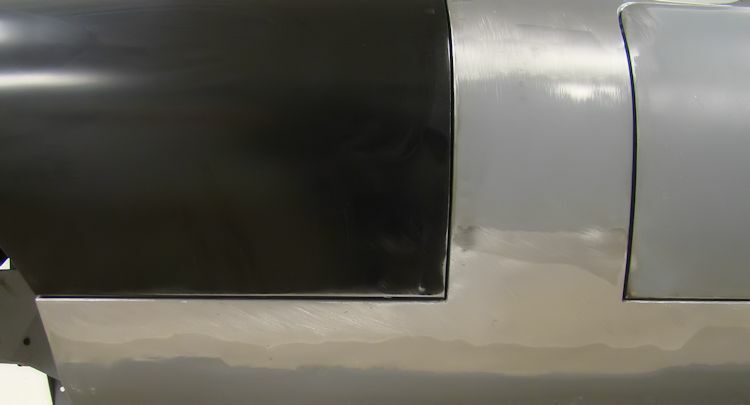 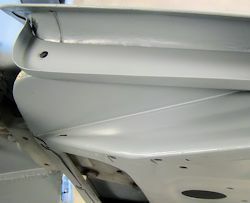 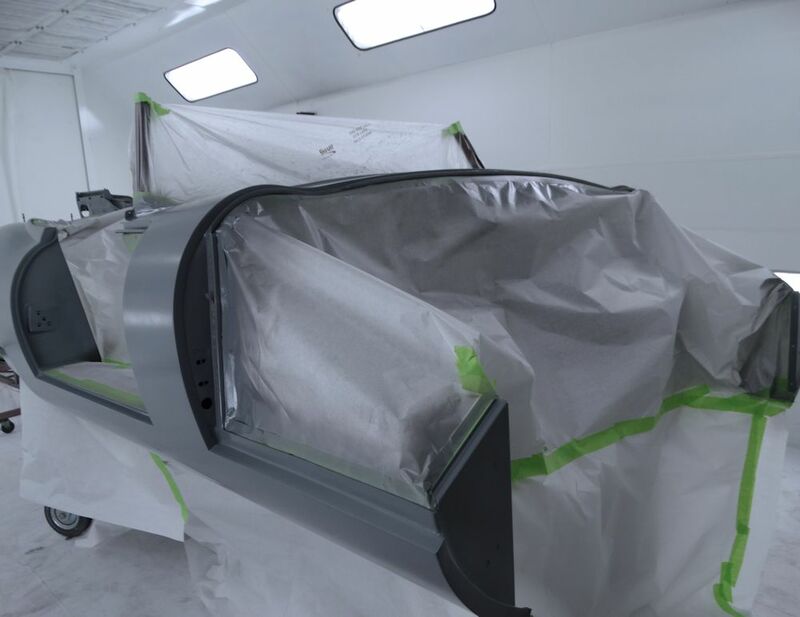 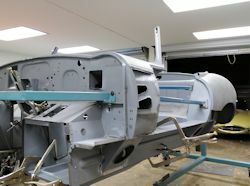 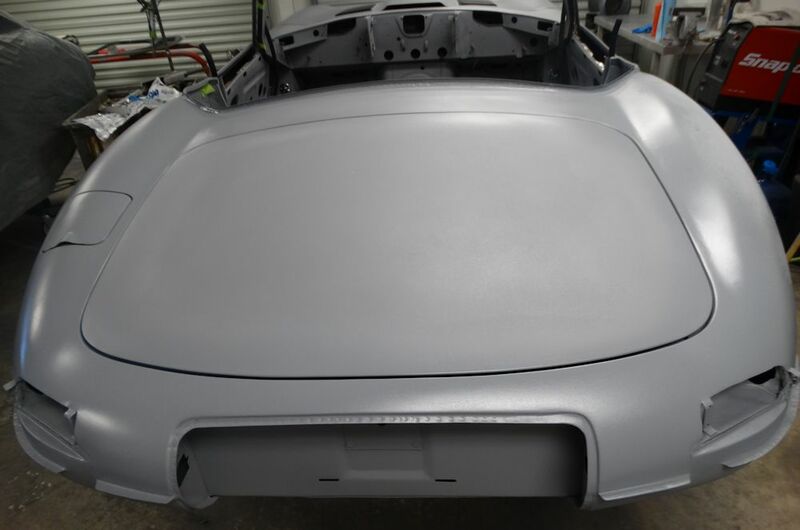 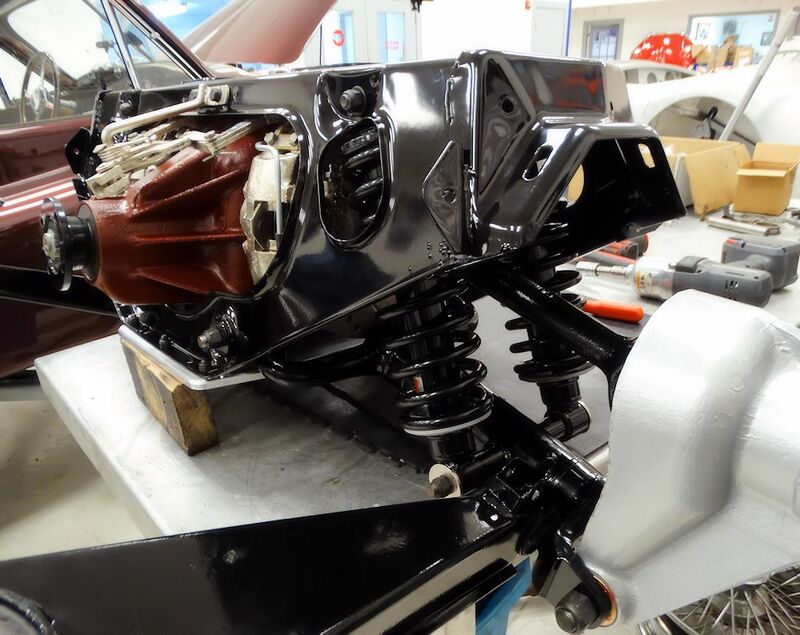 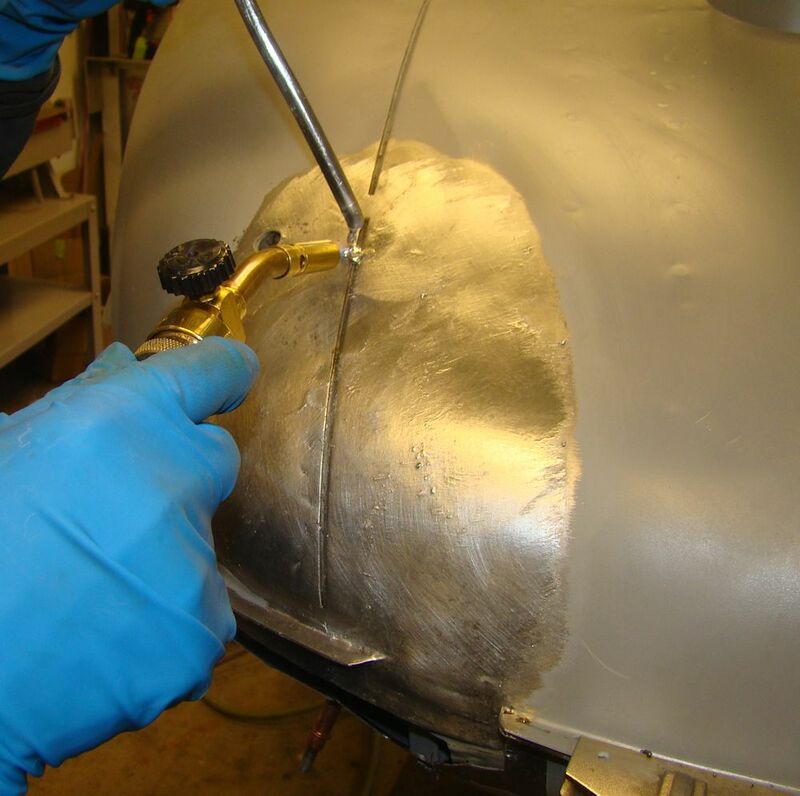 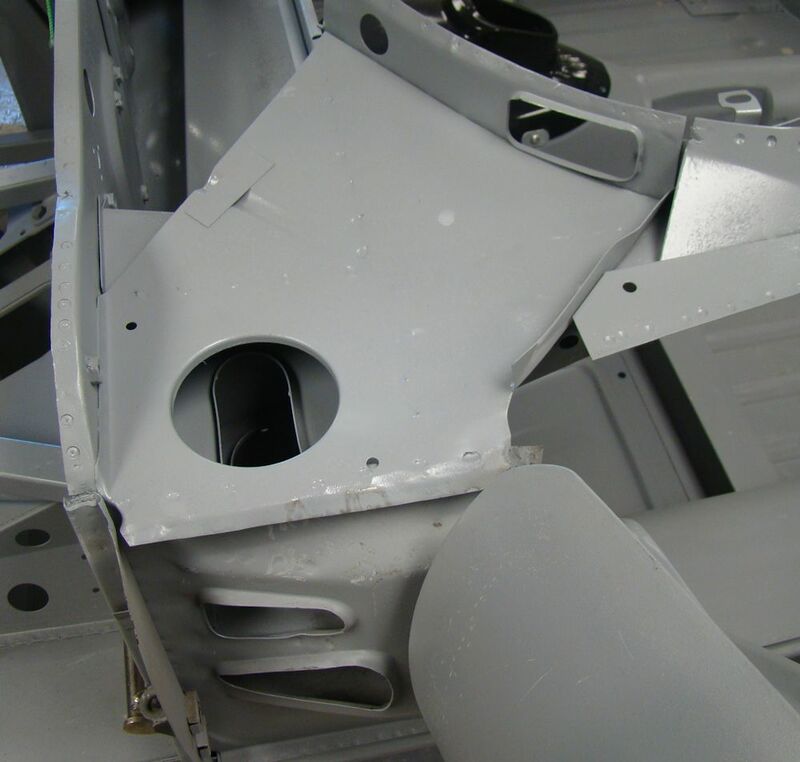 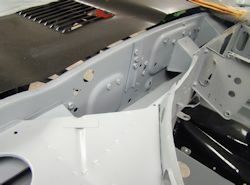 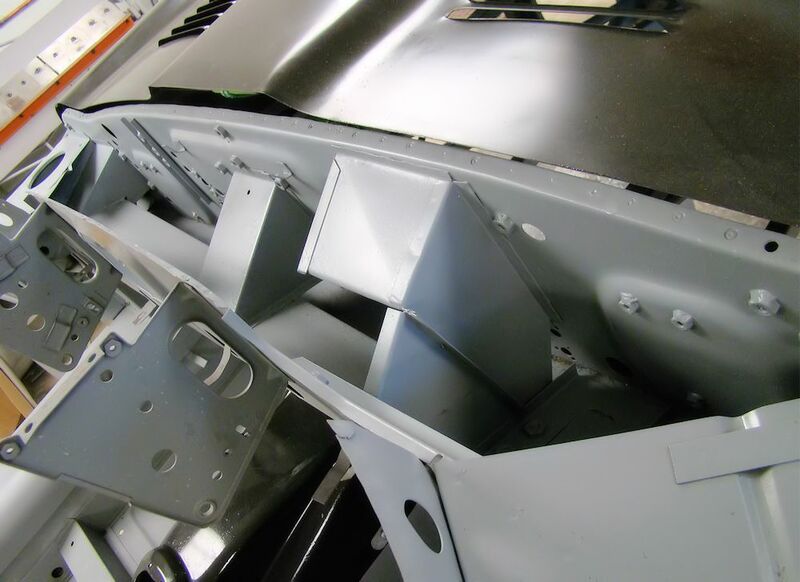 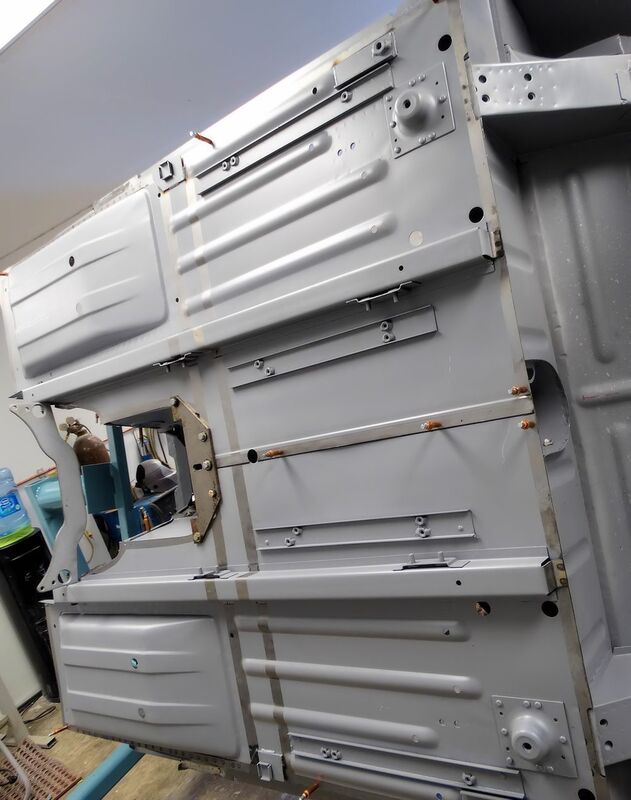 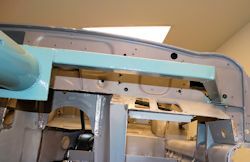 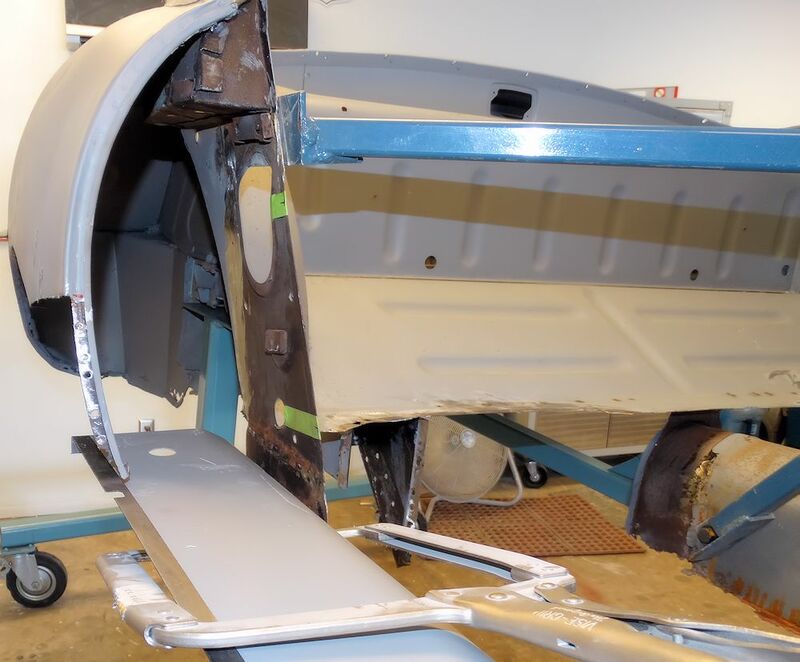 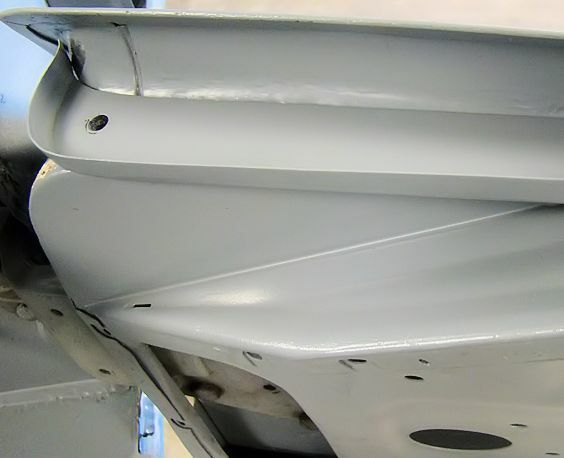 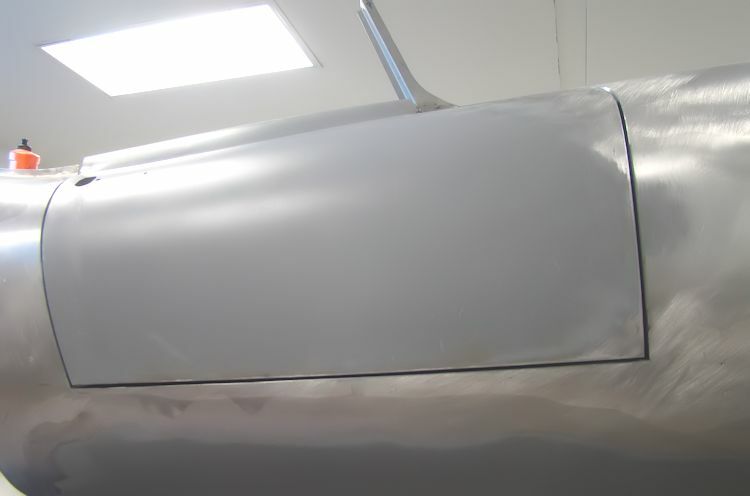 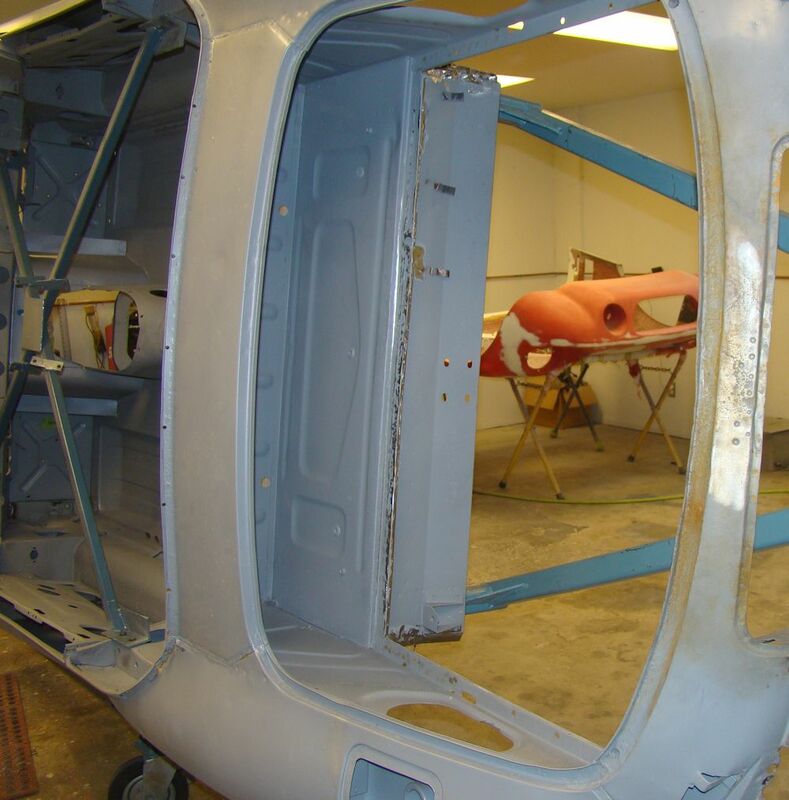 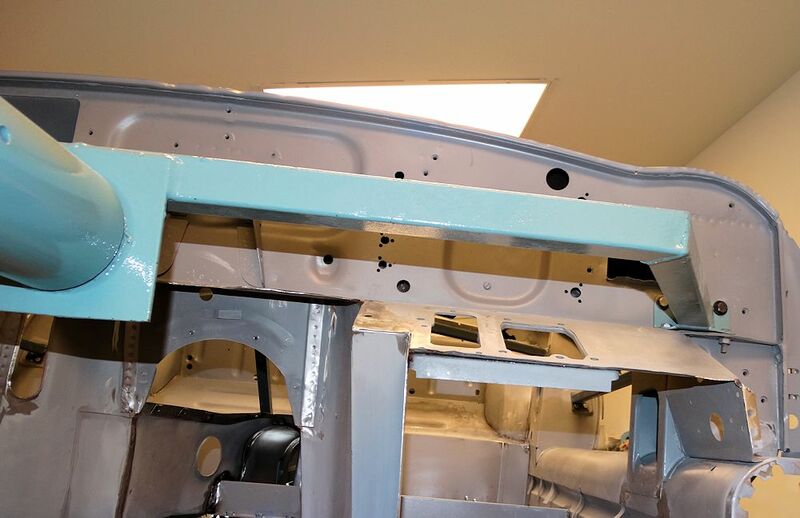 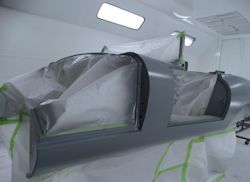 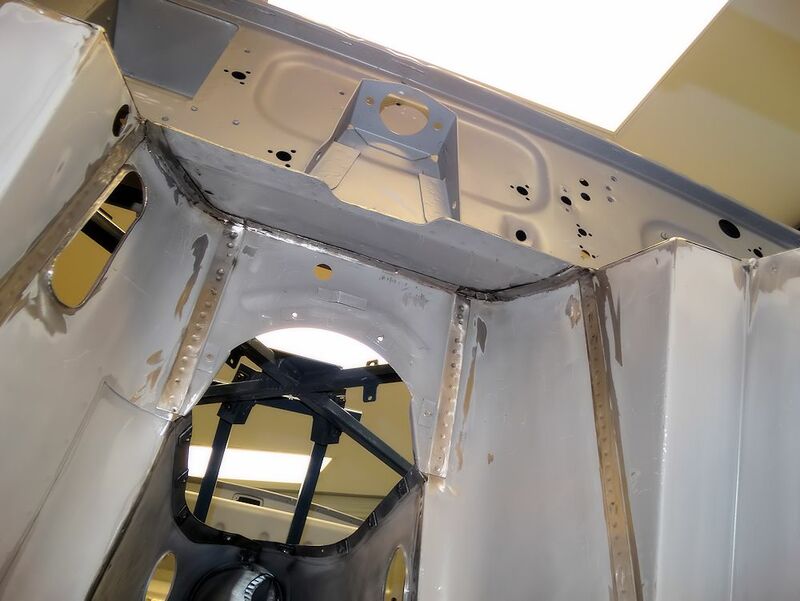 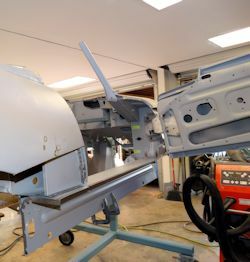 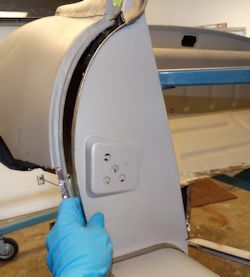 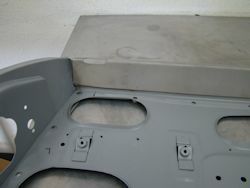 The following sequence of photos show how we rock guard then paint the underside of the car, which is now literally better than new..
As we get the chrome trial fit process underway, we have unfortunately found that much of the original chrome is beyond economical repair. 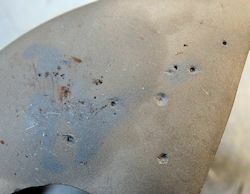 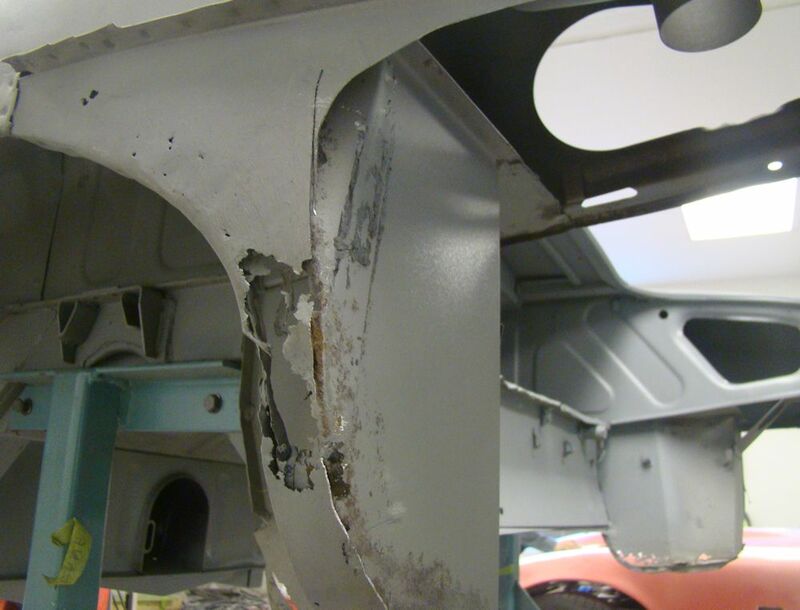 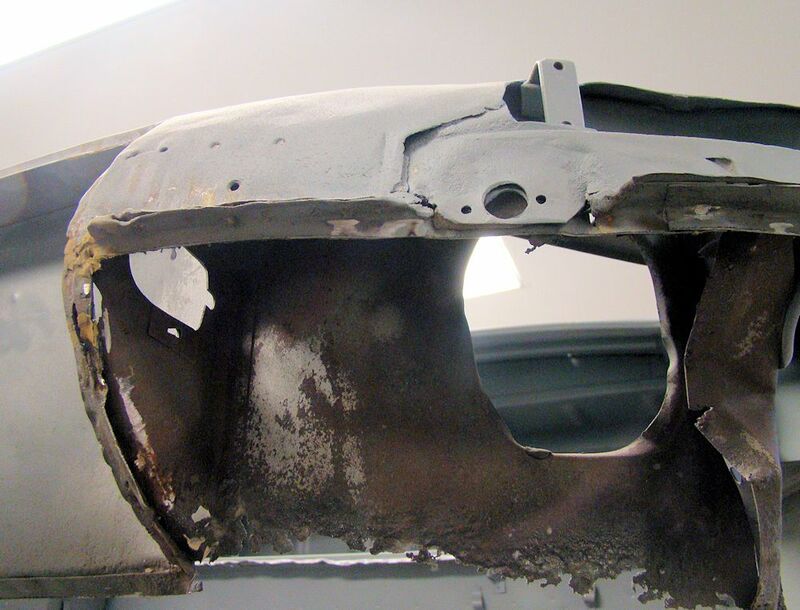 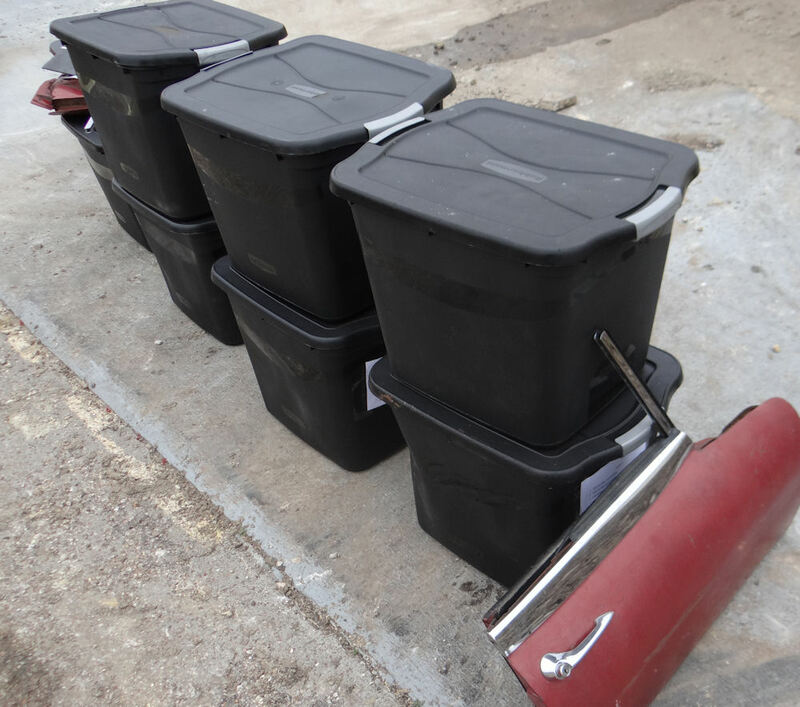 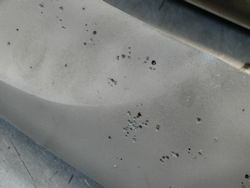 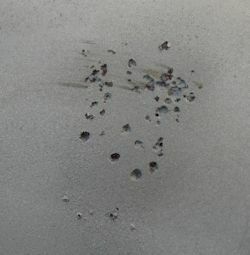 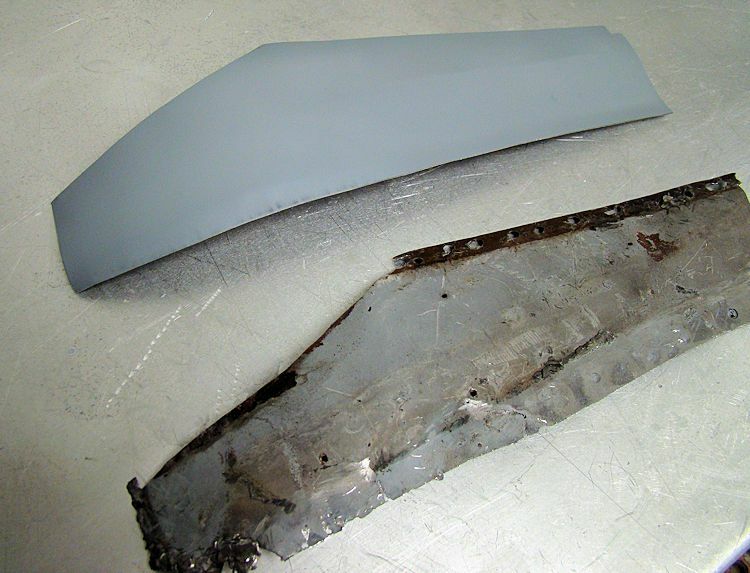 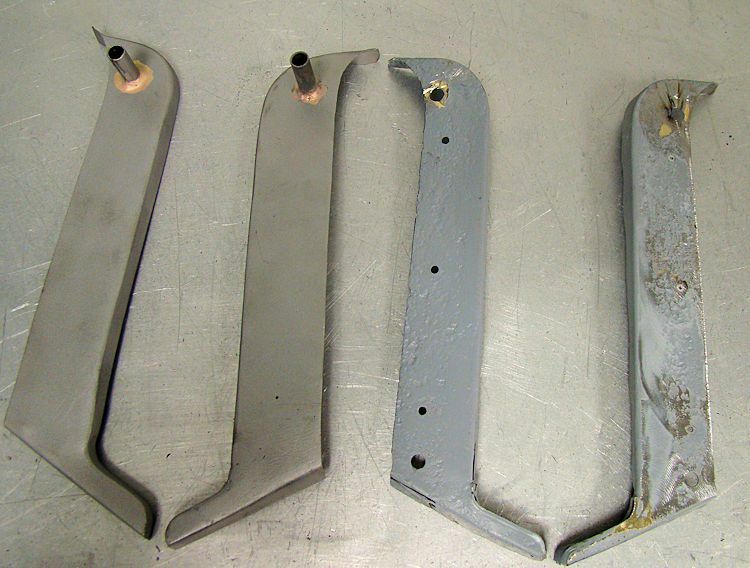 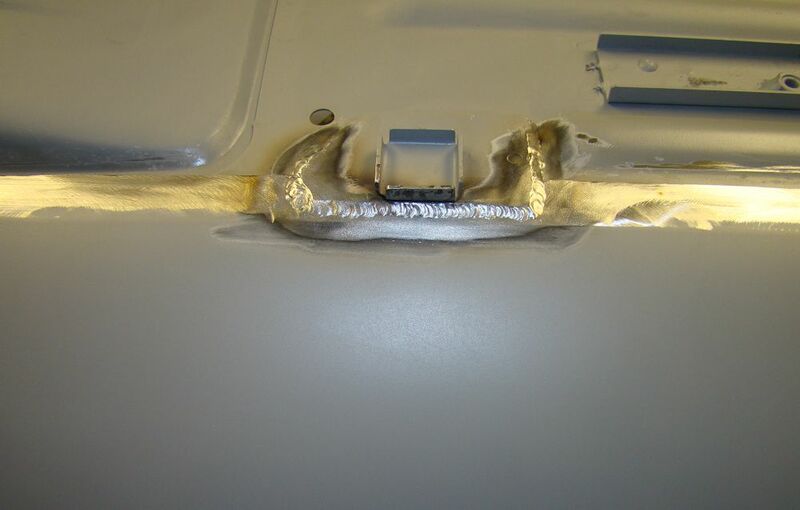 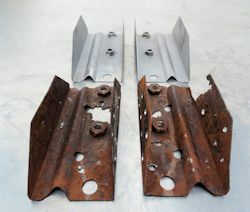 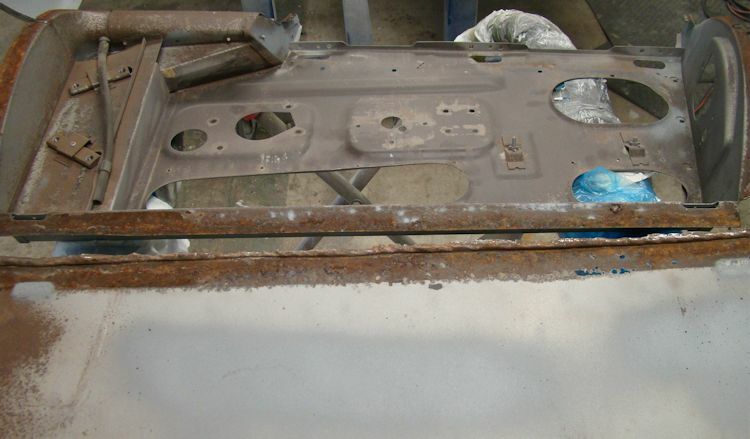 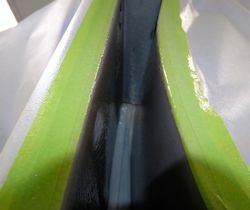 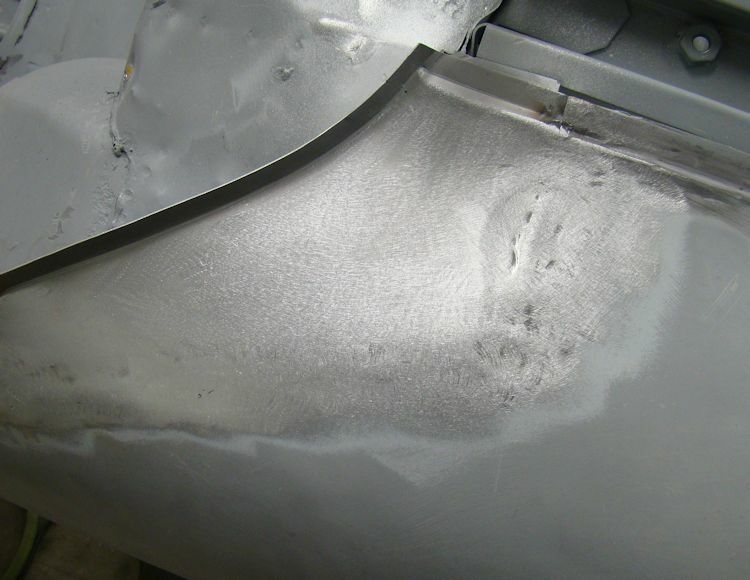 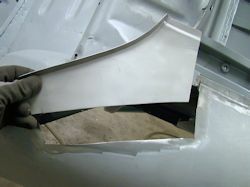 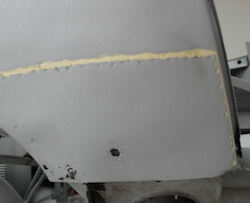 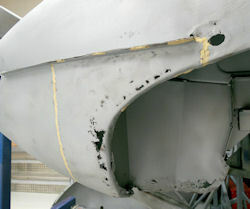 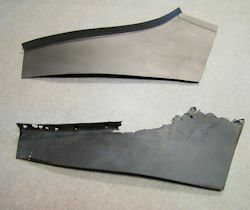 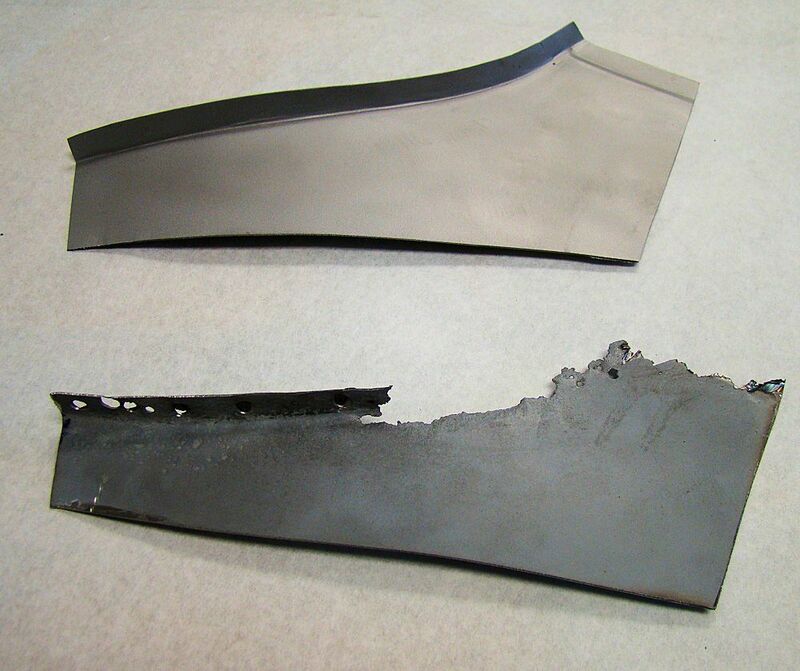 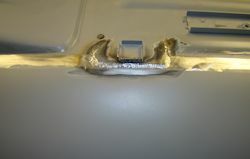 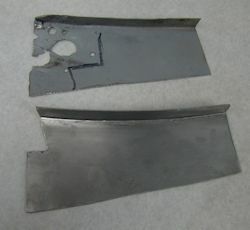 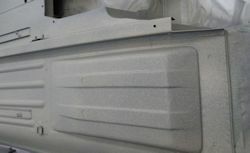 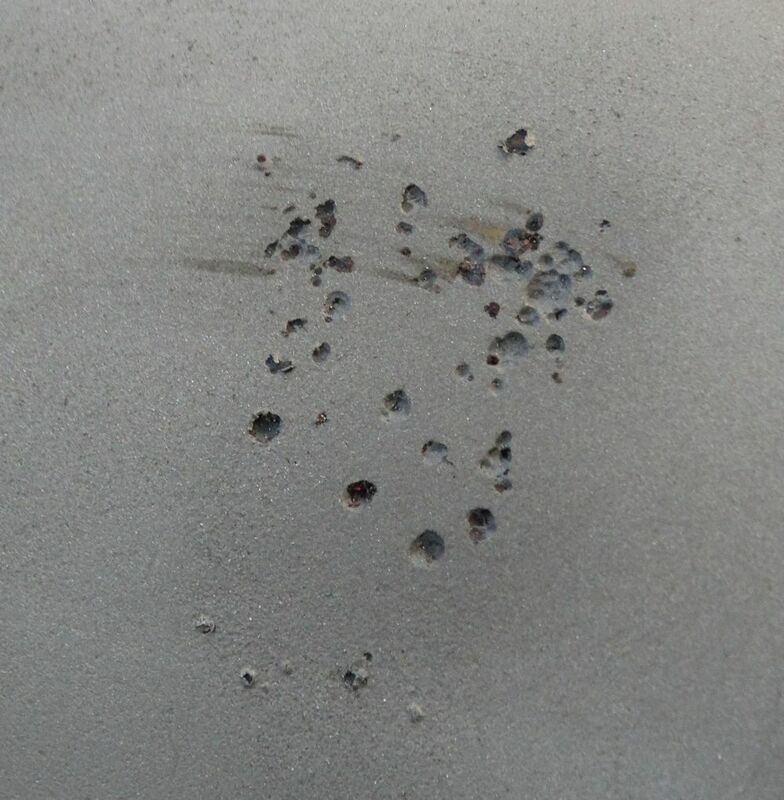 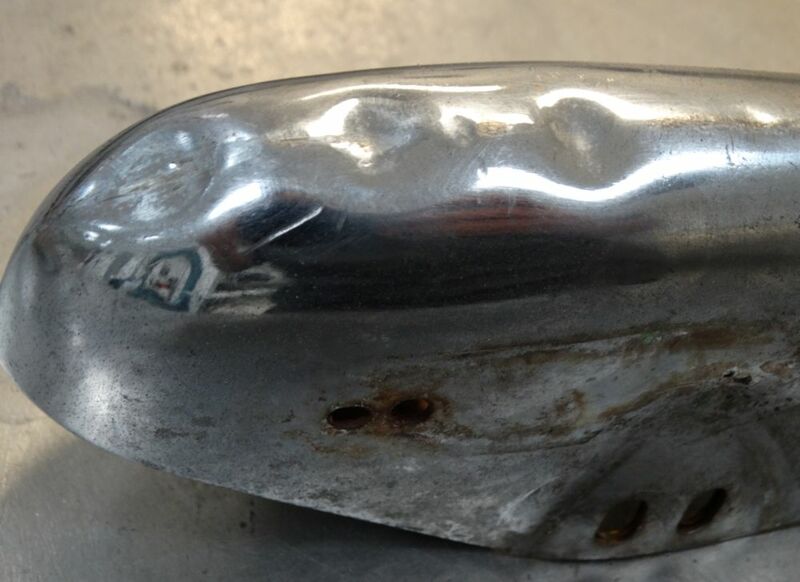 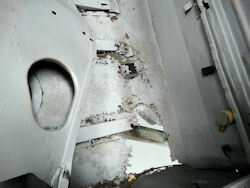 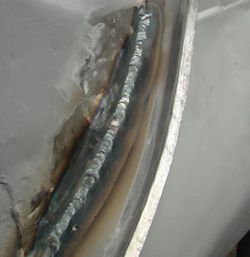 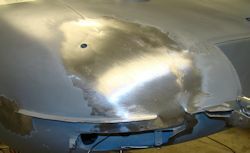 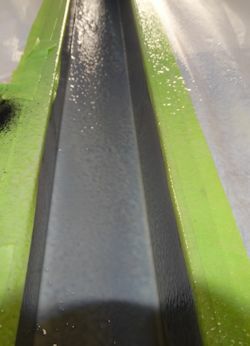 The bumper overriders are badly damaged, and the bumper blades themselves are severely corroded. We have therefore order new replacements and the chrome trial fit will continue once they arrive from England. 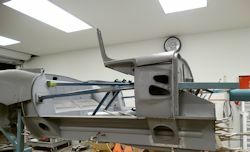 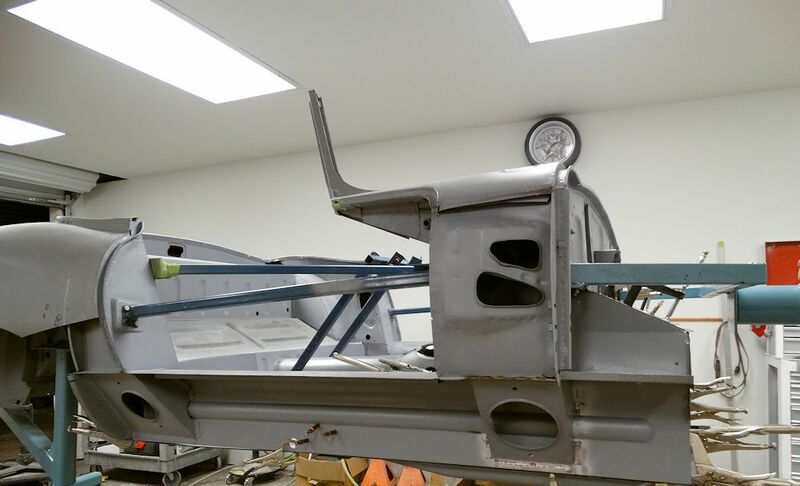 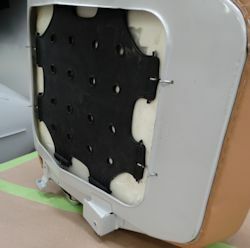 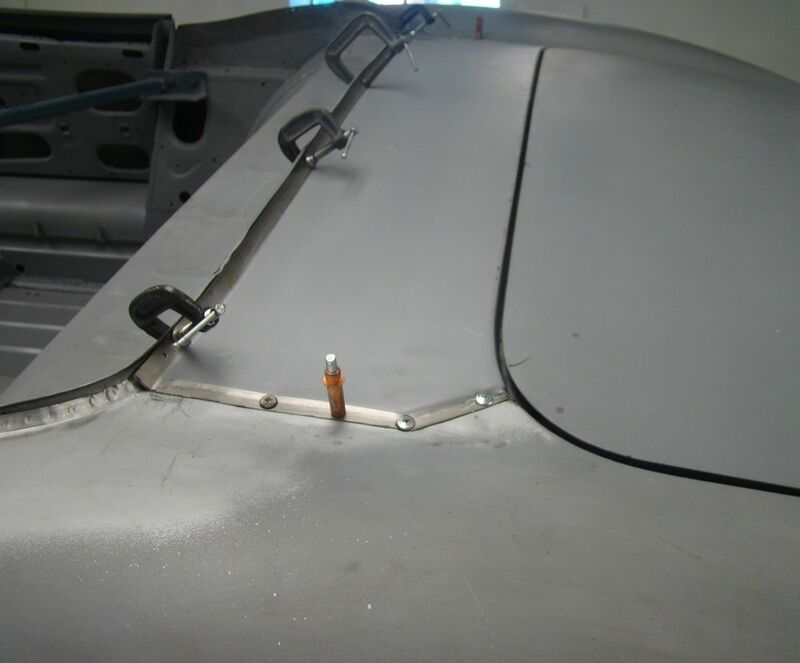 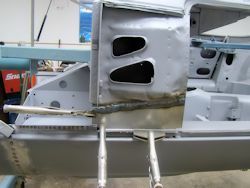 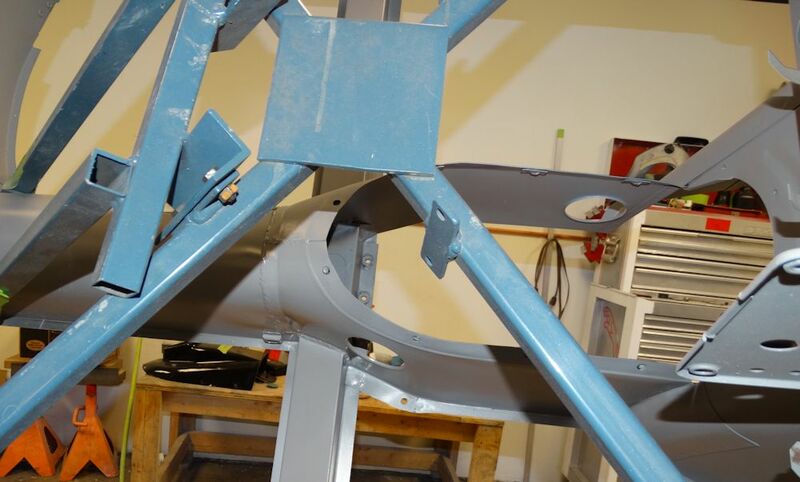 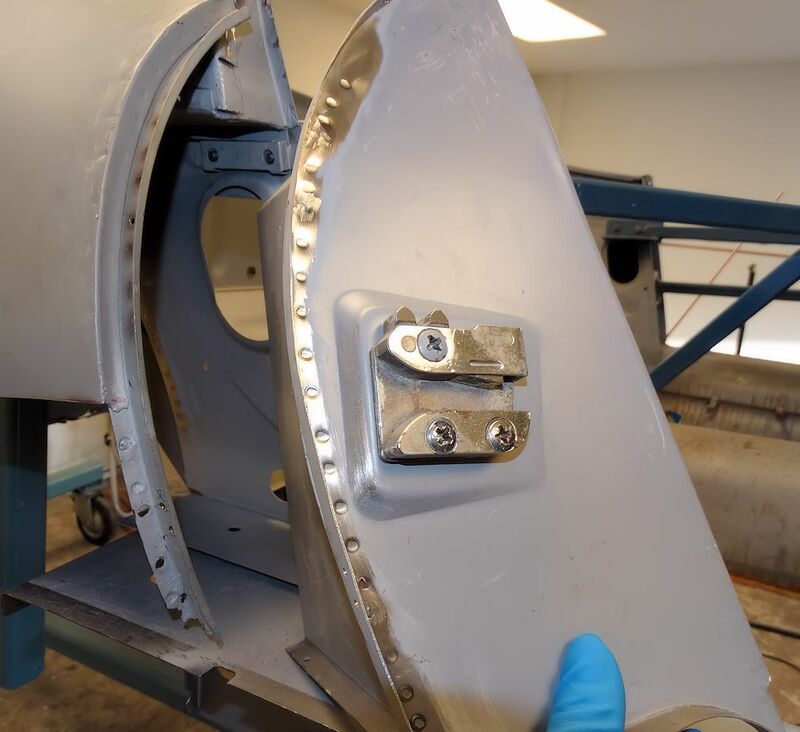 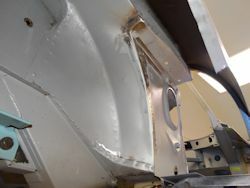 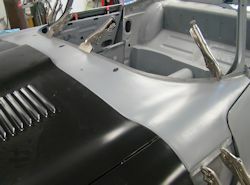 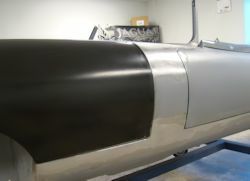 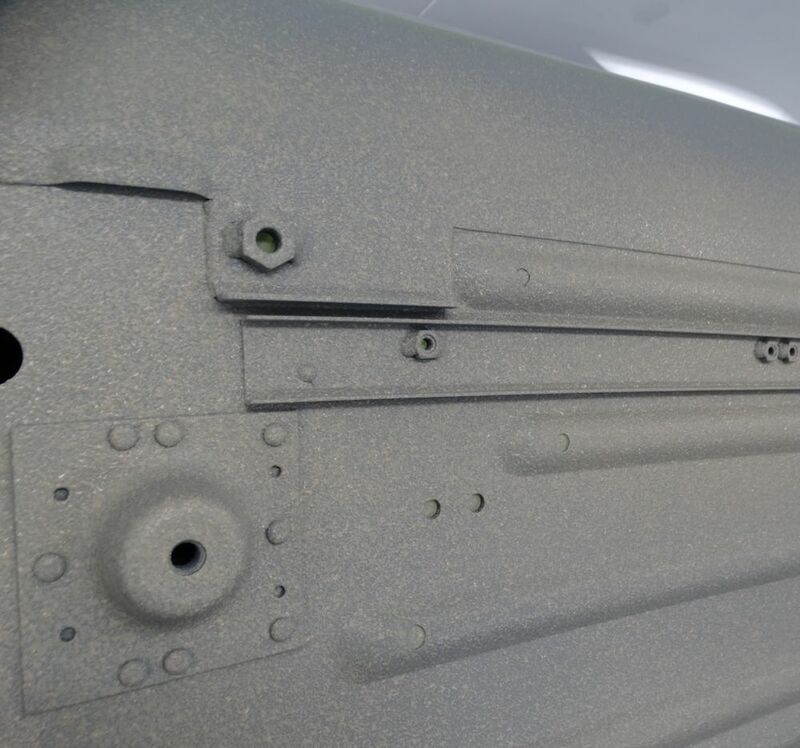 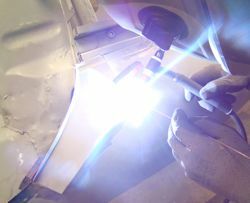 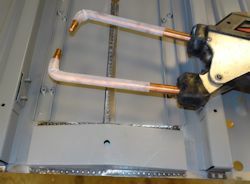 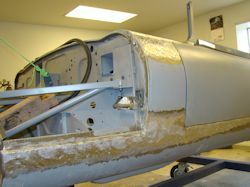 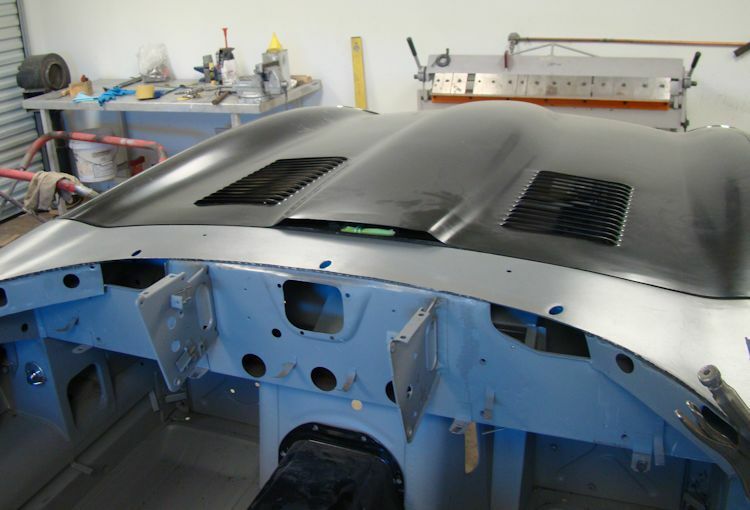 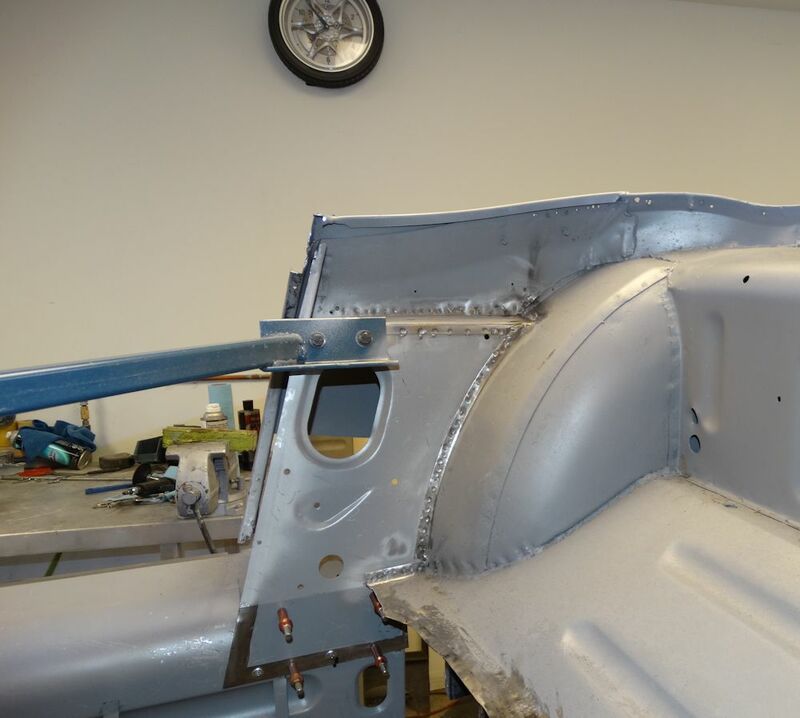 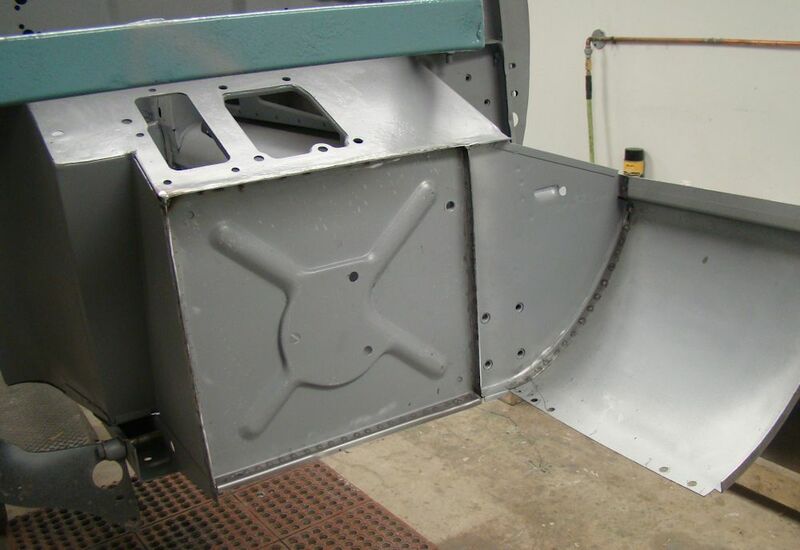 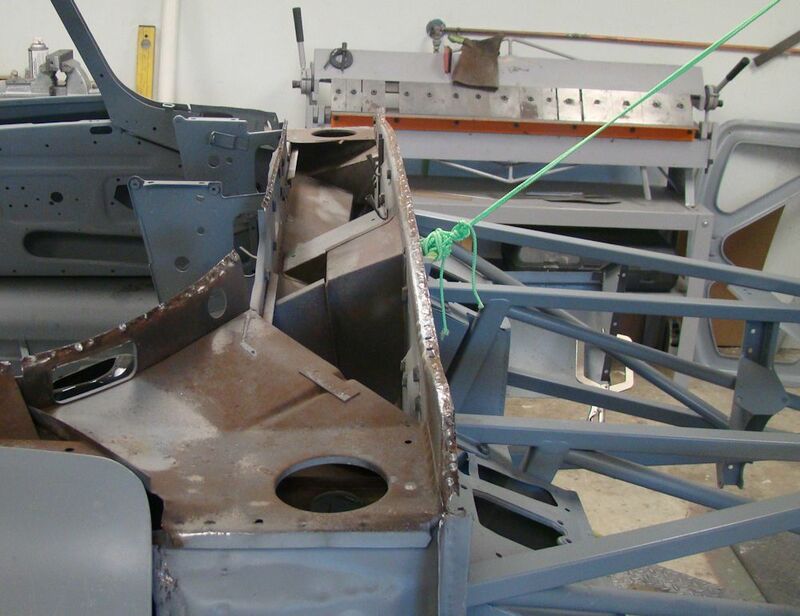 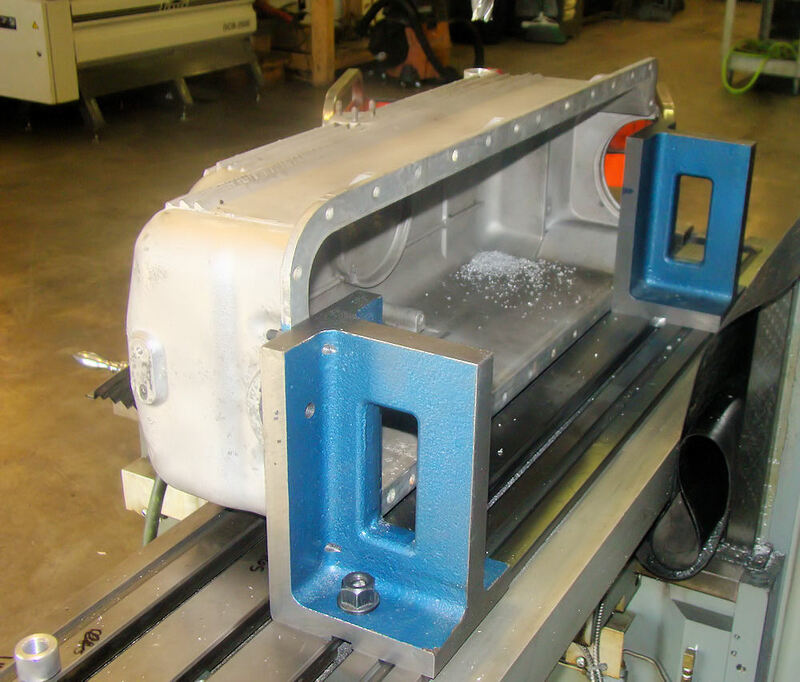 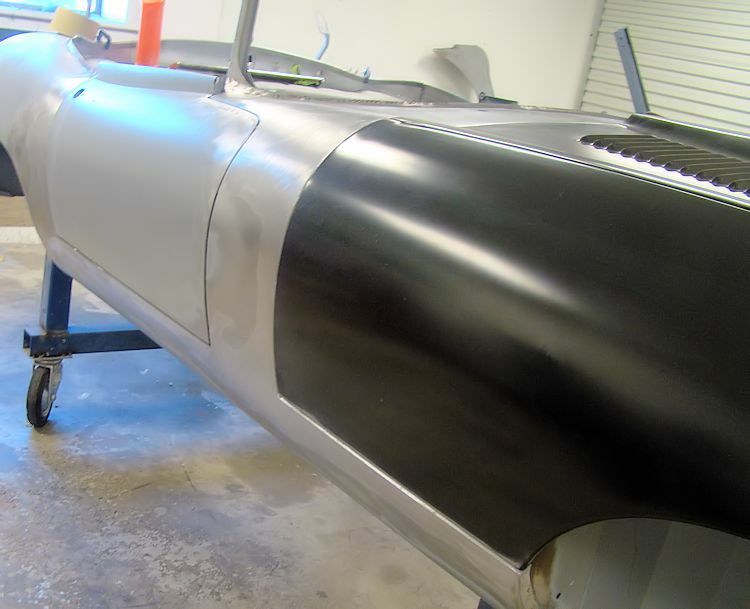 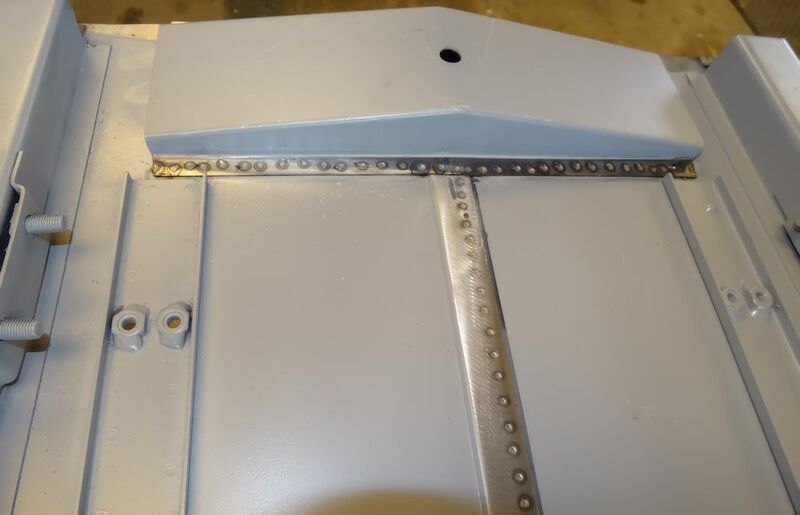 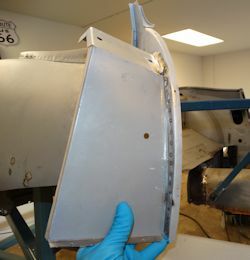 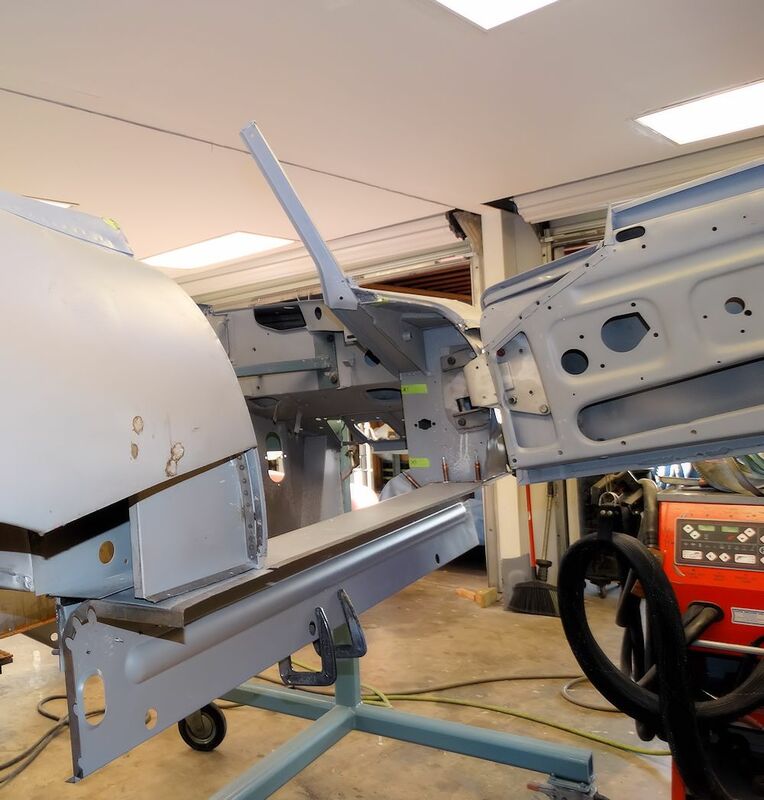 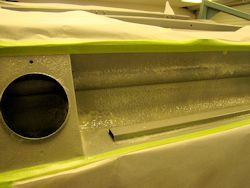 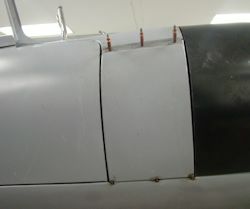 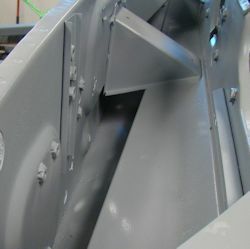 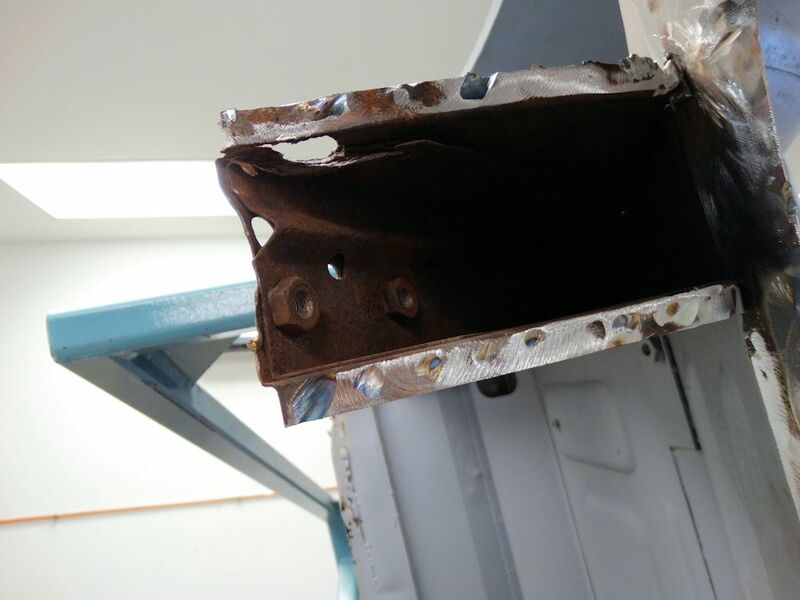 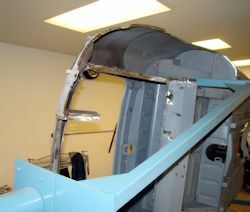 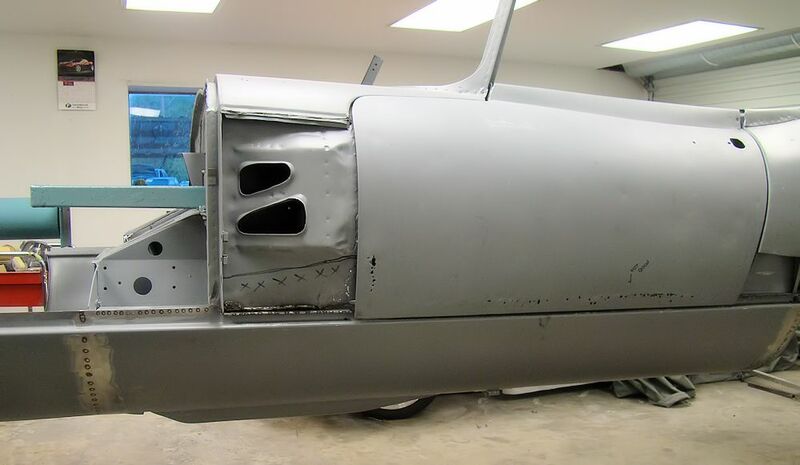 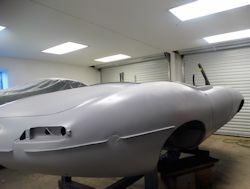 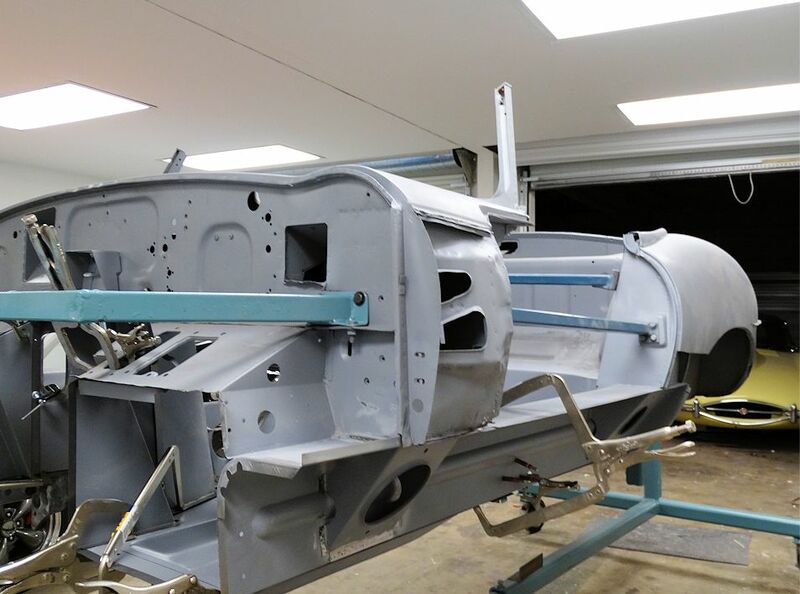 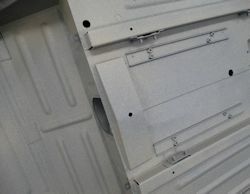 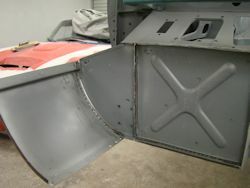 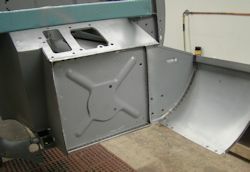 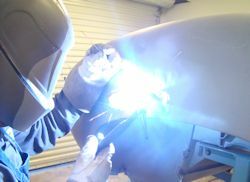 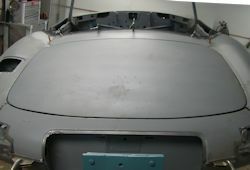 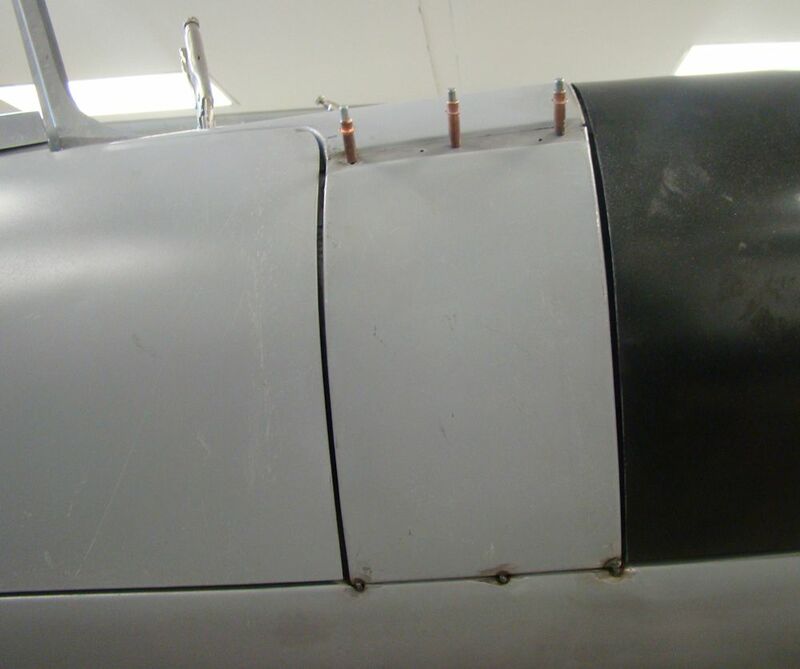 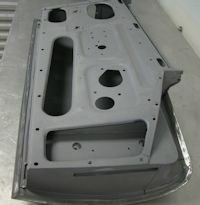 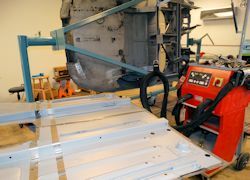 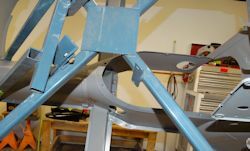 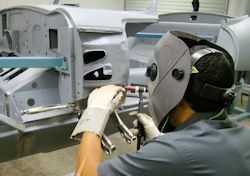 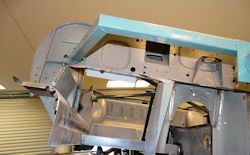 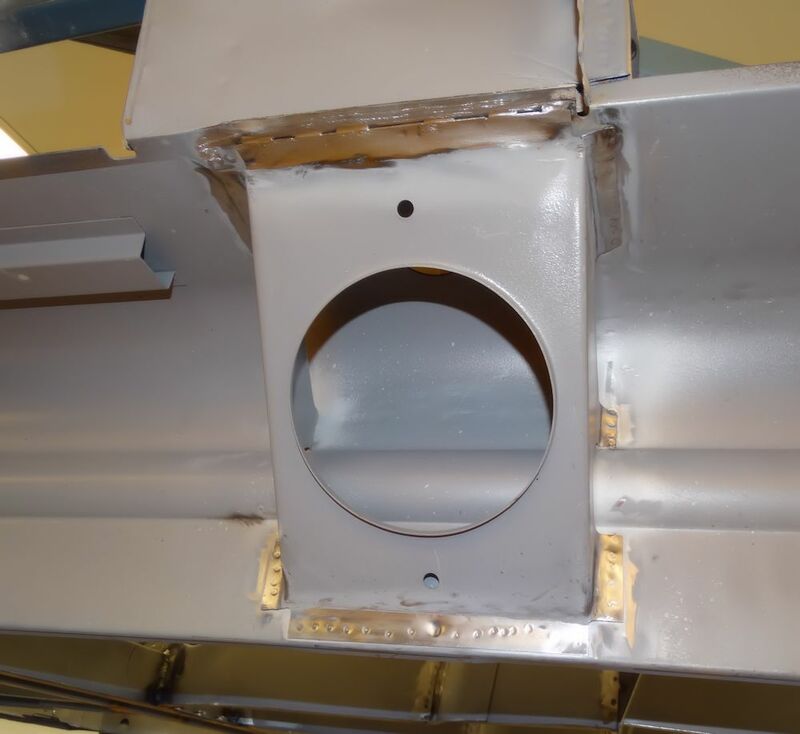 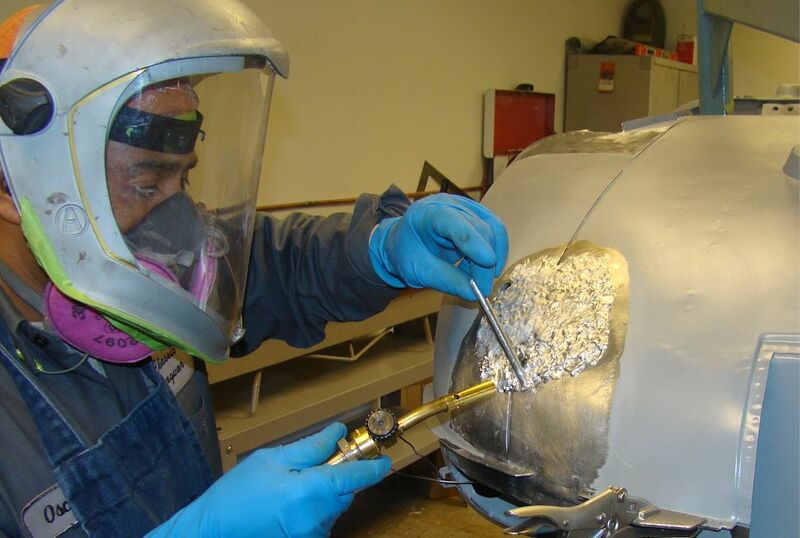 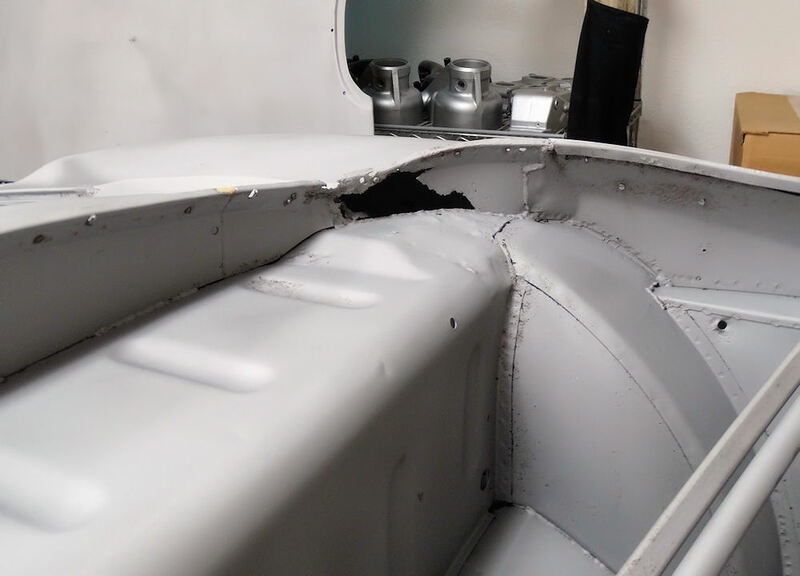 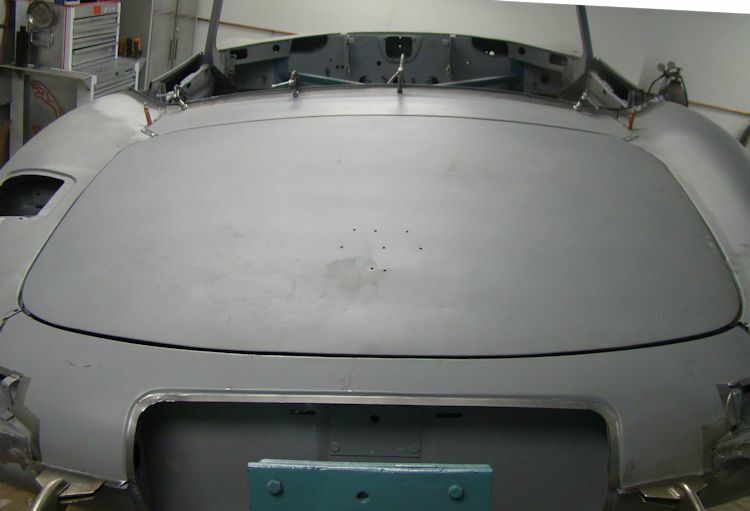 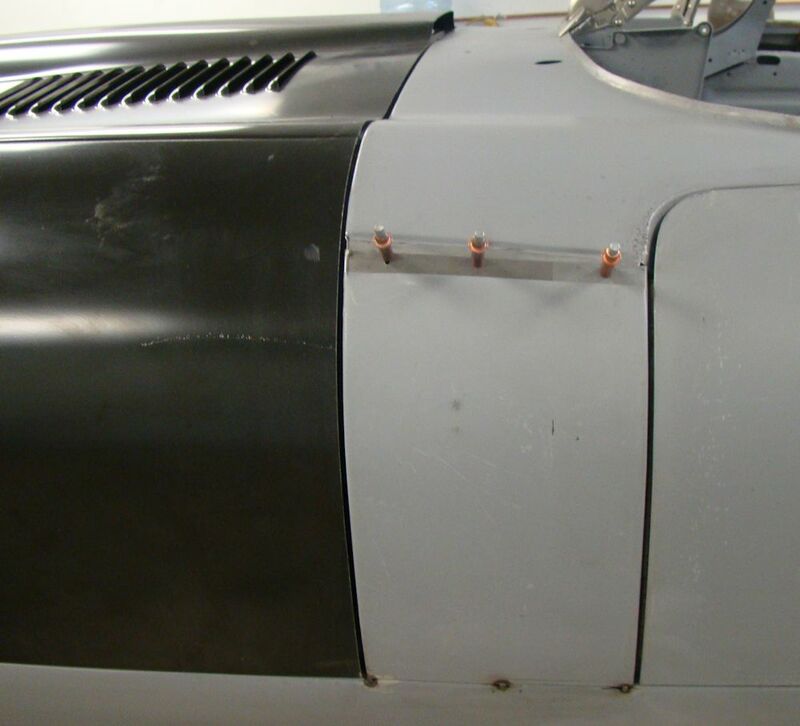 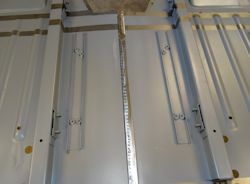 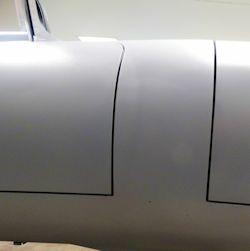 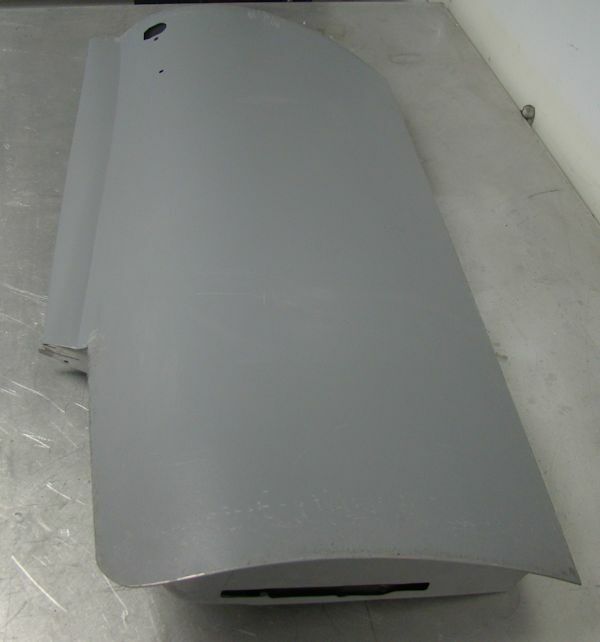 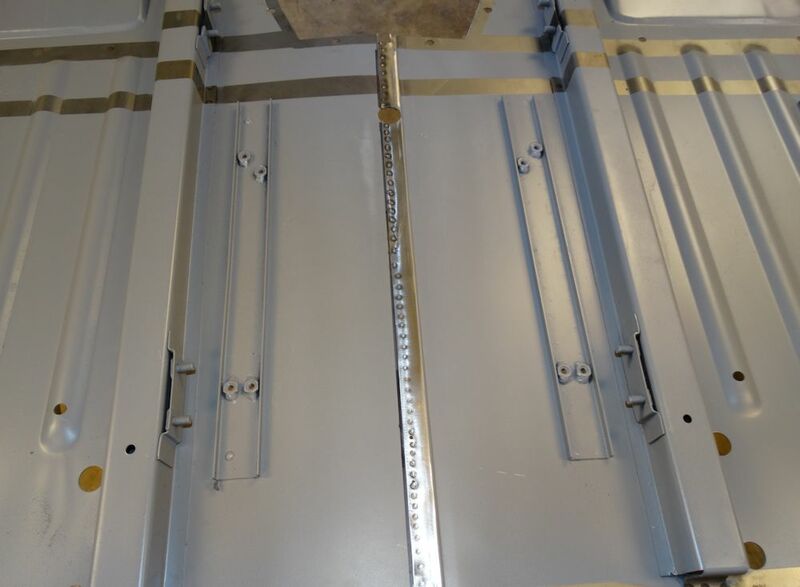 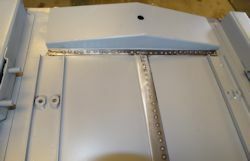 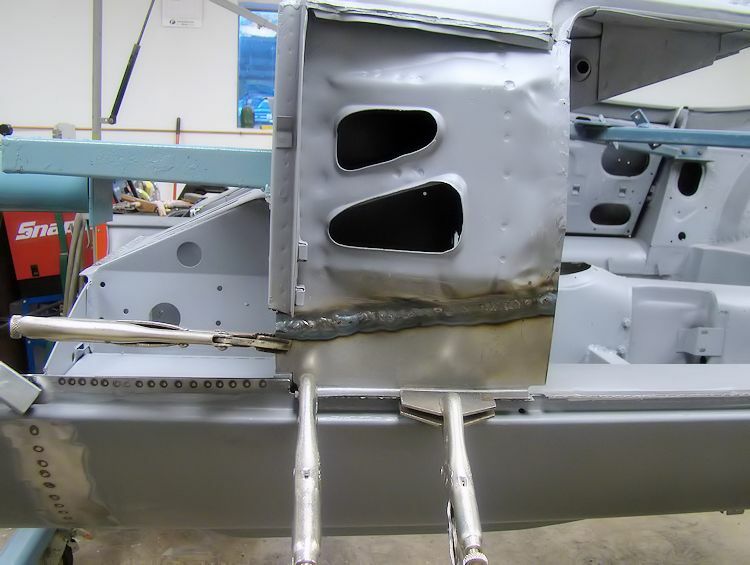 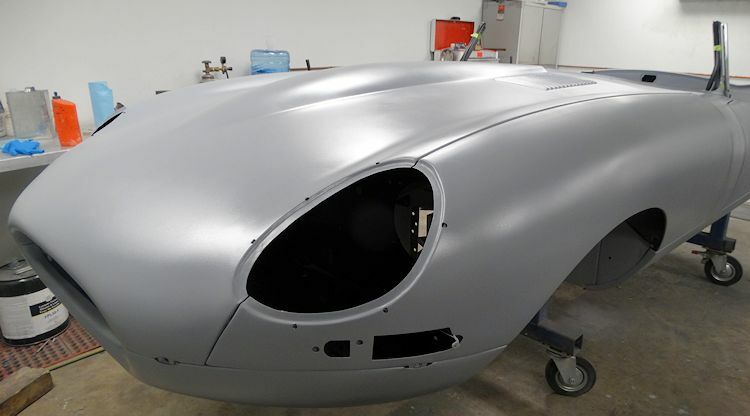 We have now welded the front and side cowl panels in place and begun the lead loading process. We can finally declare this car rust free! 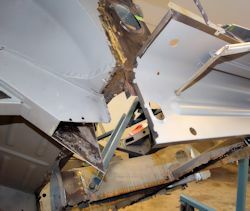 Oscar has been making great progress replacing your trans tunnel and main floors..
to see what Oscar will be tackling next! 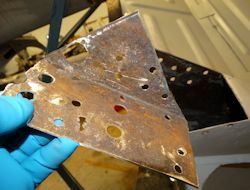 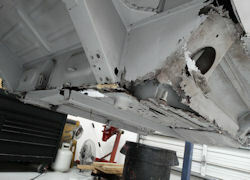 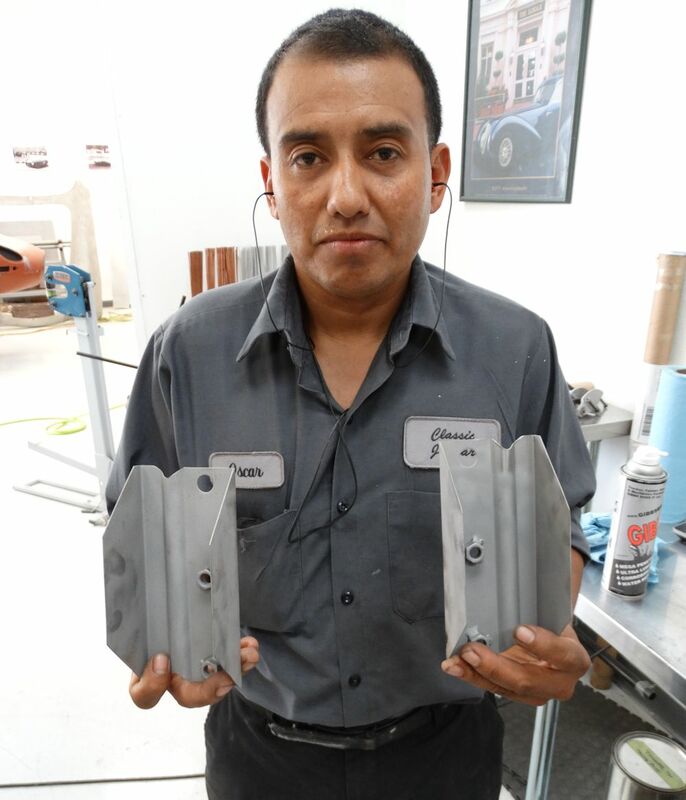 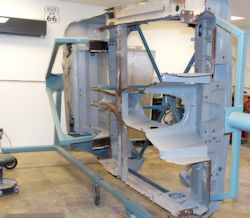 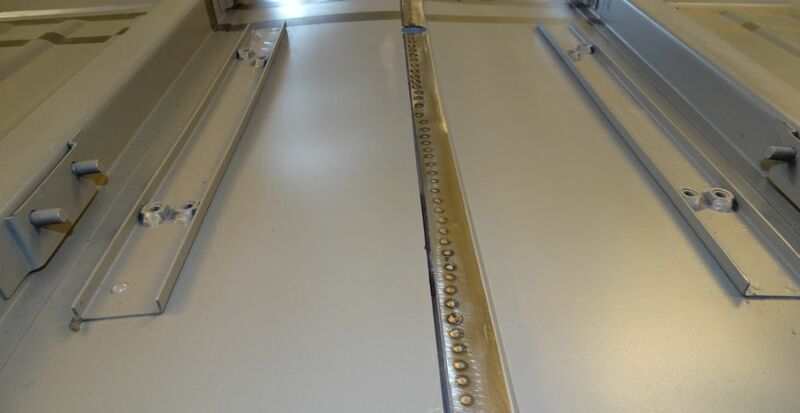 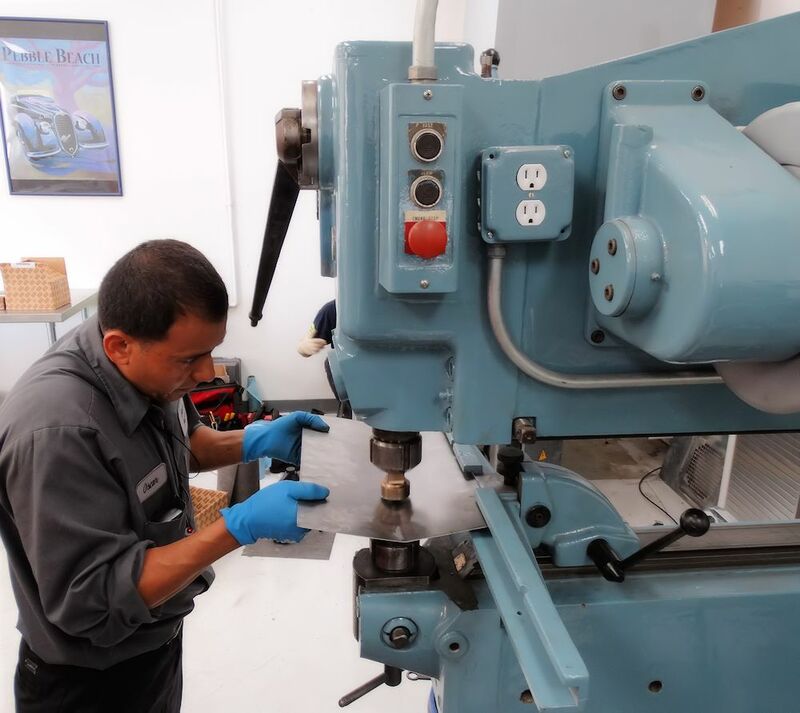 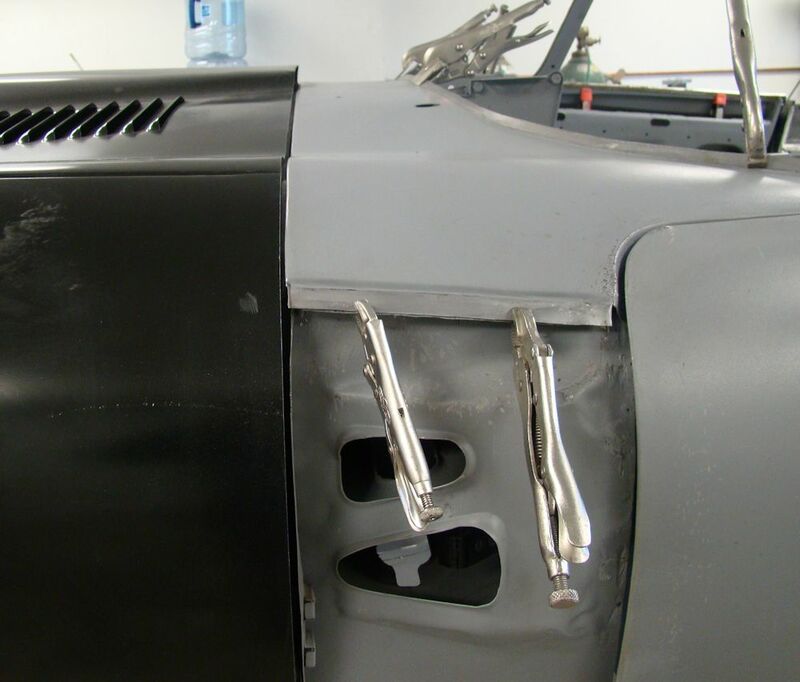 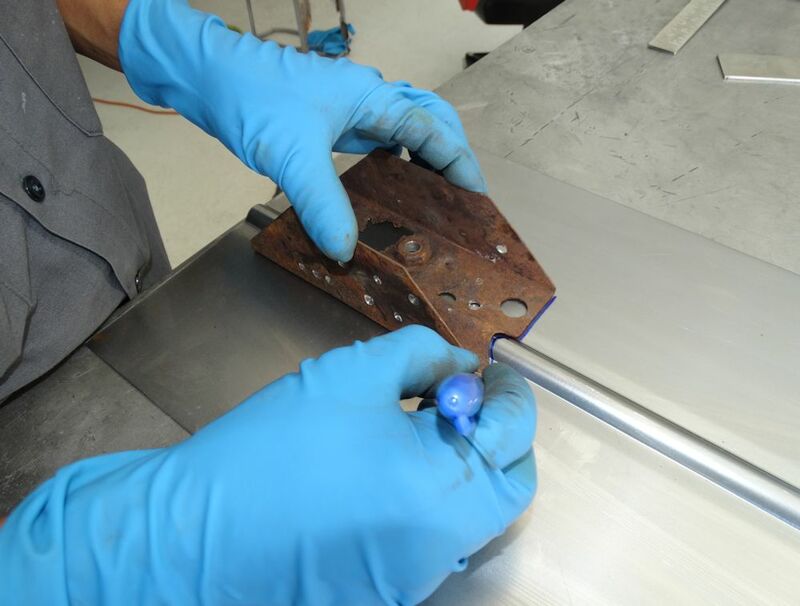 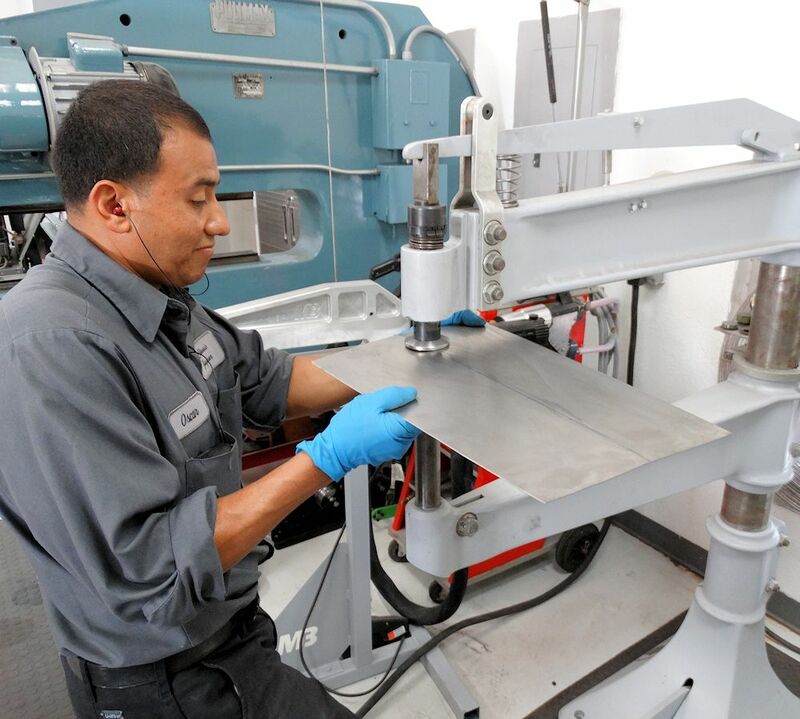 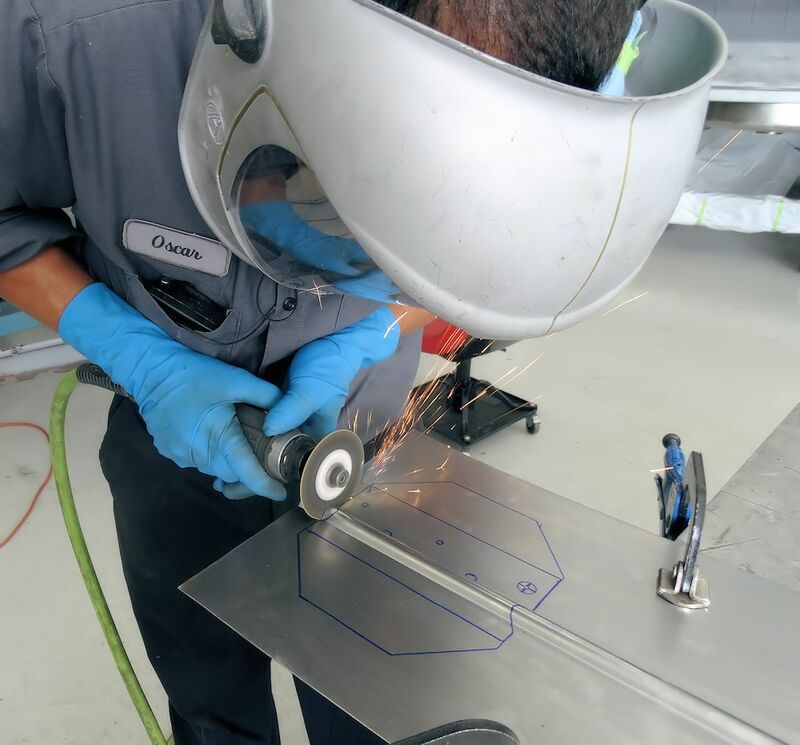 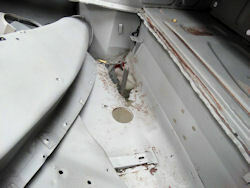 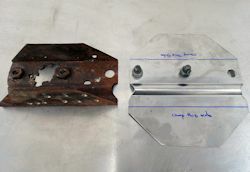 Oscar has been making excellent progress with the sheet metal replacement. 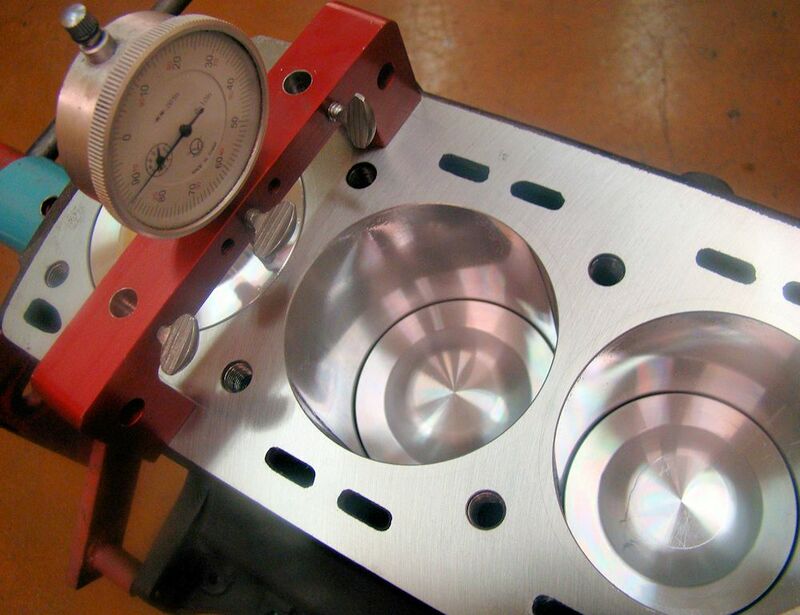 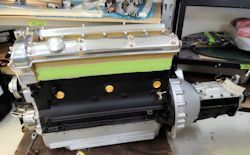 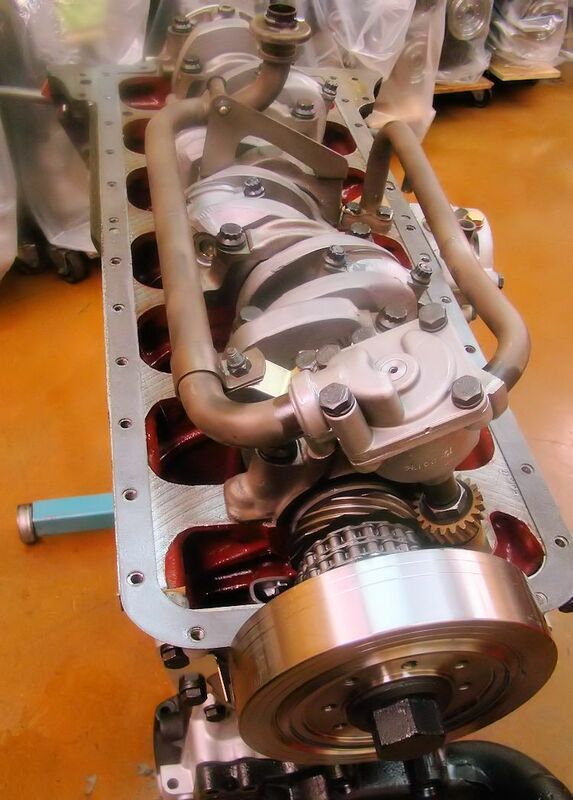 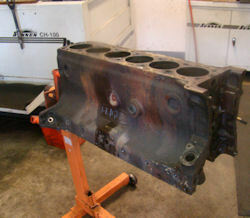 Your Stage One engine rebuild has now been completed.. 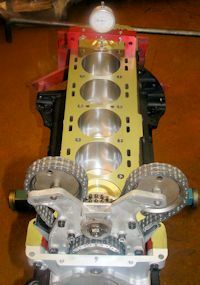 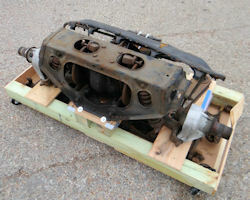 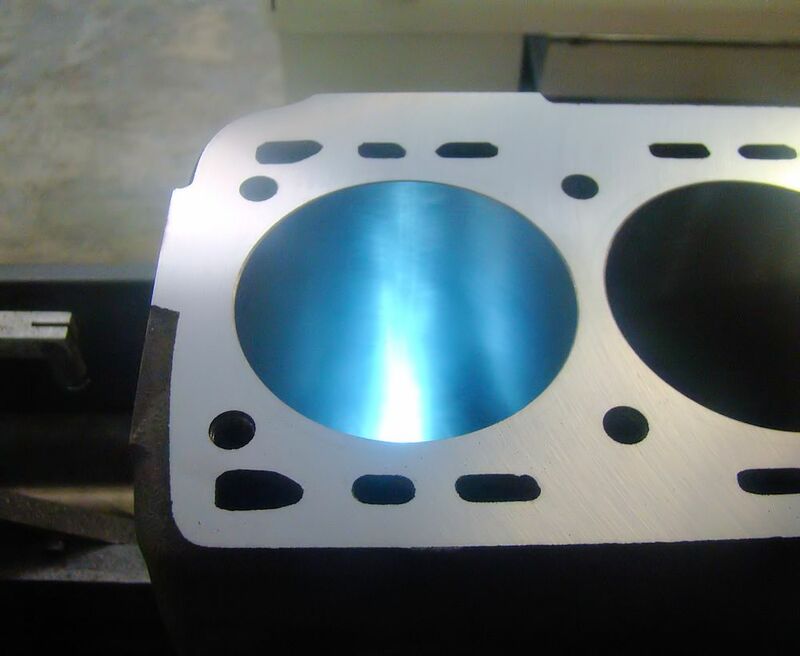 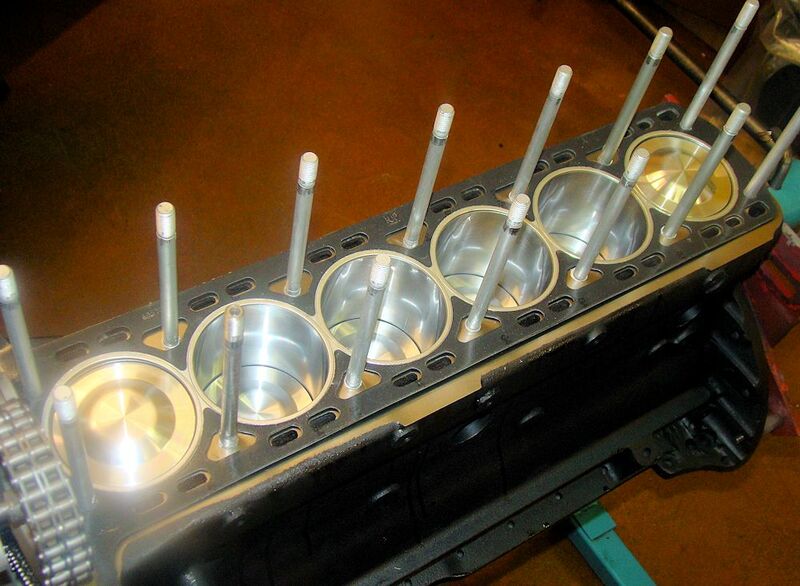 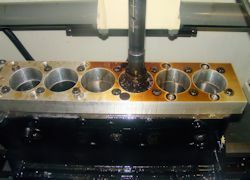 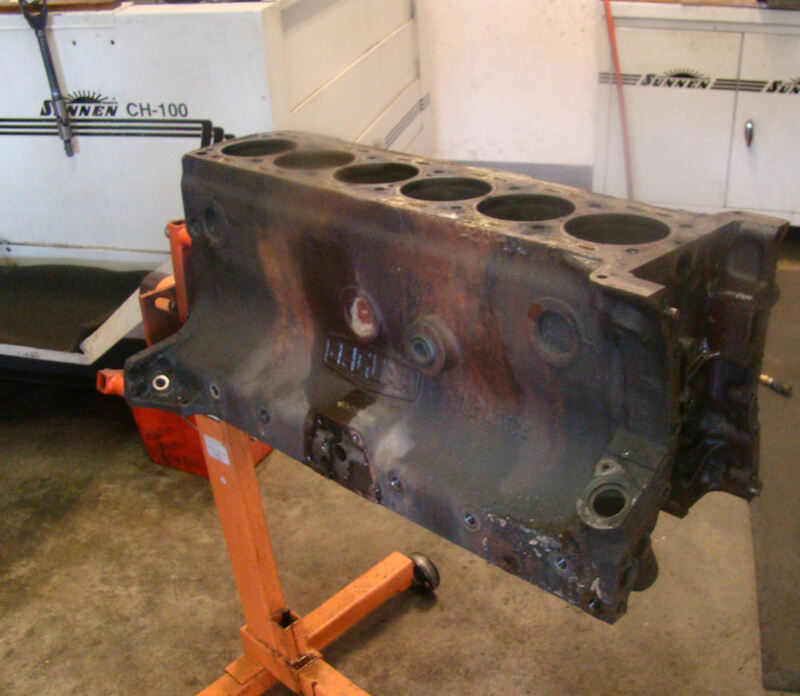 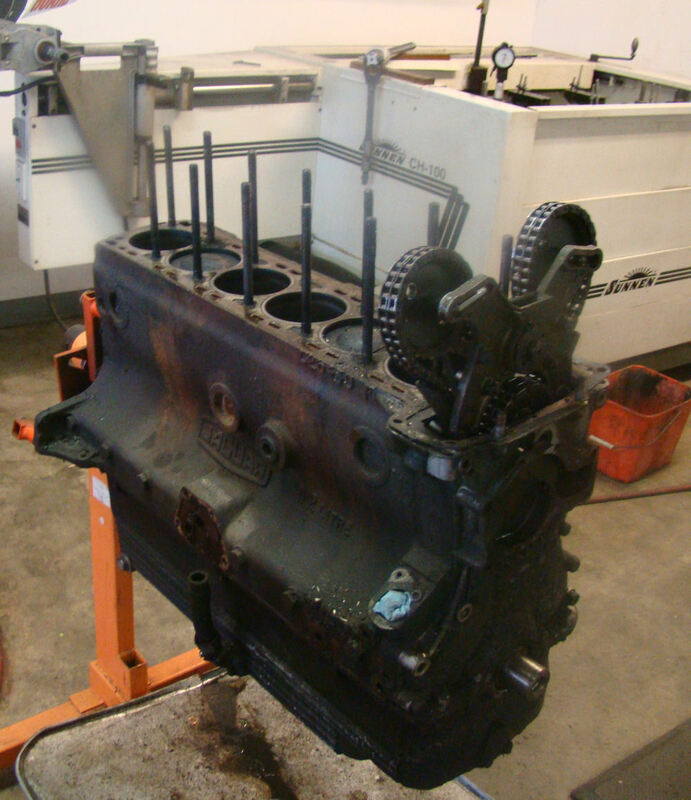 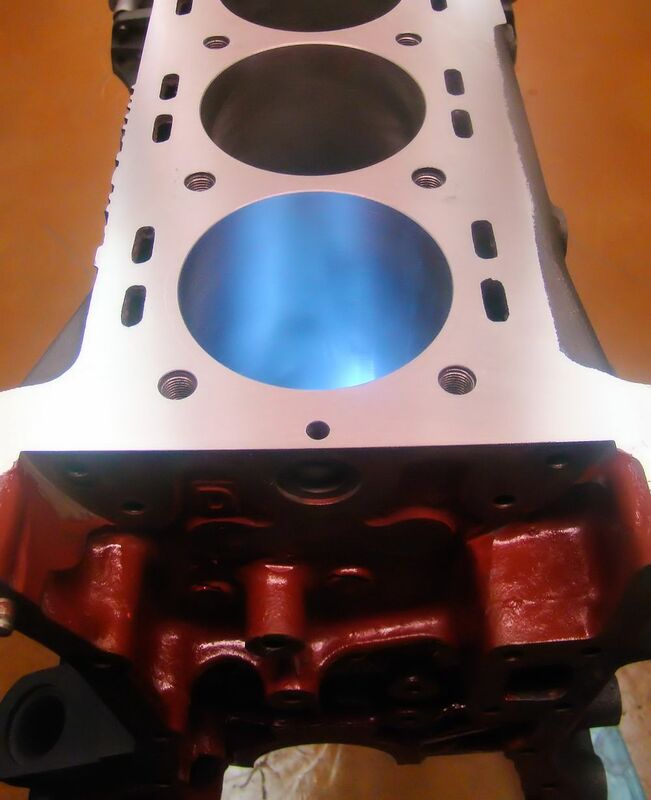 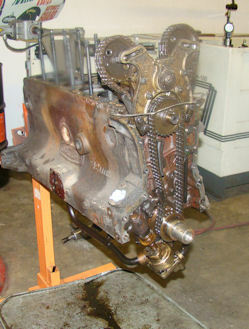 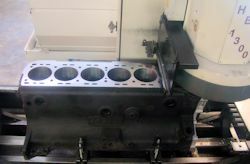 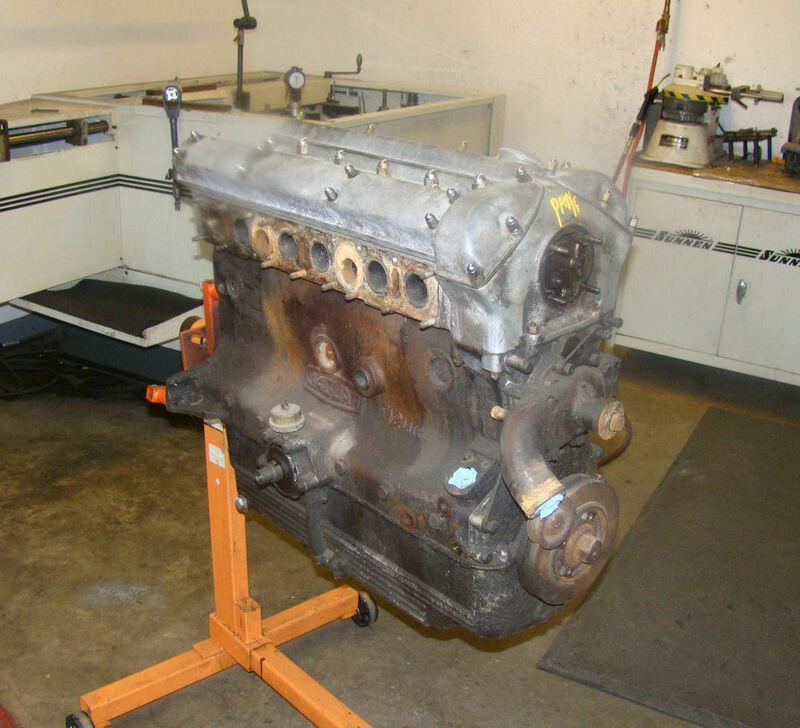 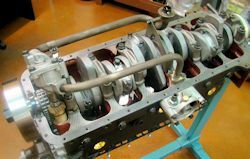 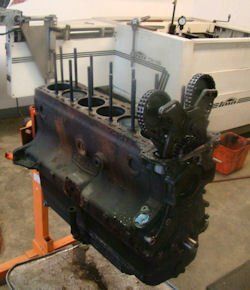 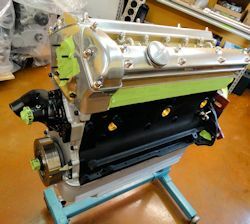 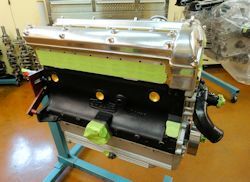 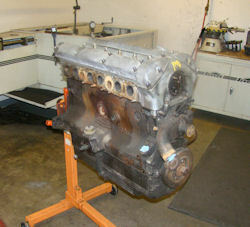 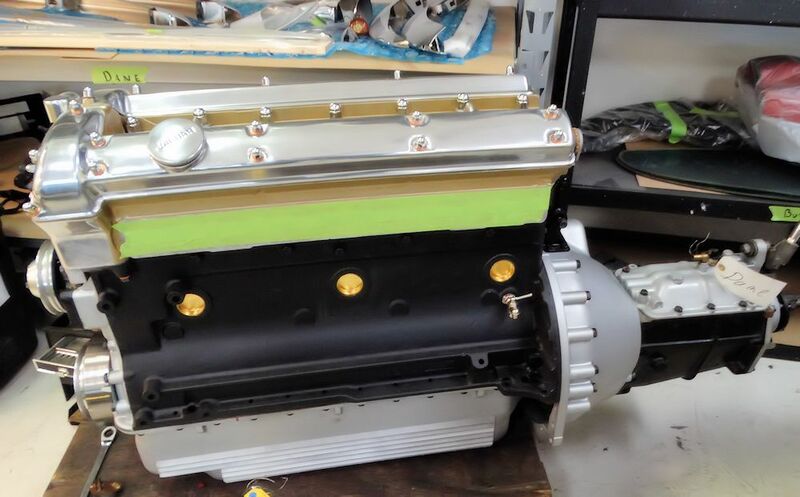 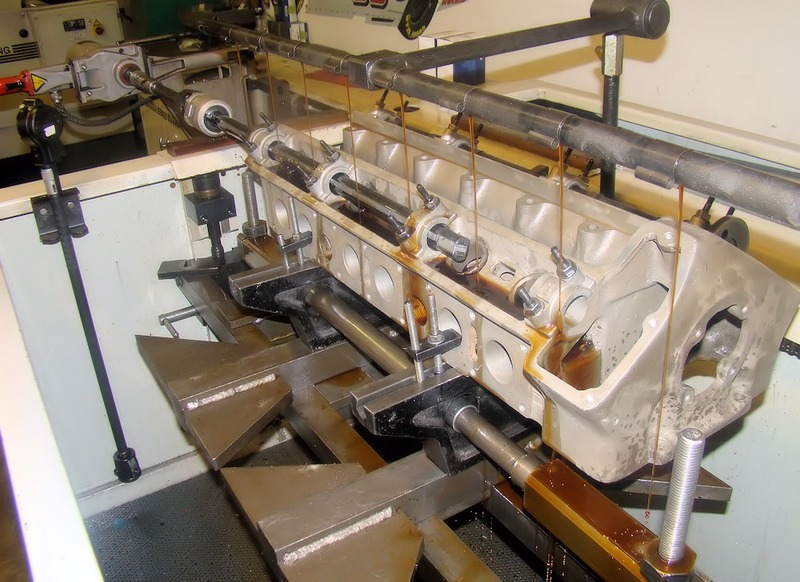 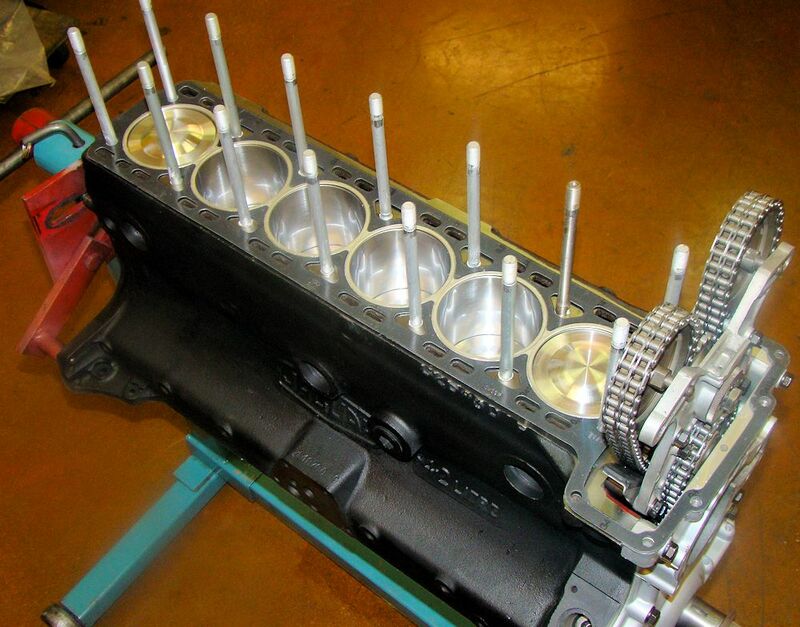 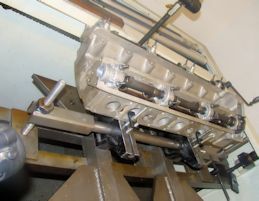 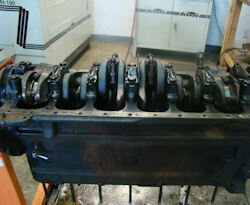 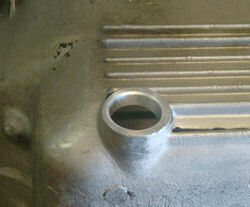 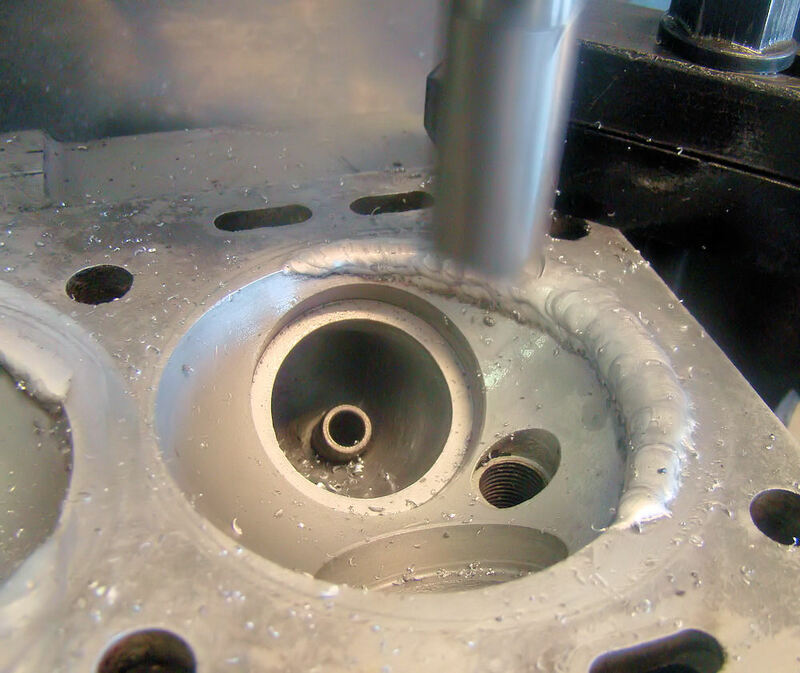 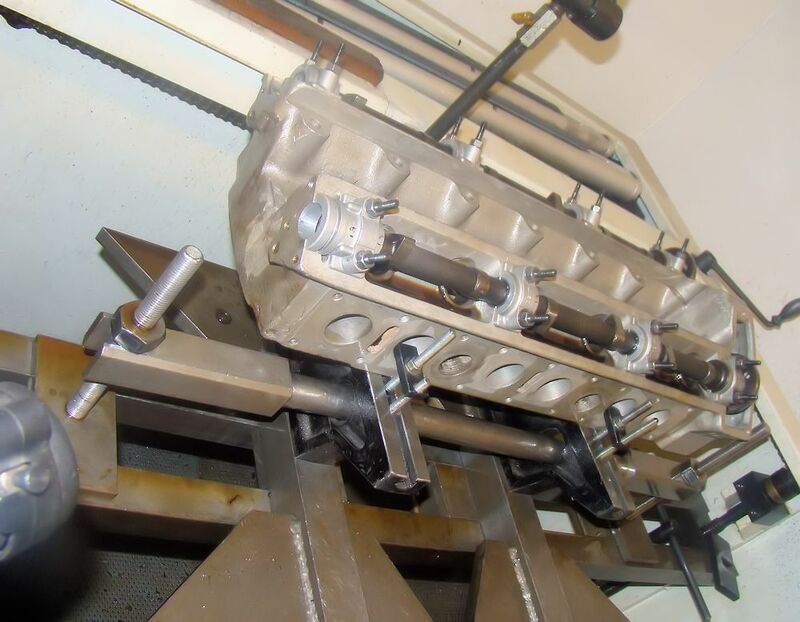 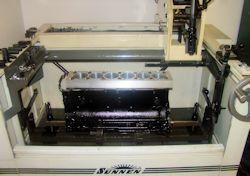 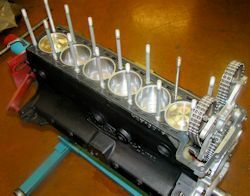 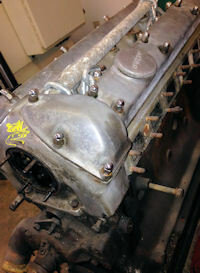 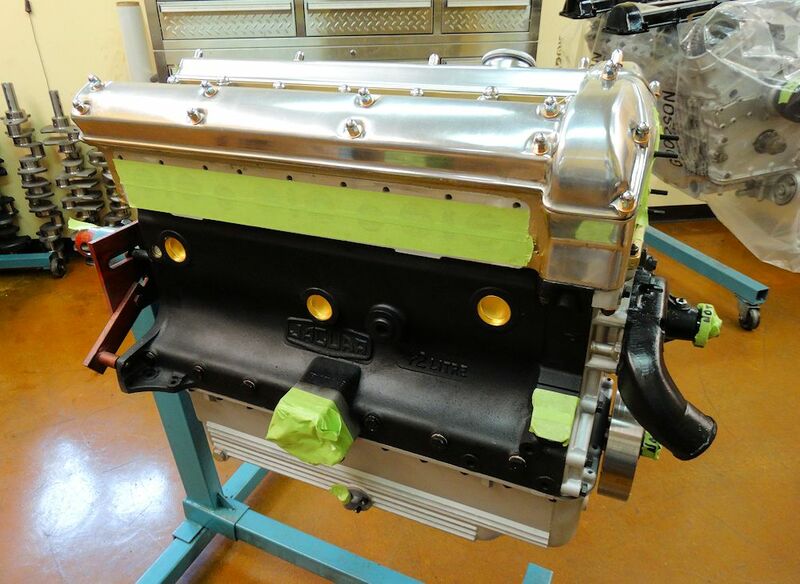 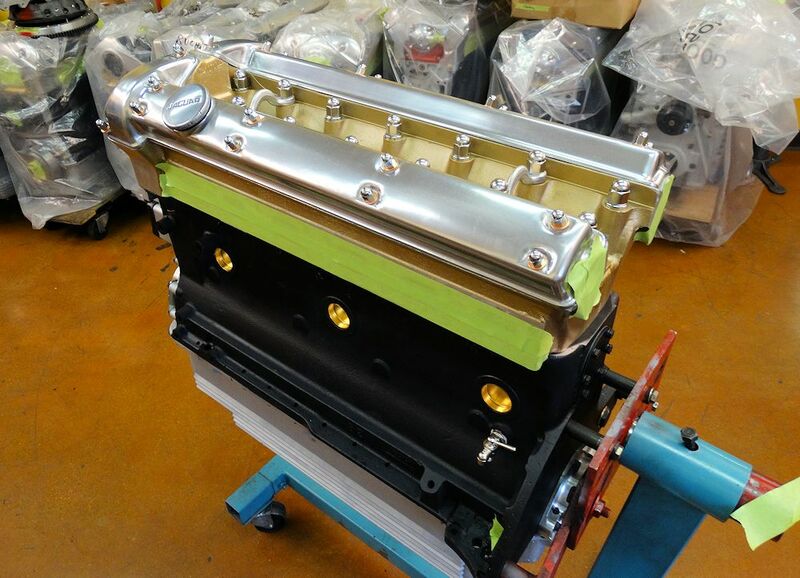 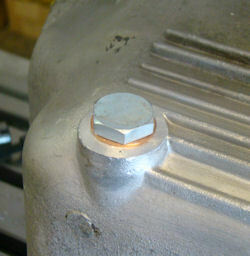 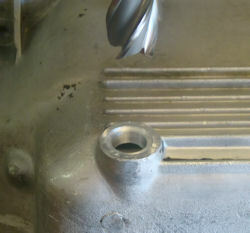 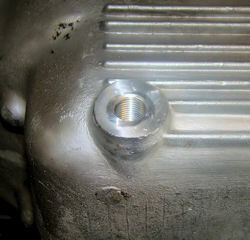 Stage One short block rebuild now completed..
Lots of progress in the CJ engine machine shop this week.. 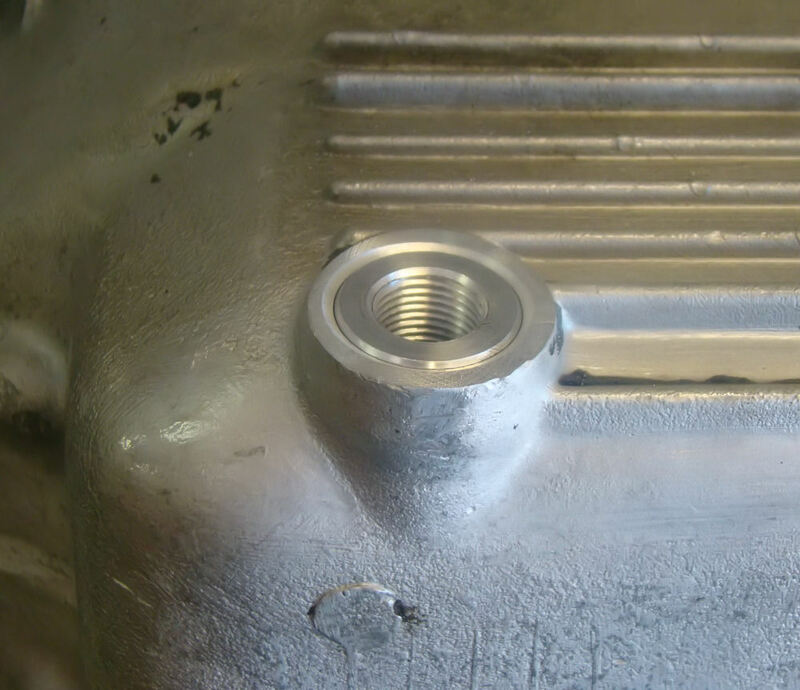 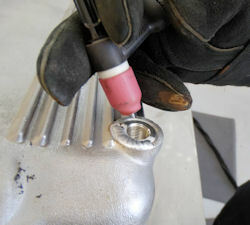 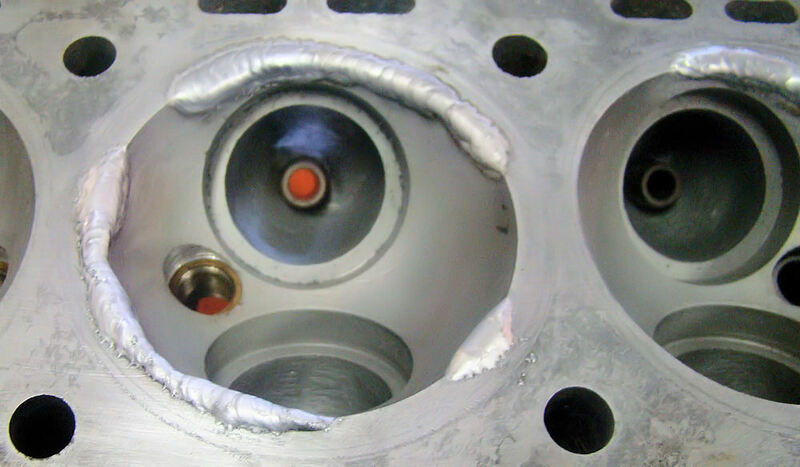 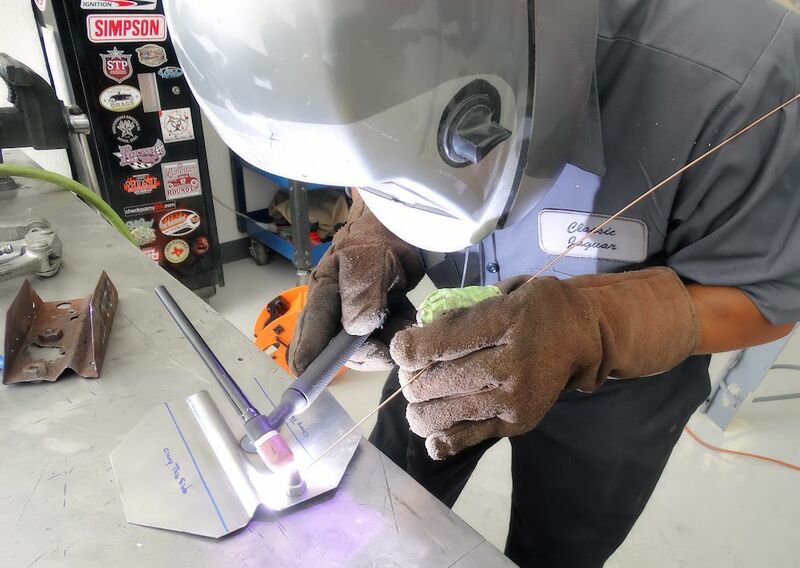 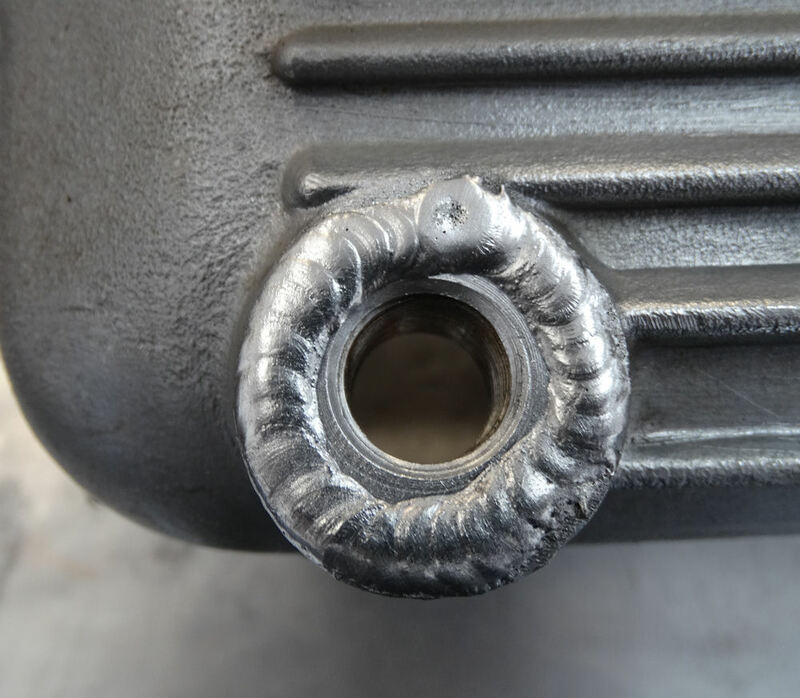 The following sequence of photos shows step by step how we repair damaged oil pan plug threads, as well as welding up damage in two combustion chambers in the cylinder head. 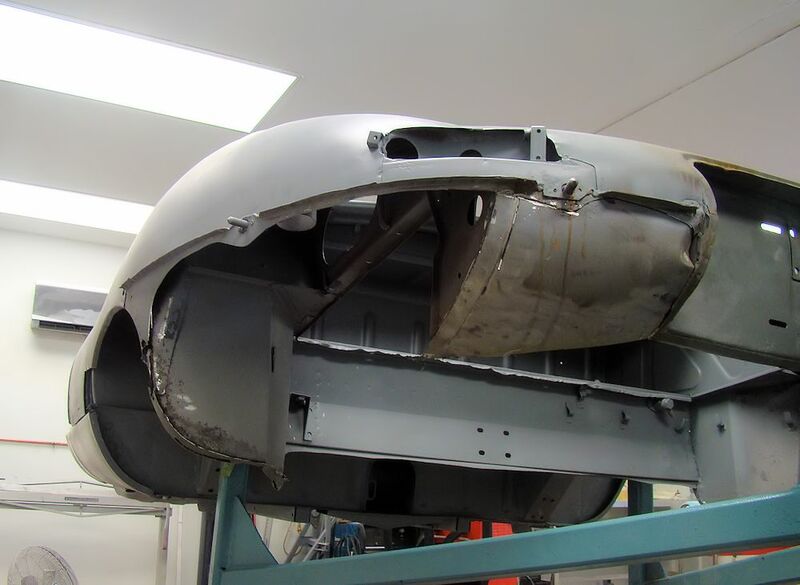 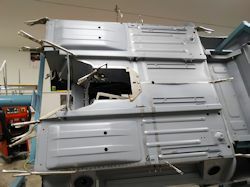 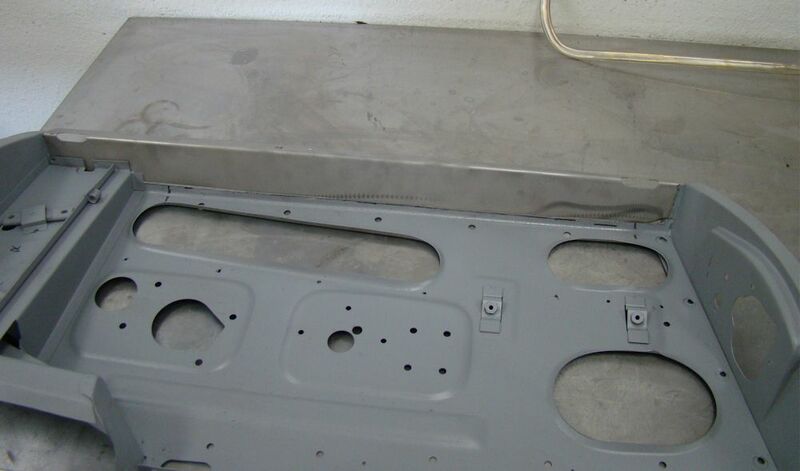 Your car has now returned from being blasted back to bare metal, and as you can see from the photos below, it is in rough shape. 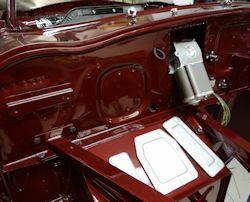 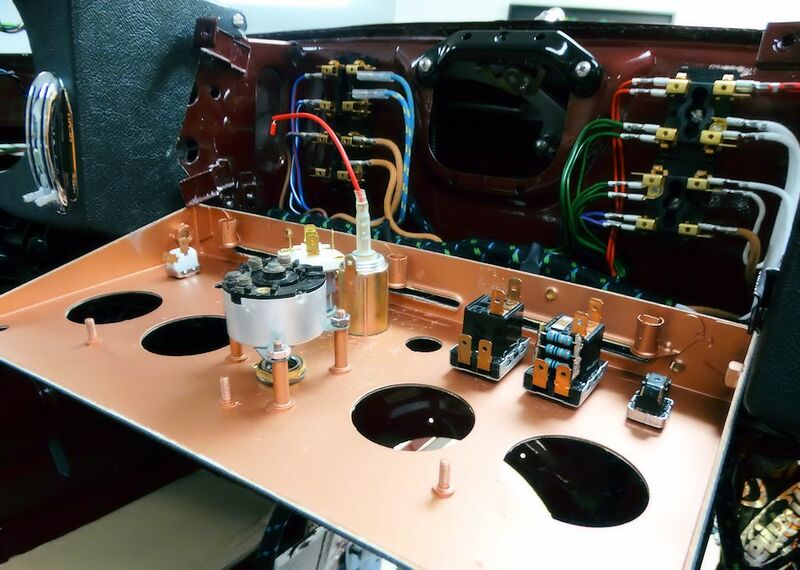 Nothing the guys in the CJ Coachworks can't handle, although the replacement panel list on this project is going to be pretty extensive! 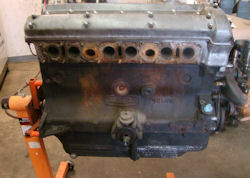 Your engine has now been completely torn down and your Stage One rebuild is underway.. 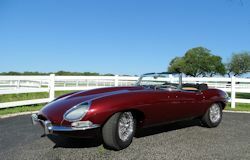 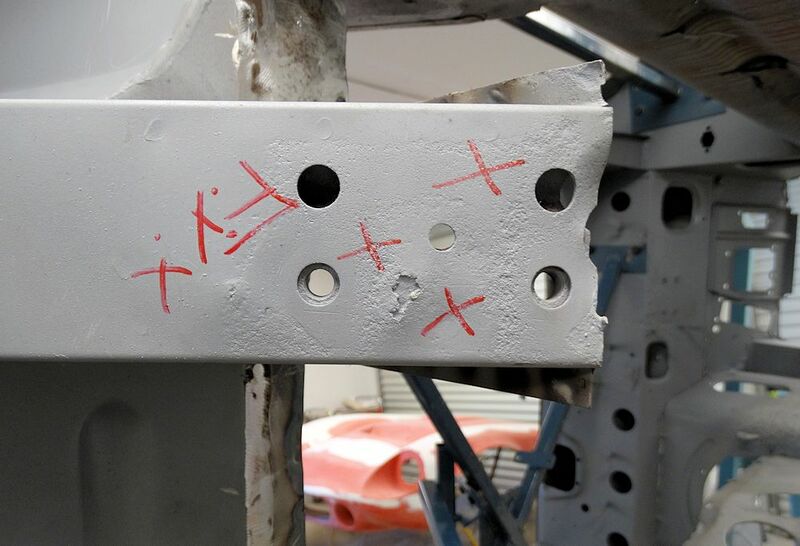 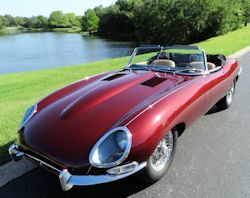 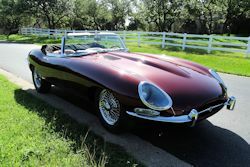 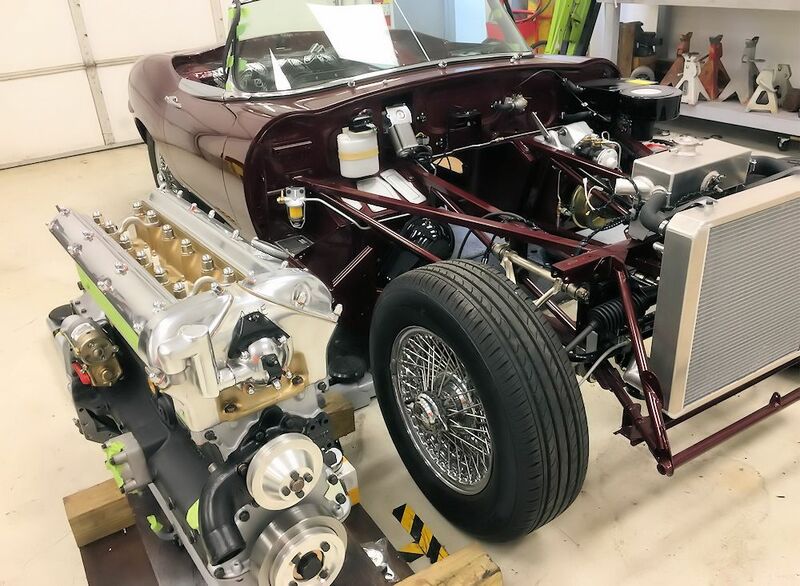 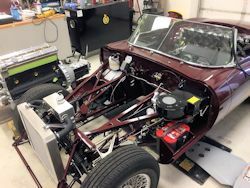 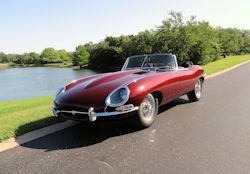 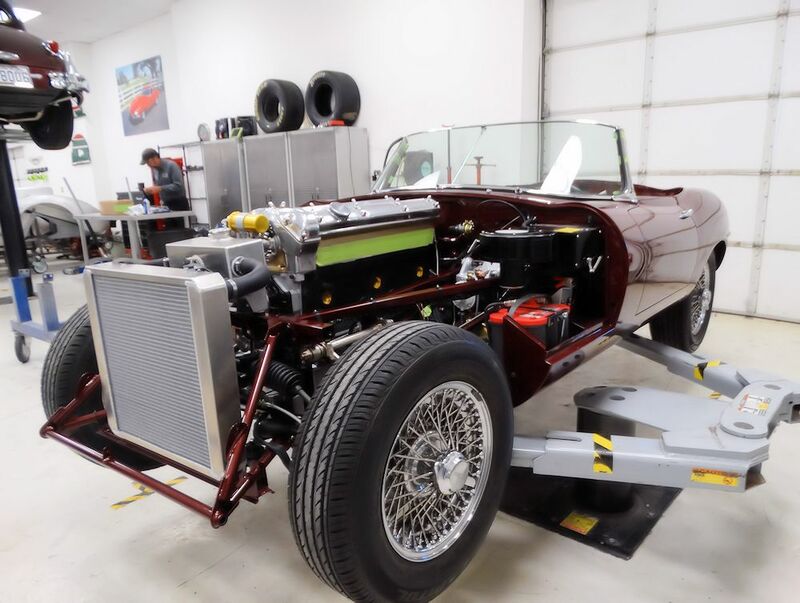 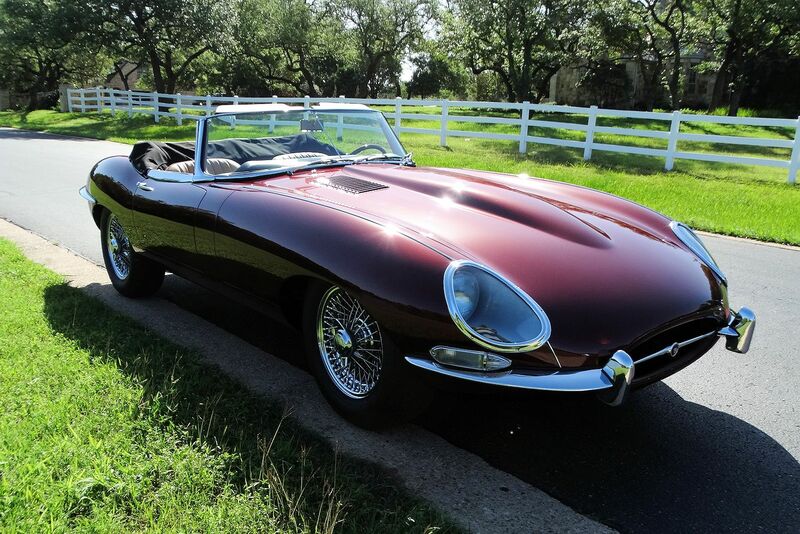 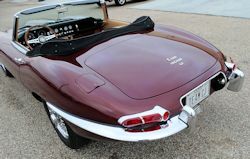 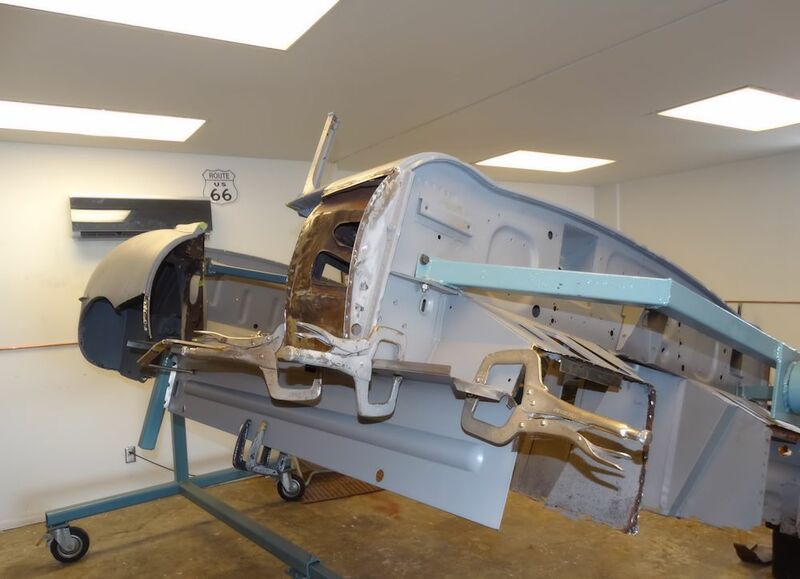 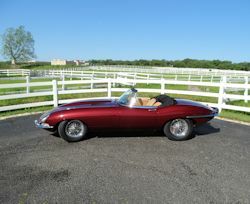 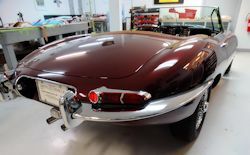 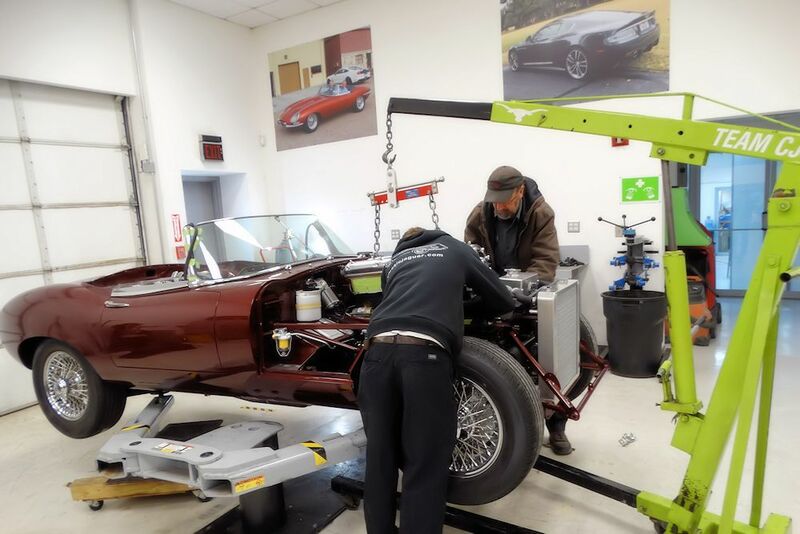 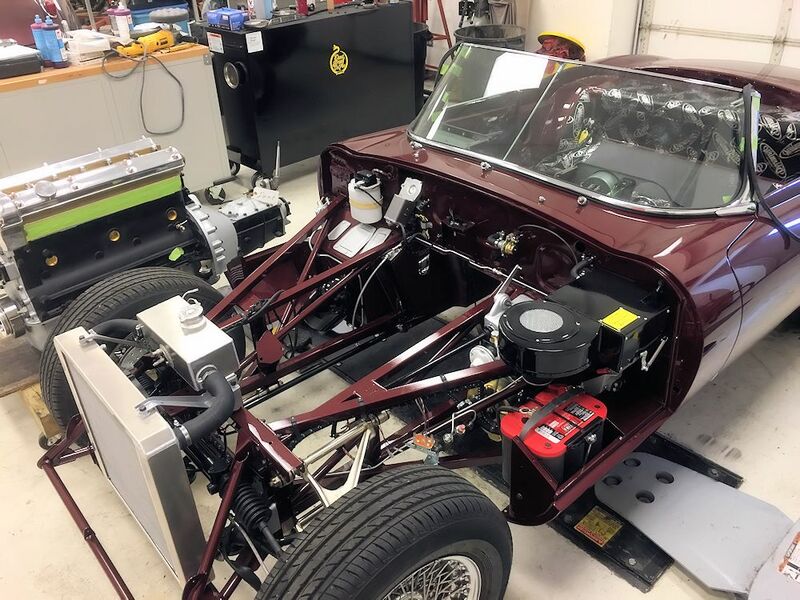 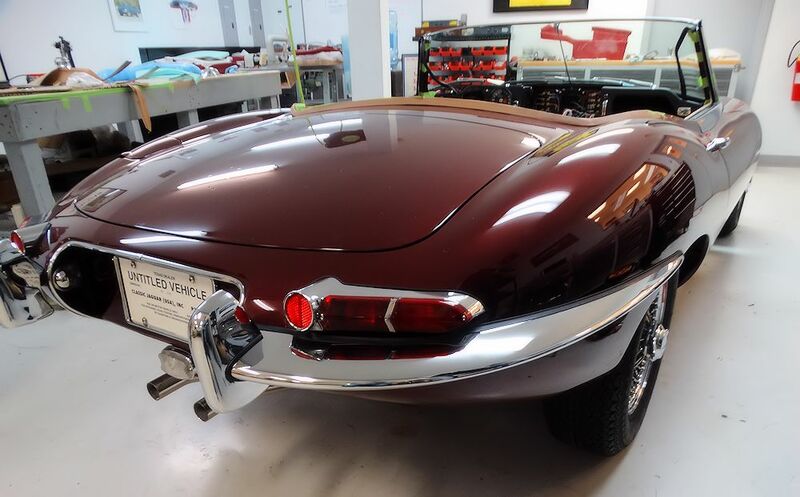 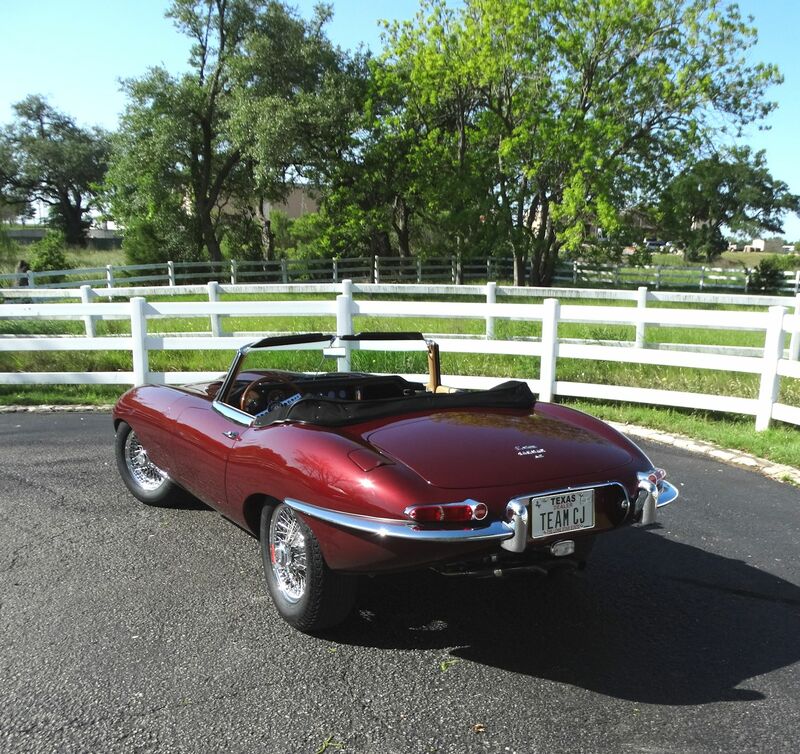 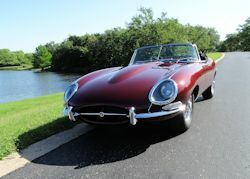 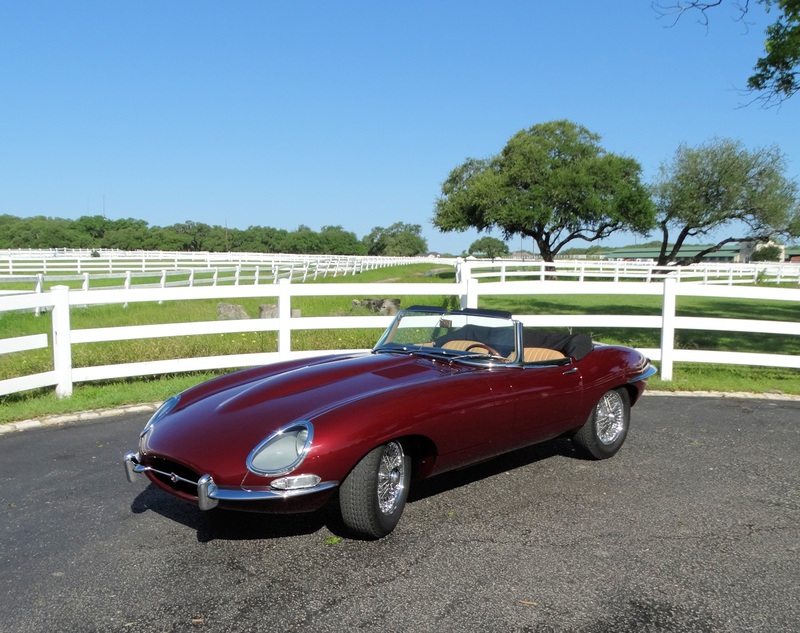 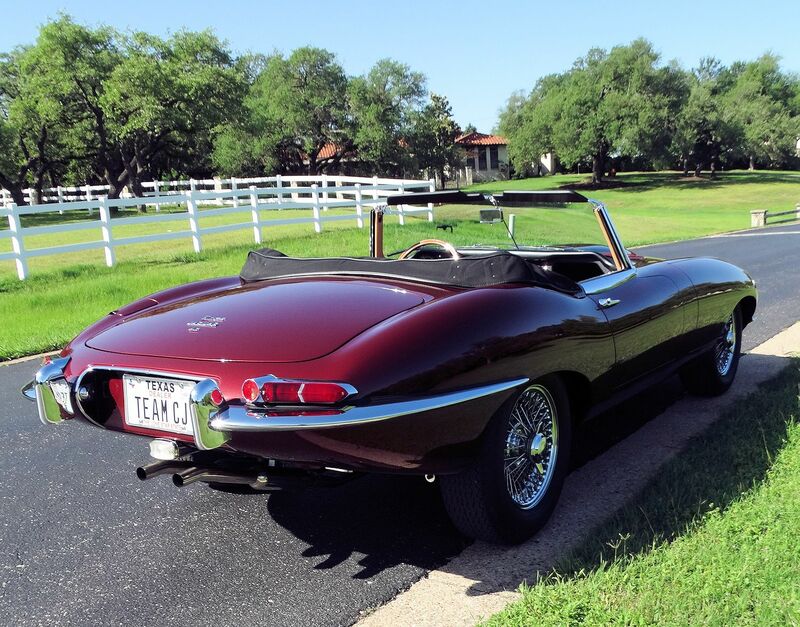 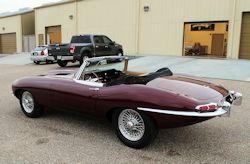 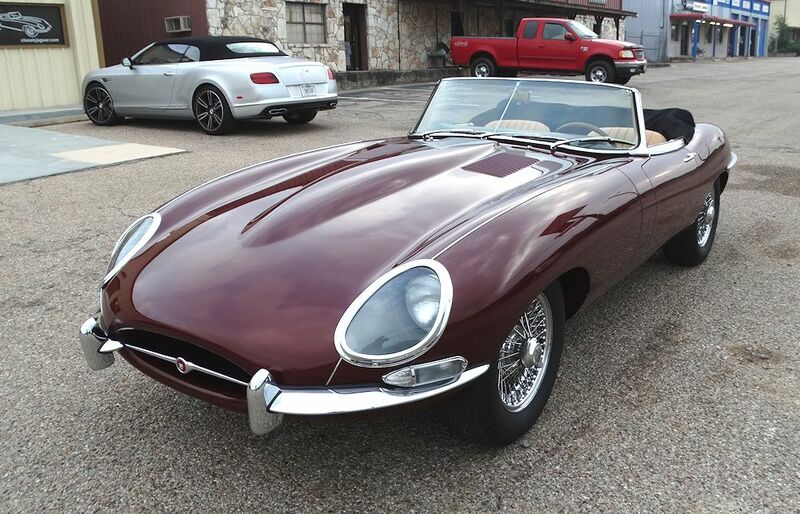 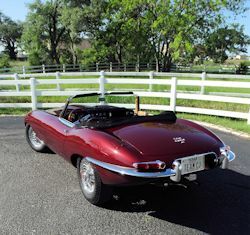 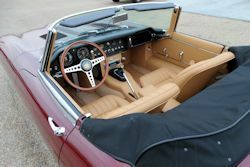 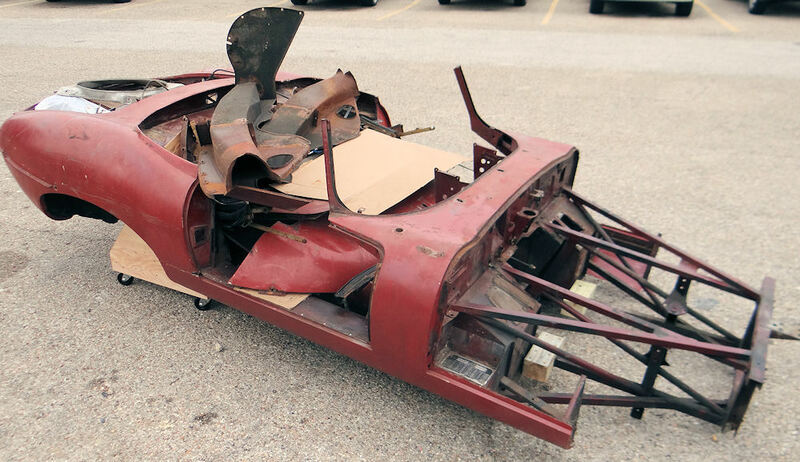 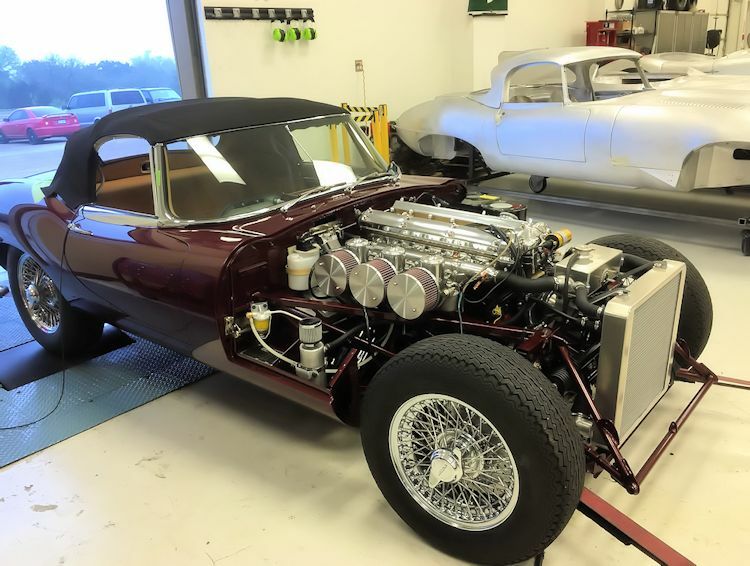 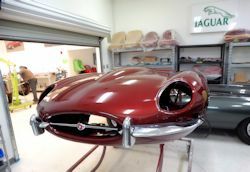 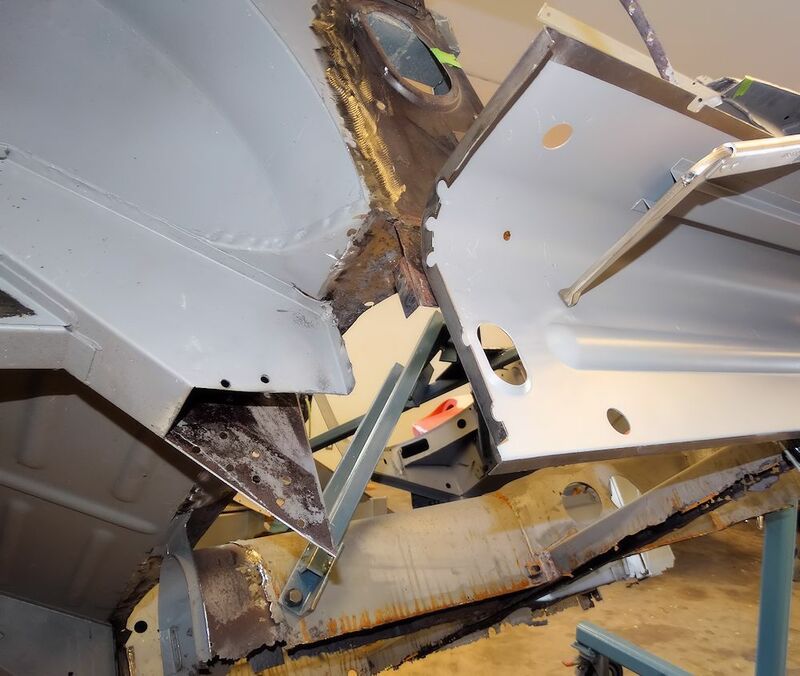 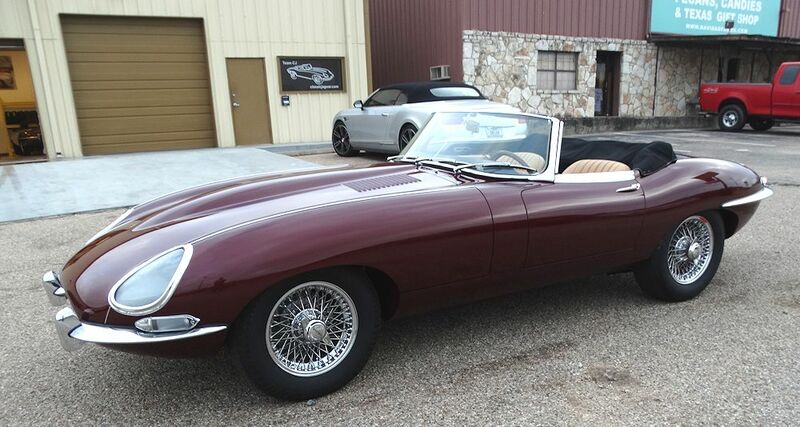 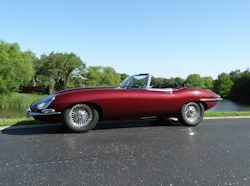 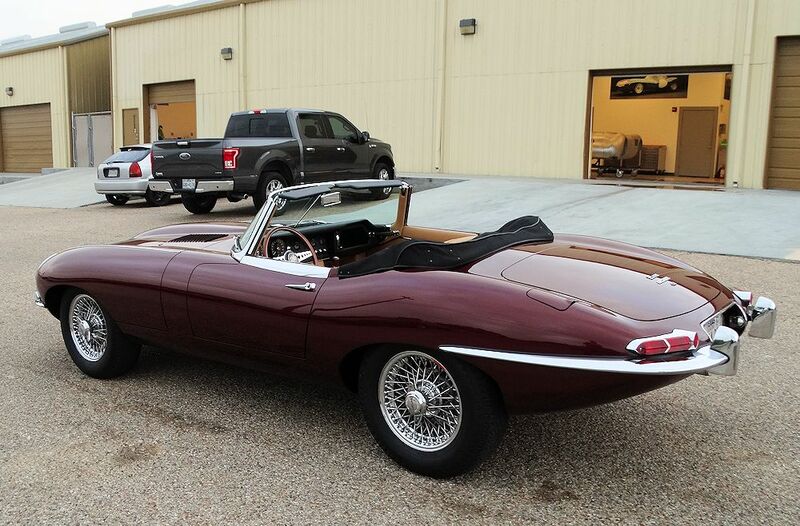 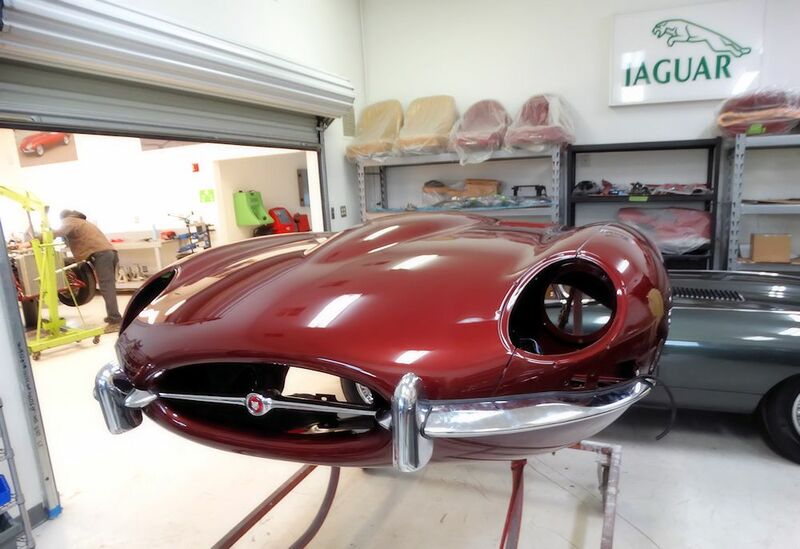 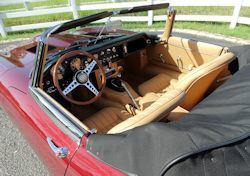 I am pleased to report that your car and all its component parts have been safely delivered to Classic Jaguar and we now have the restoration underway. 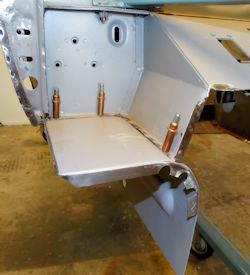 I hope you enjoy following the progress in these pages.